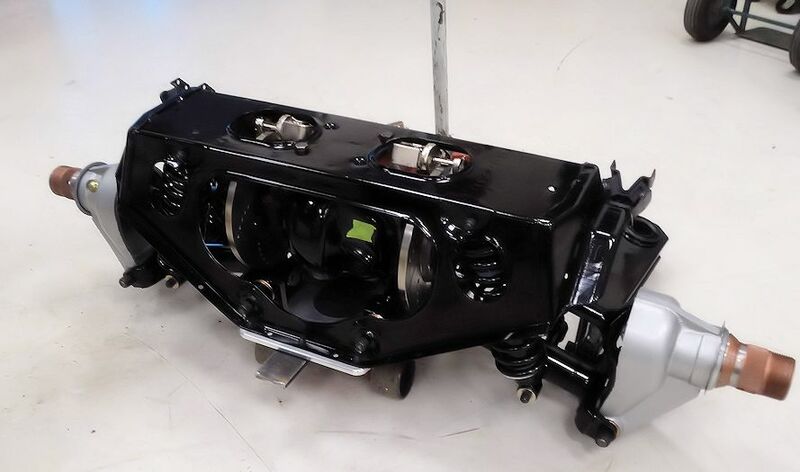 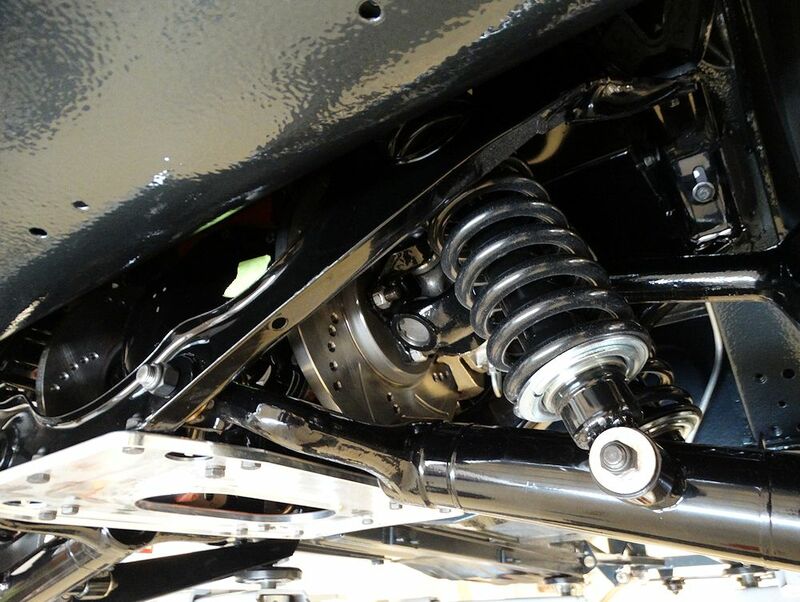 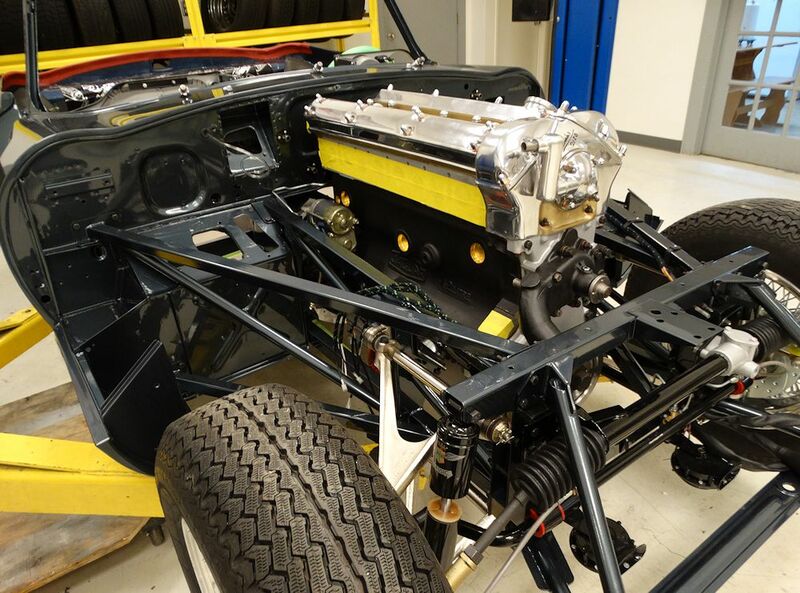 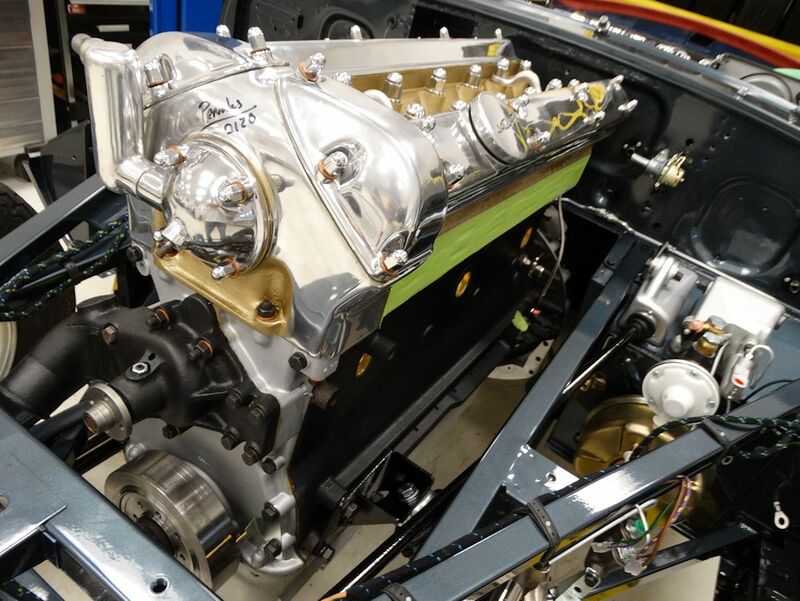 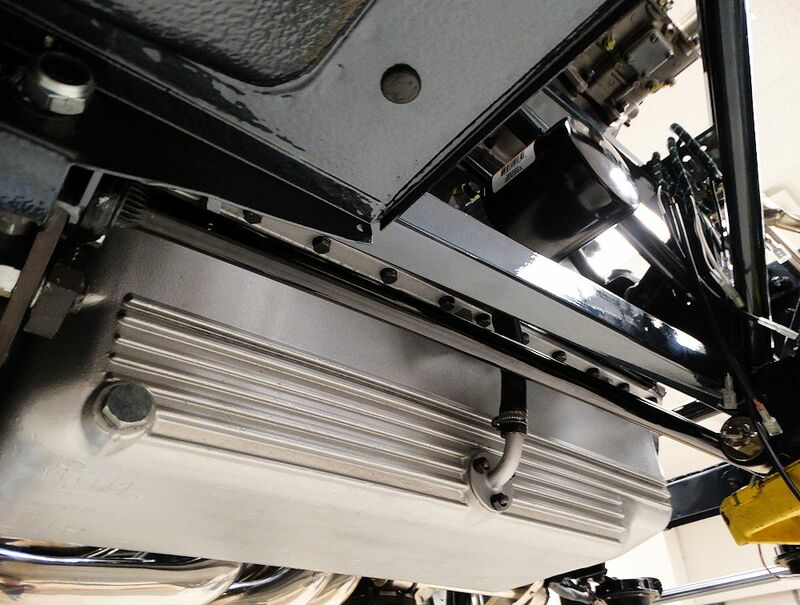 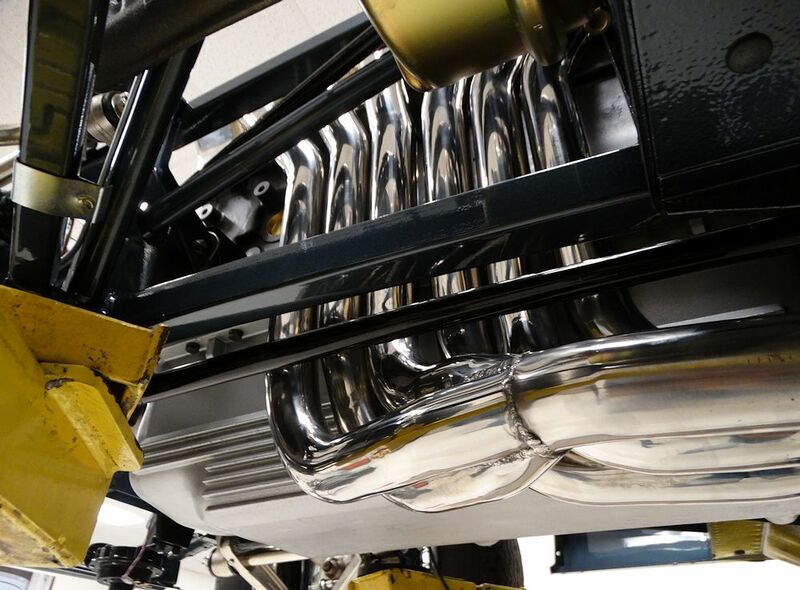 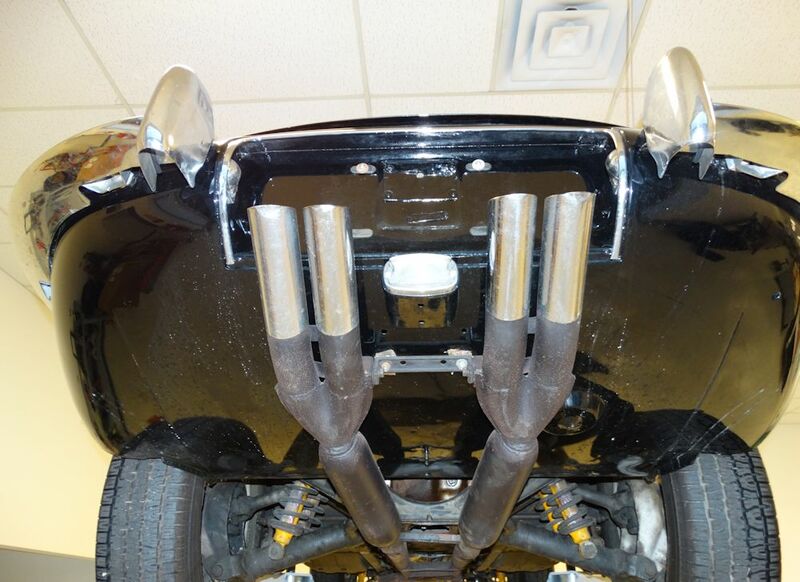 Total Team CJ restoration featuring a 4.7L CJ Stage Two engine and numerous performance and reliability upgrades. 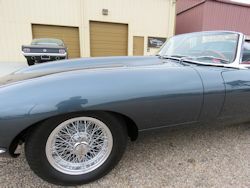 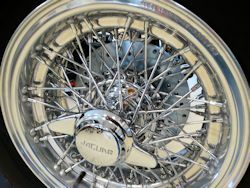 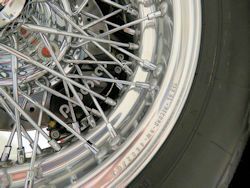 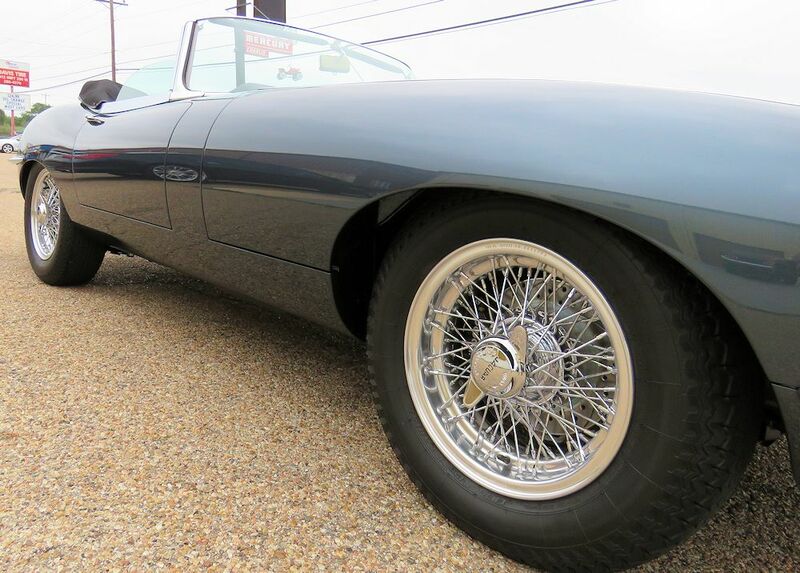 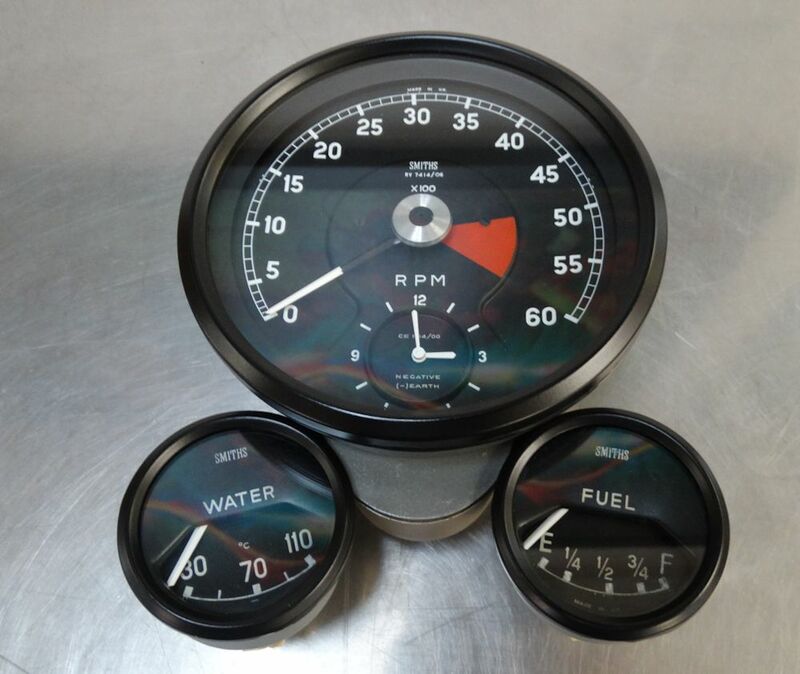 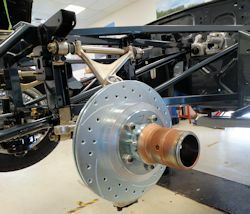 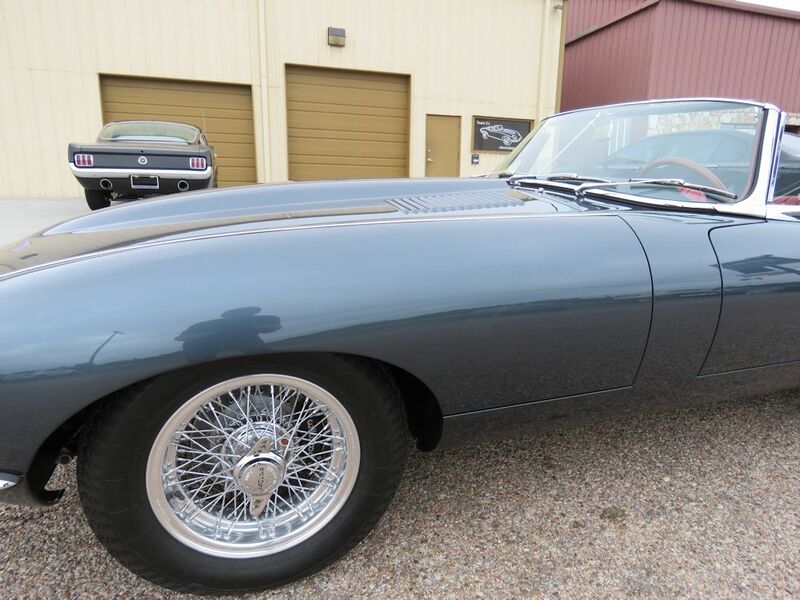 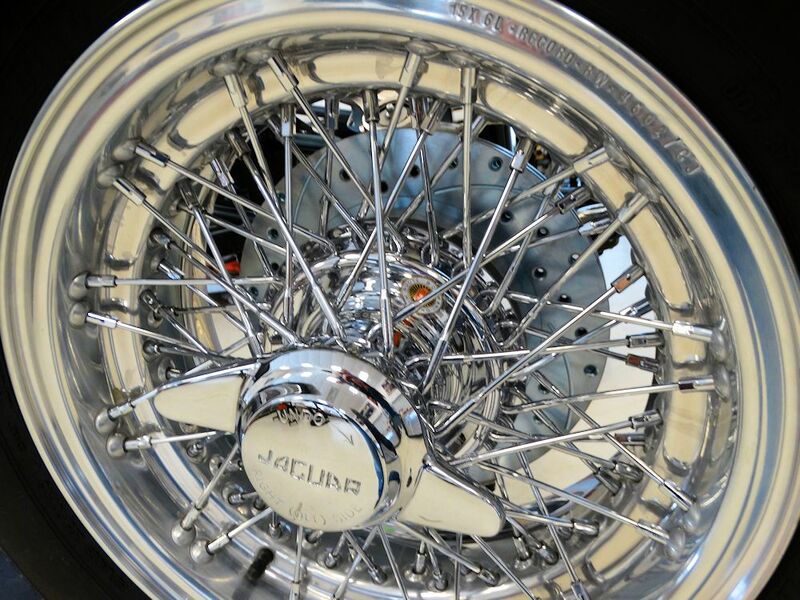 The car will be finished in Opalescent Dark Blue with red Suffolk & Turley hides and Team CJ Borrani wire wheels. It finally stopped raining in Austin long enough to take a few photos of the finished car outside! 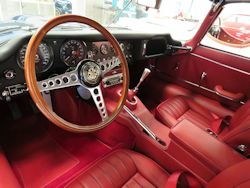 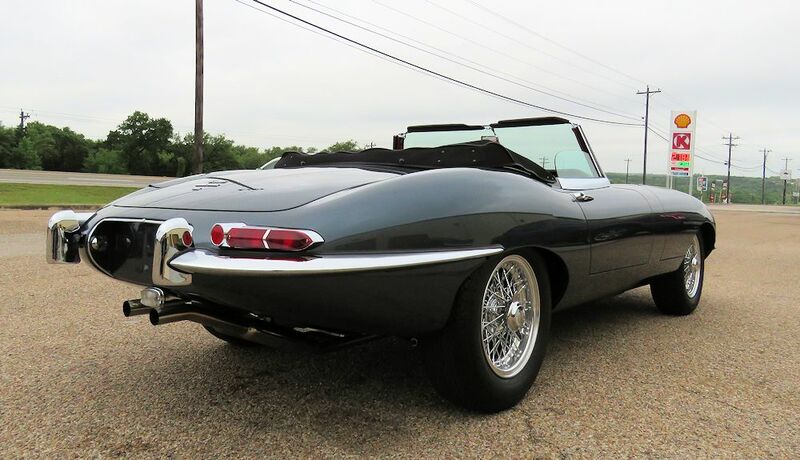 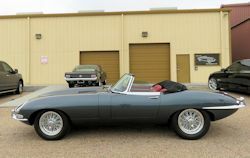 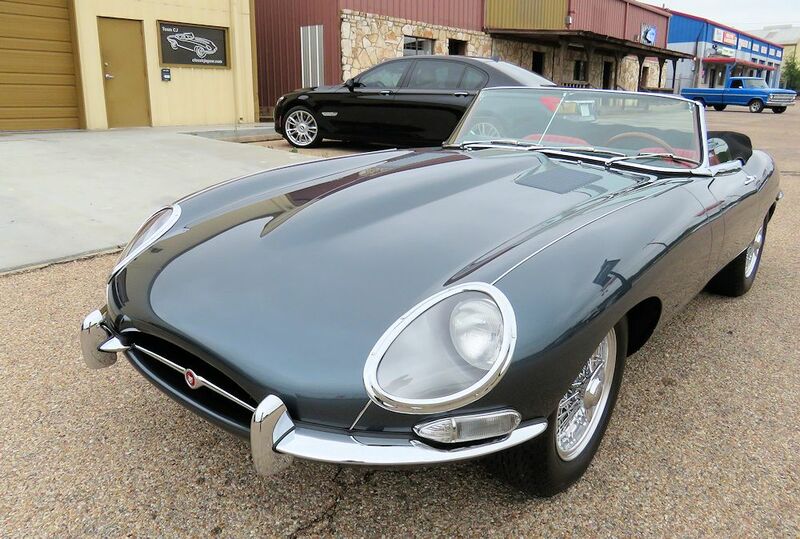 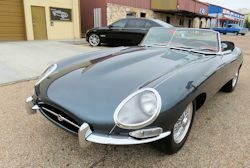 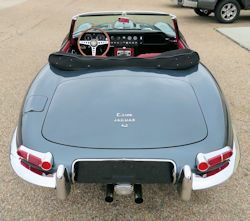 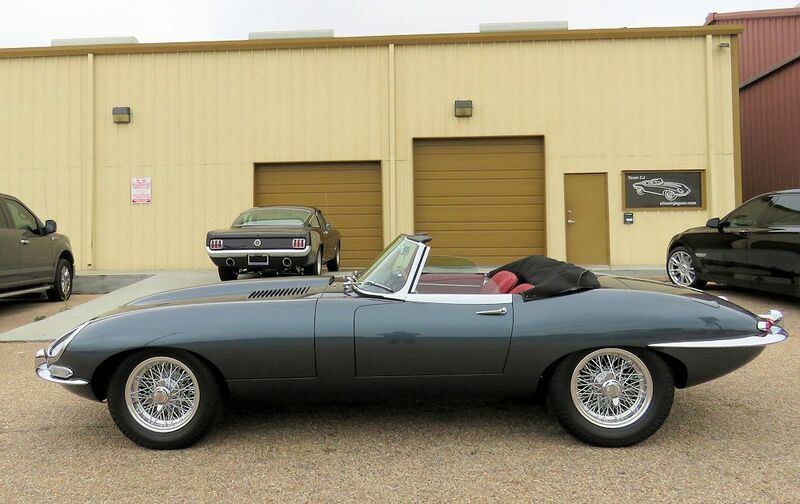 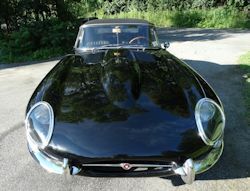 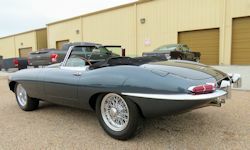 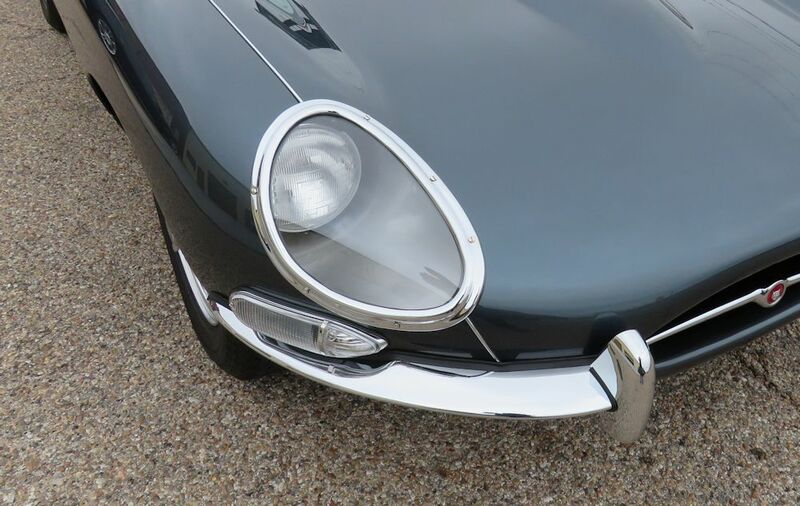 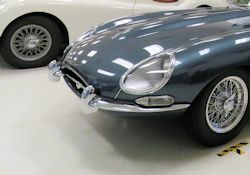 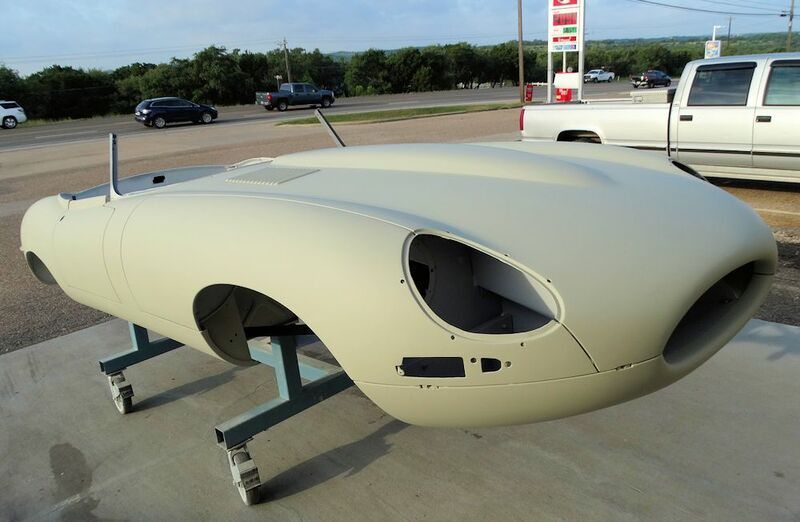 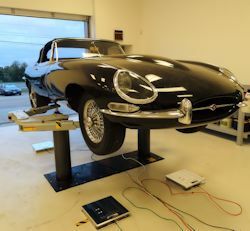 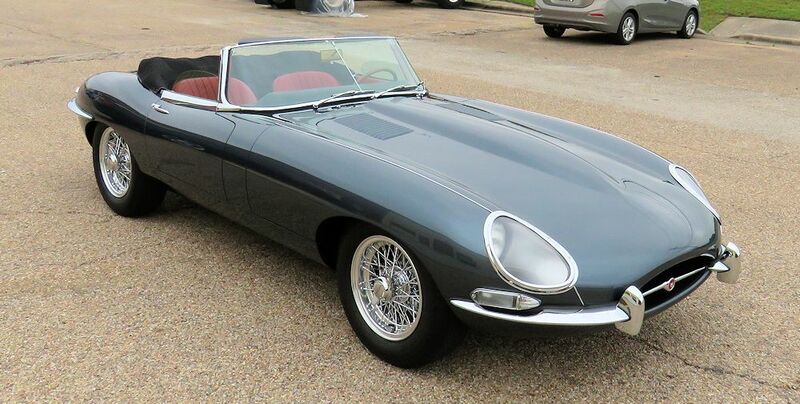 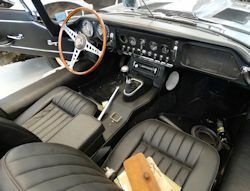 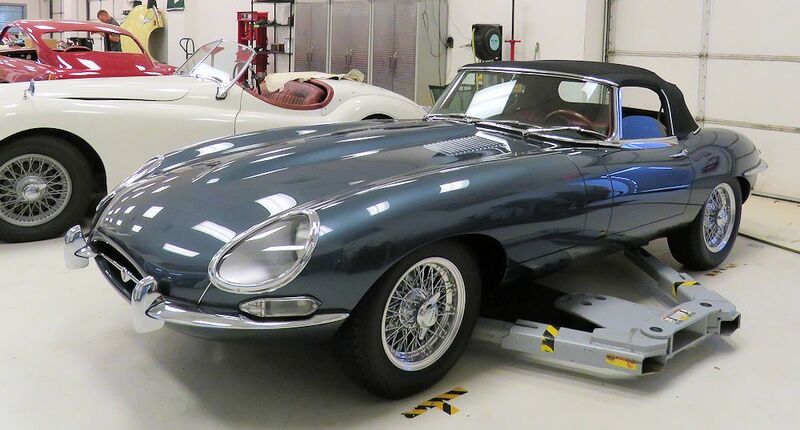 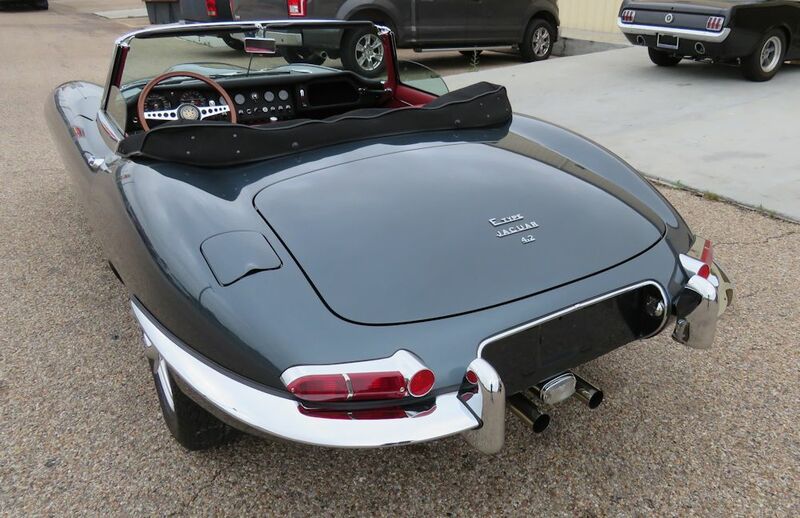 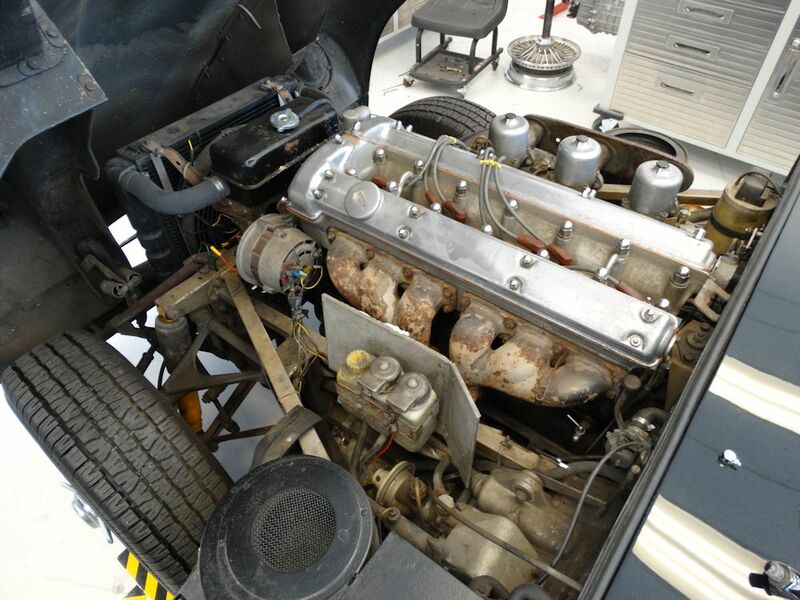 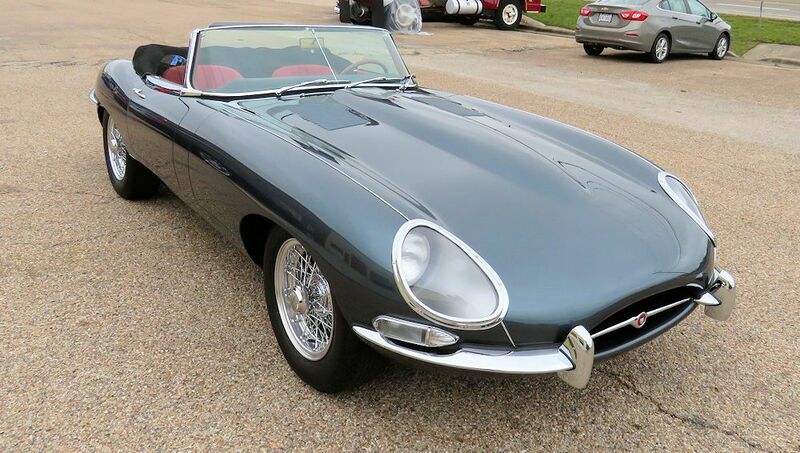 I am delighted to report that this restoration has now been completed and another beautiful E Type is ready for the open road! 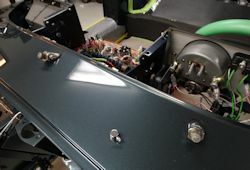 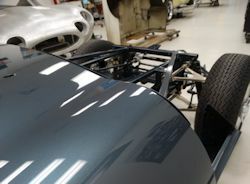 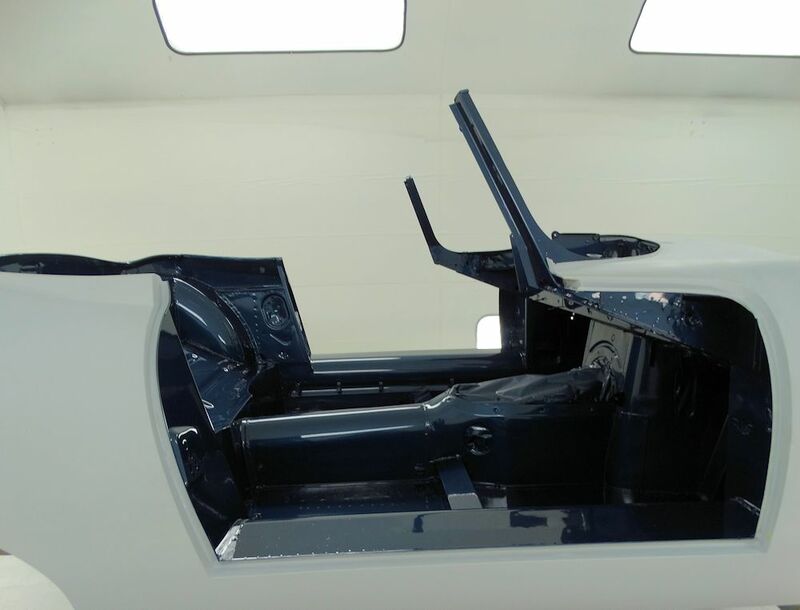 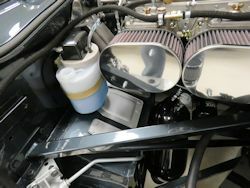 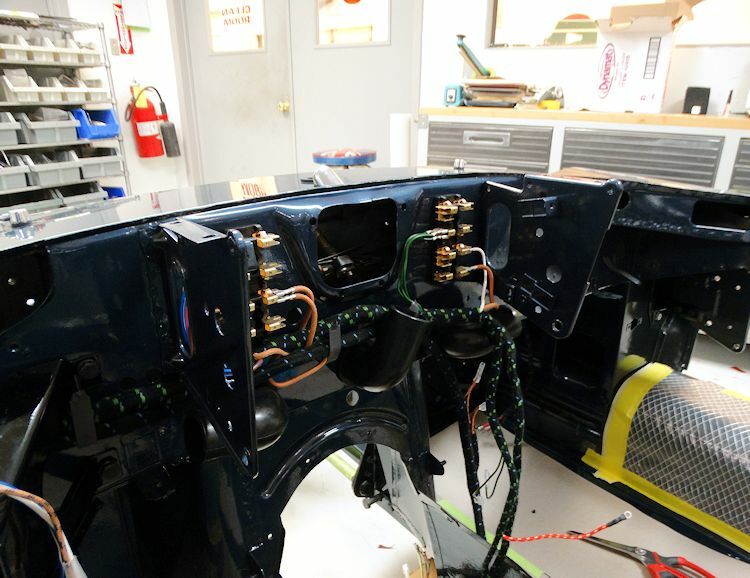 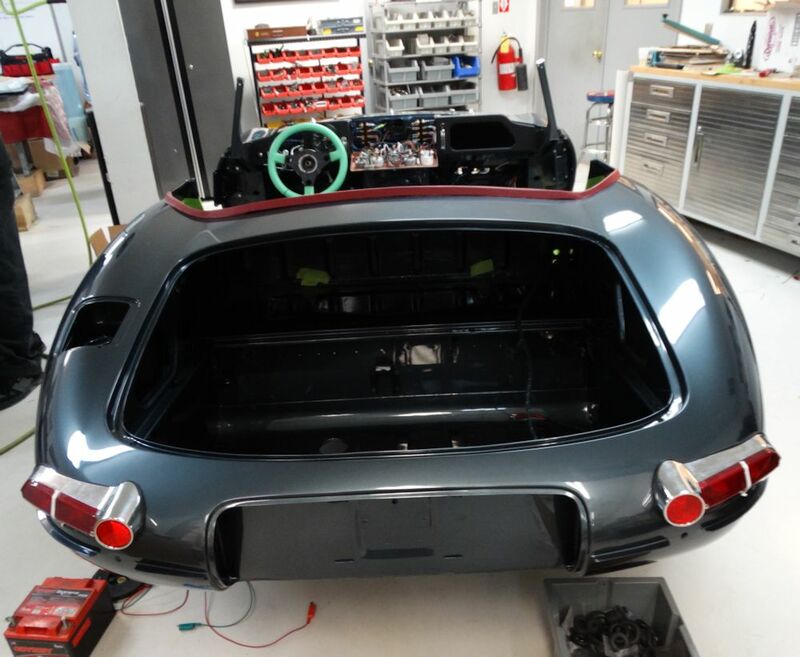 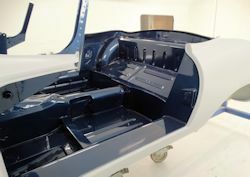 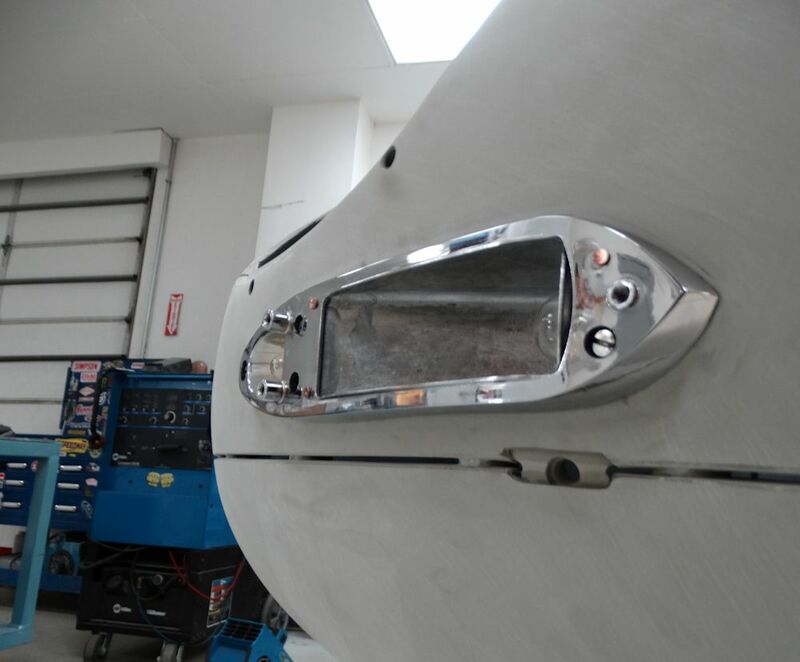 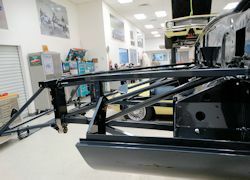 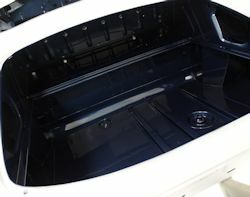 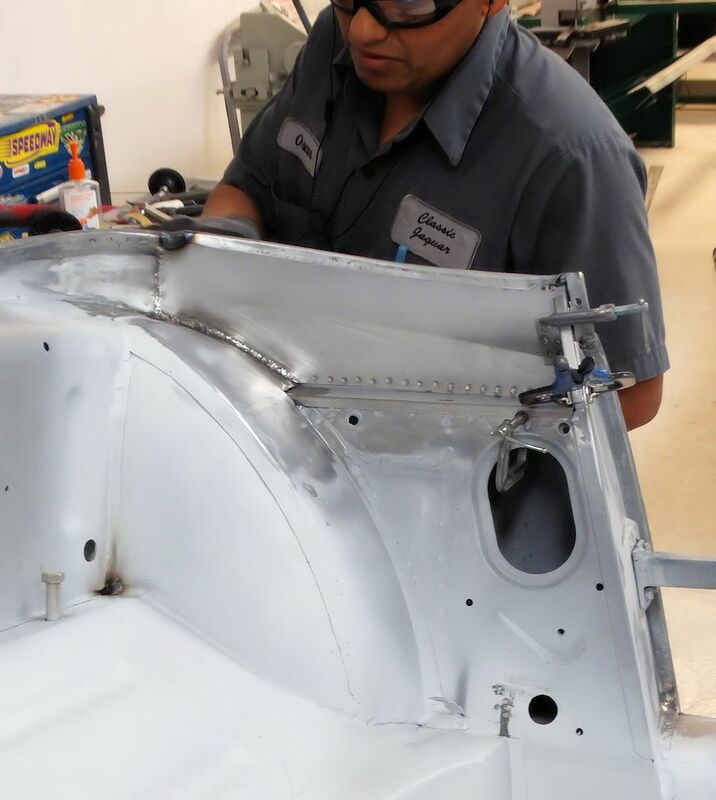 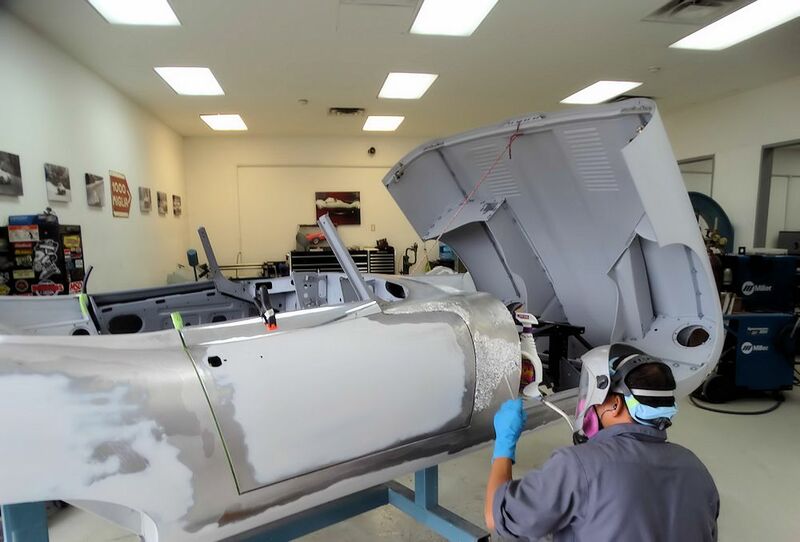 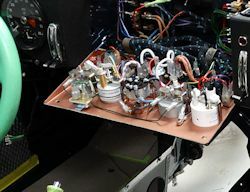 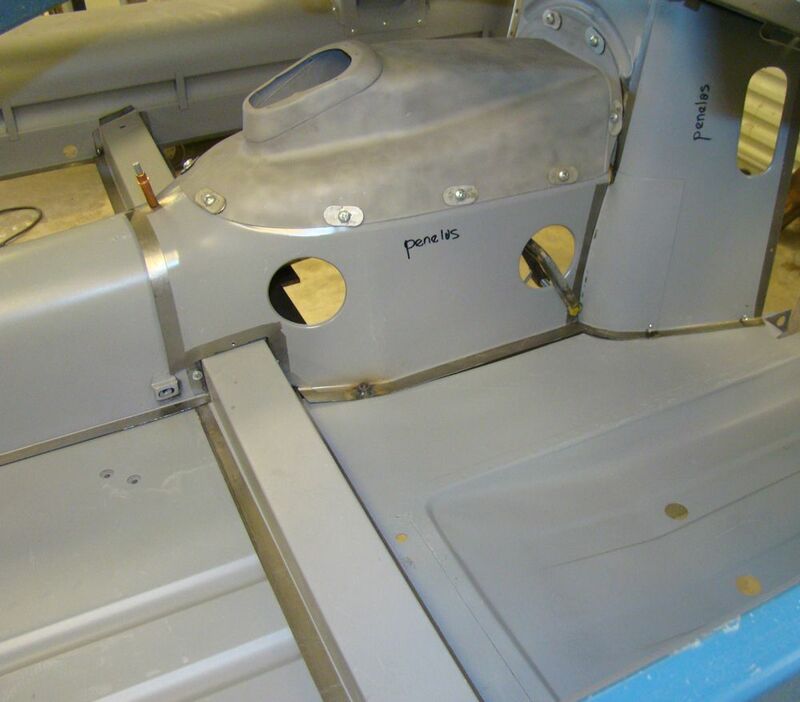 Your car is now in the trim room receiving its new wiring harness, gauges, lighting, etc..
Gerardo has now sanded and buffed the body and the Opalescent Dark Blue paintwork looks absolutely beautiful. Check out SS100 stablemate in the reflection! 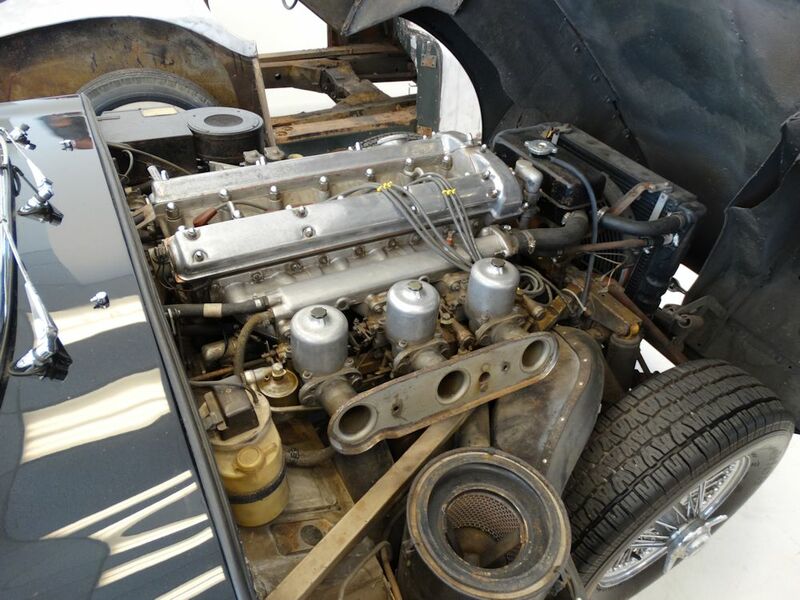 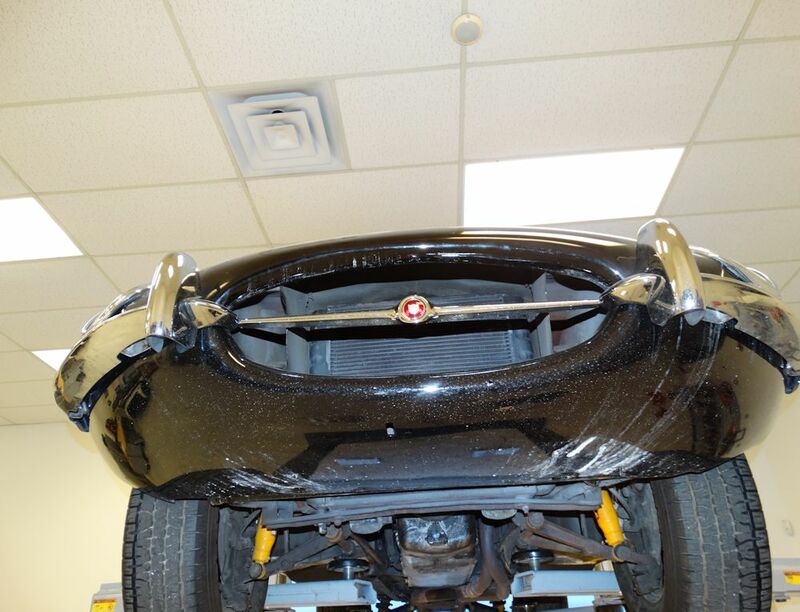 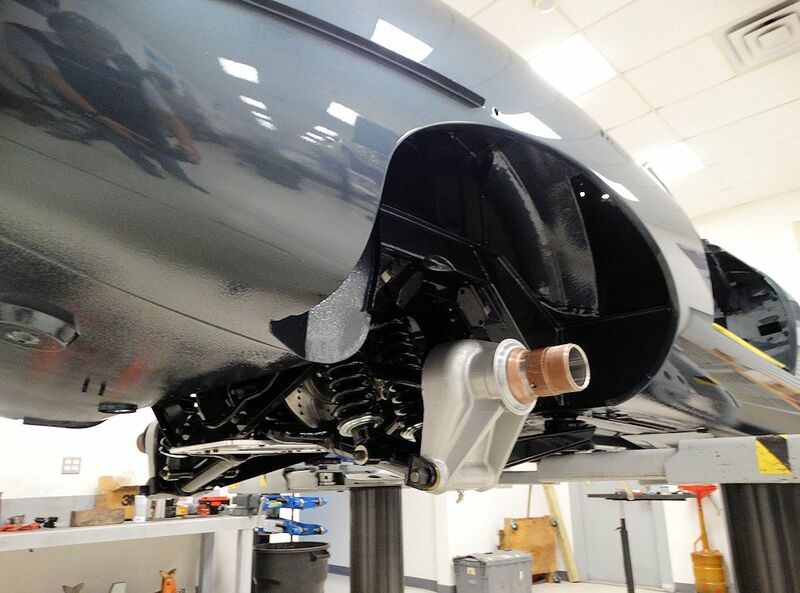 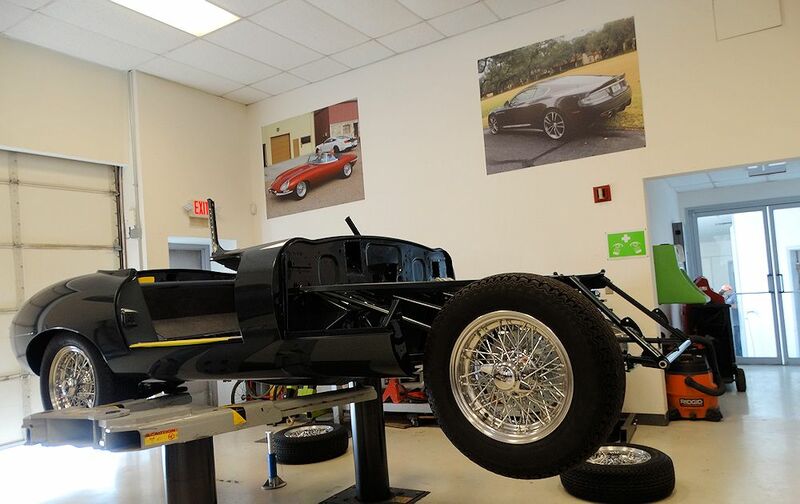 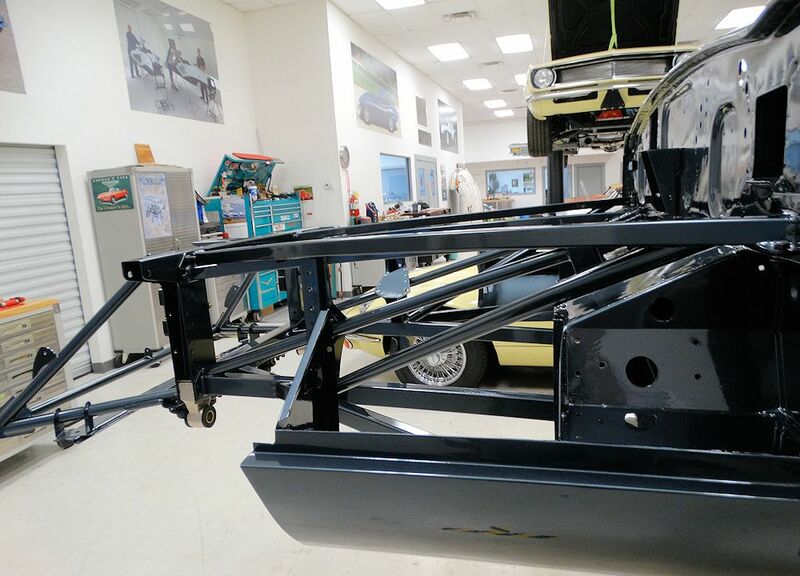 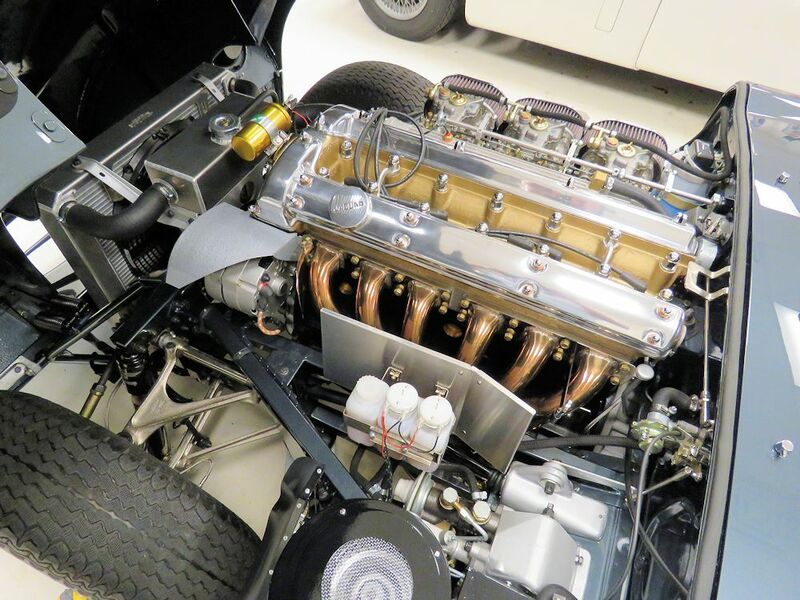 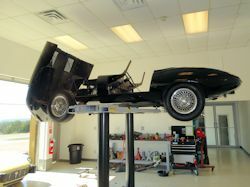 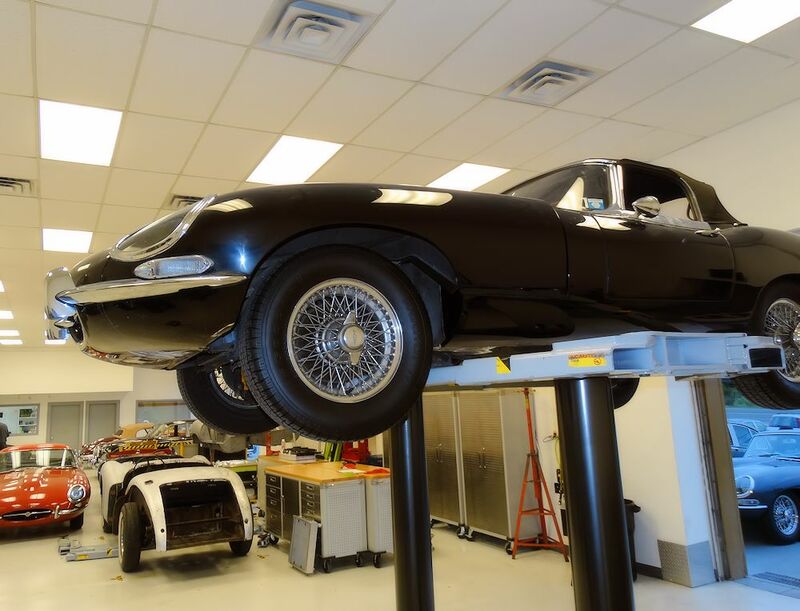 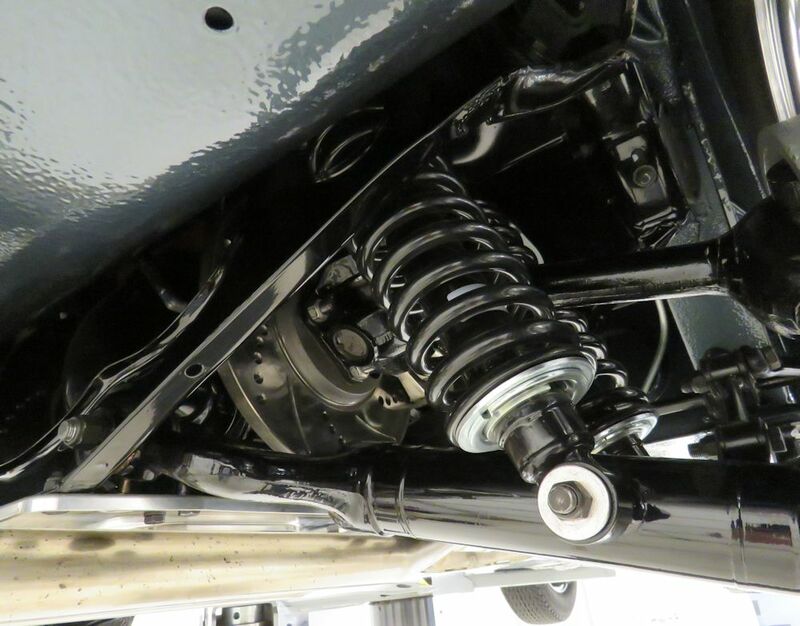 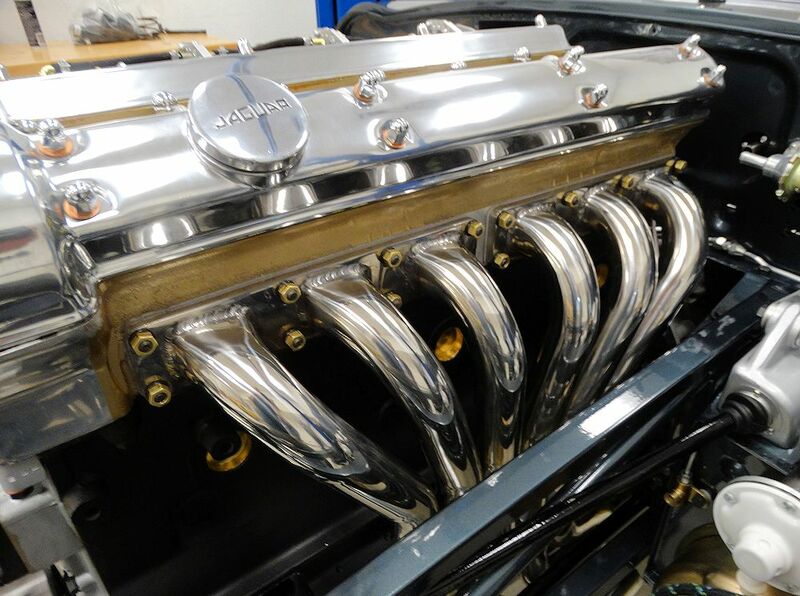 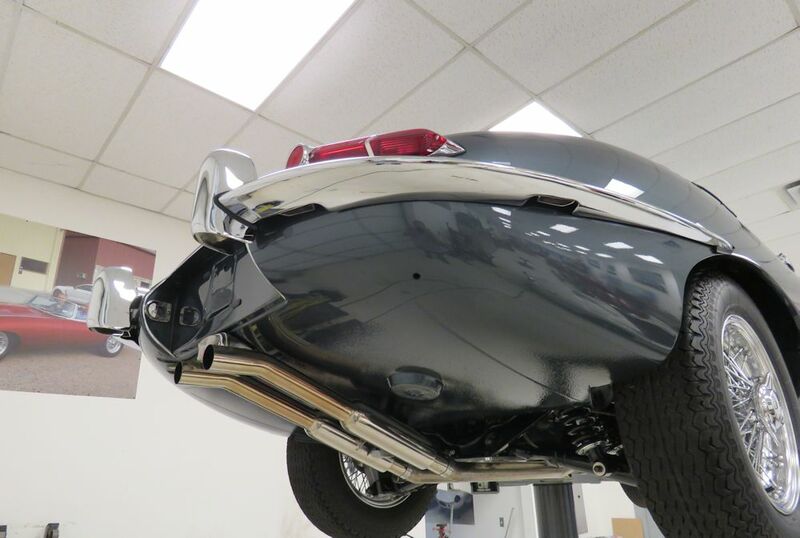 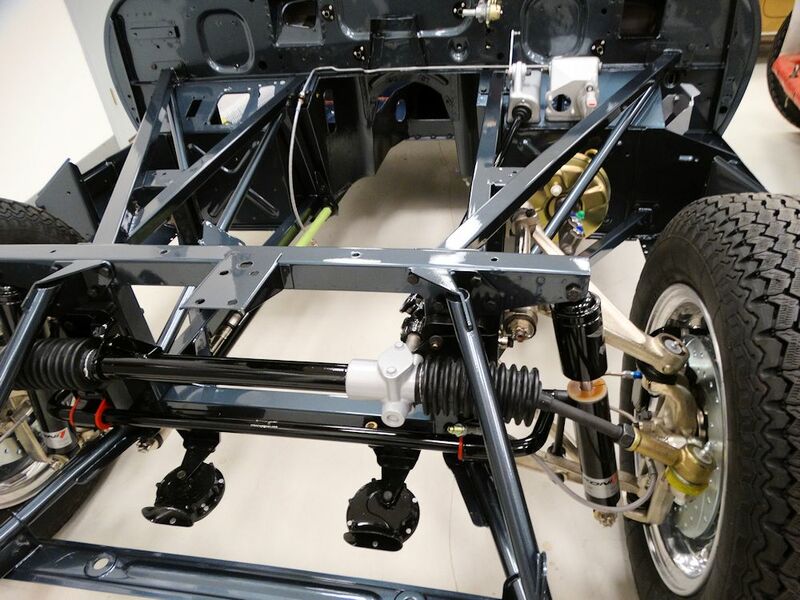 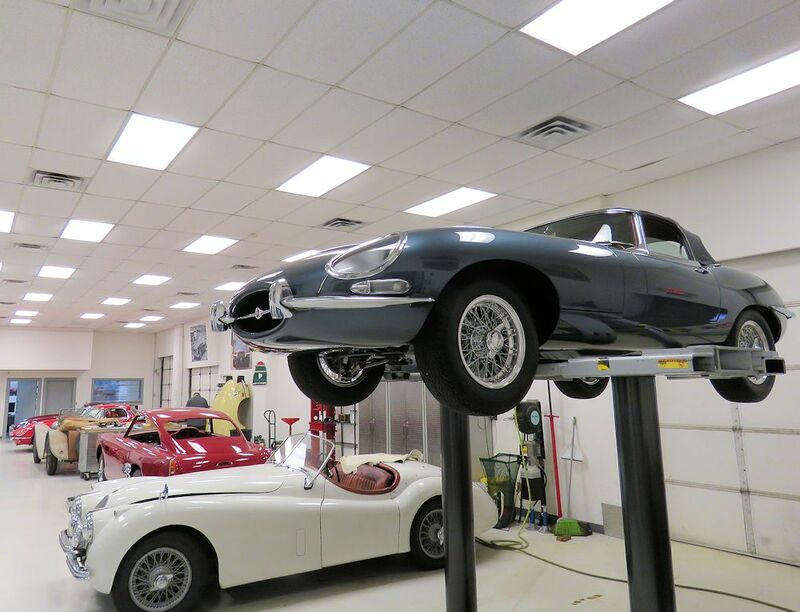 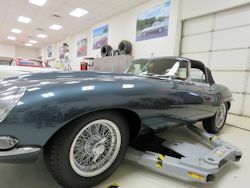 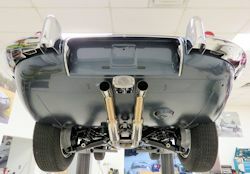 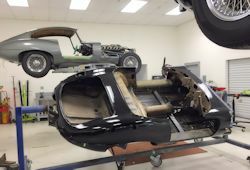 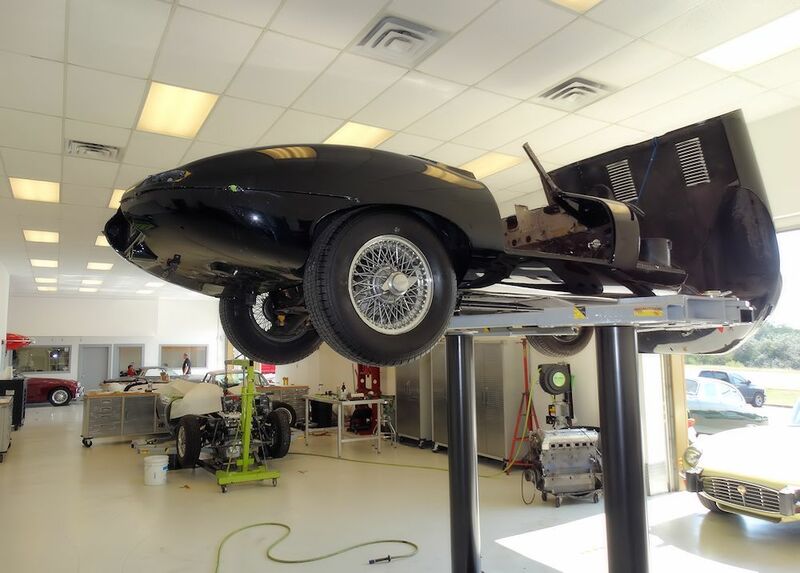 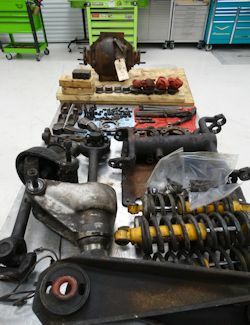 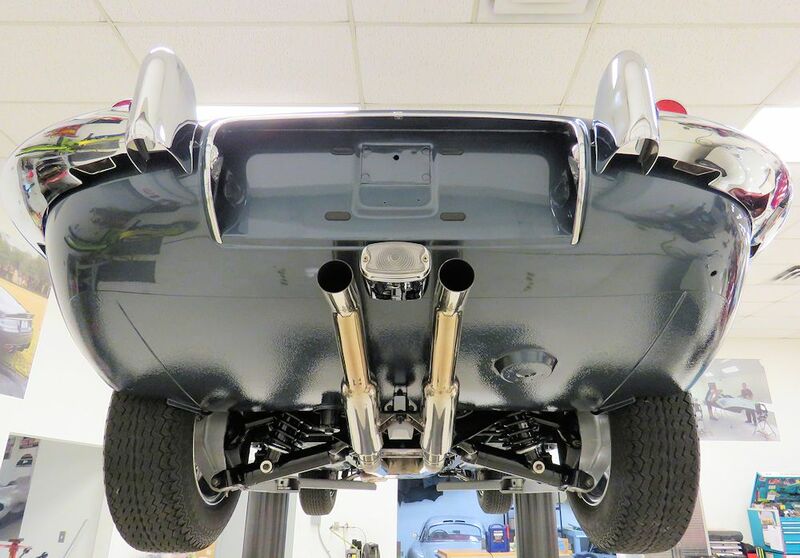 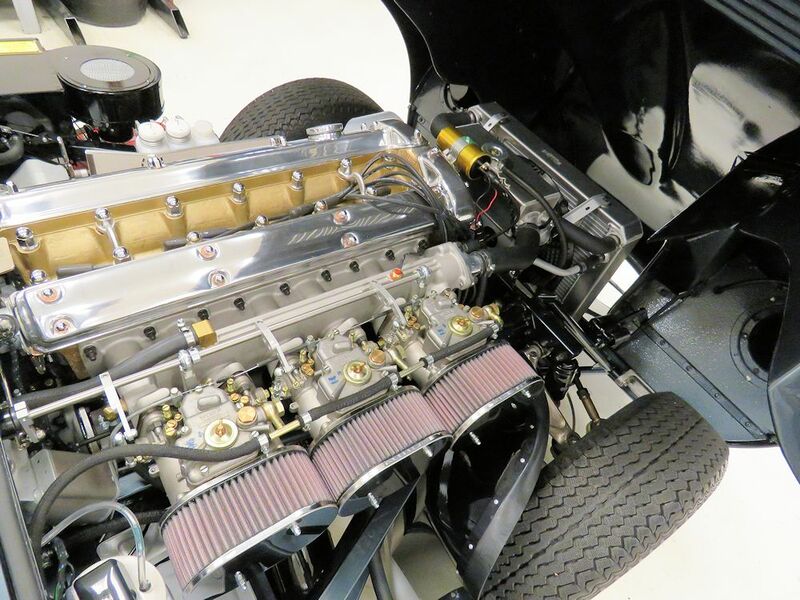 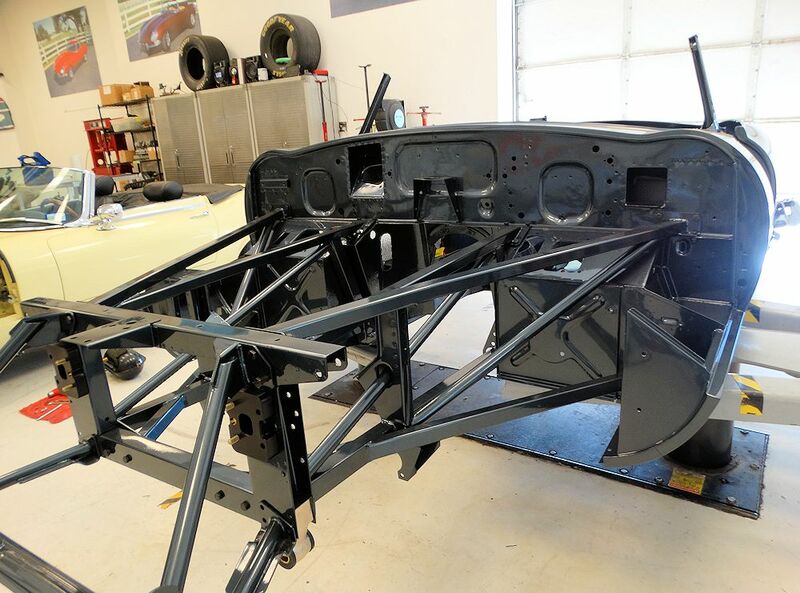 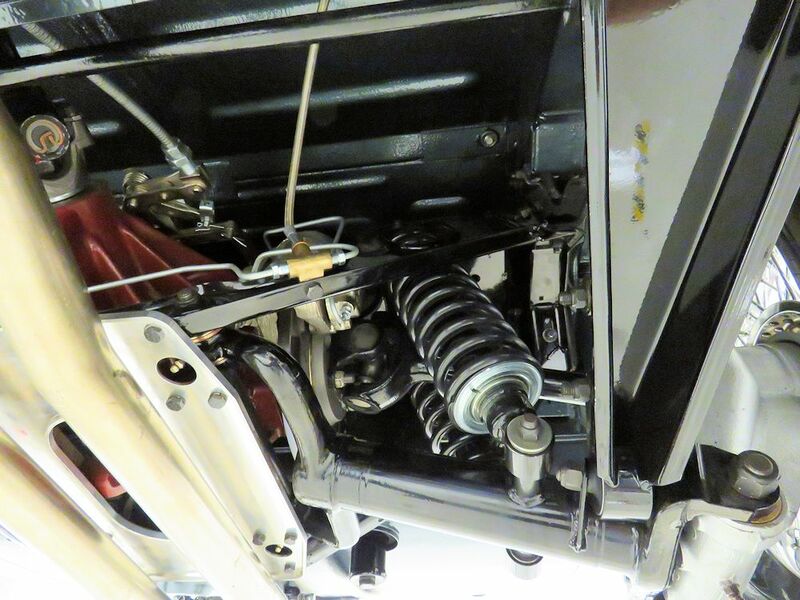 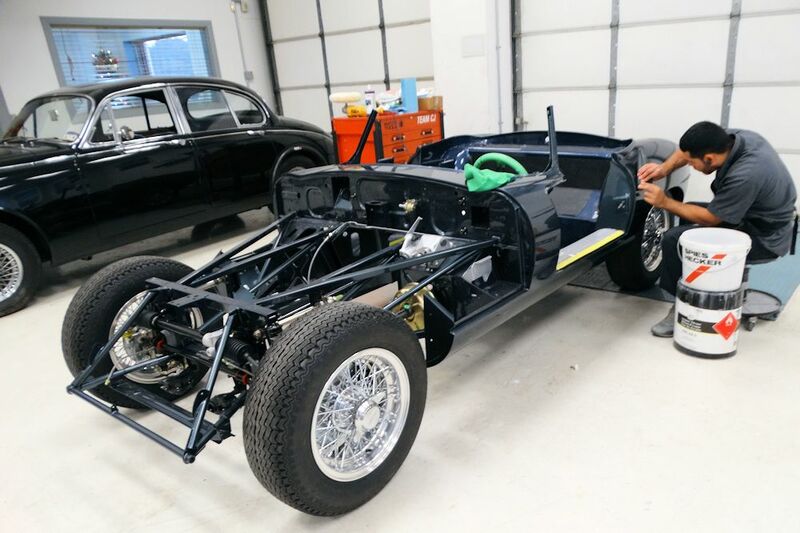 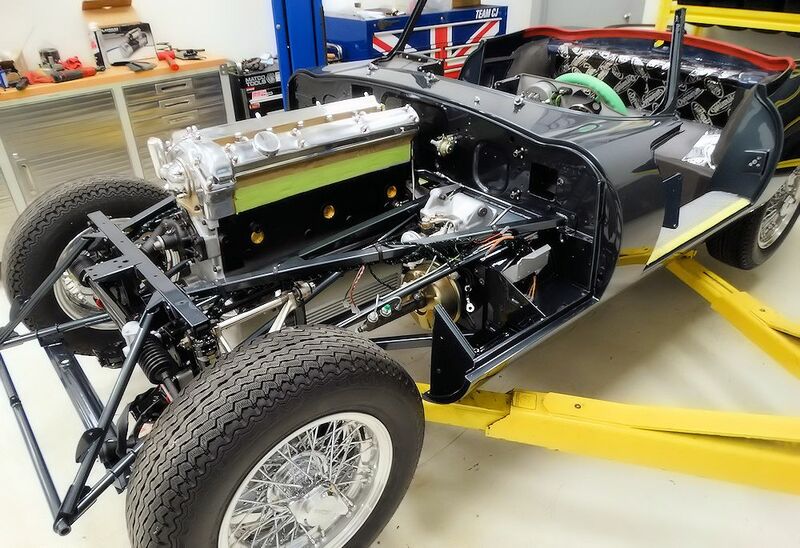 Getting the car back on its wheels is always an exciting milestone in any restoration. 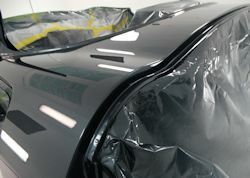 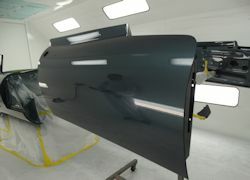 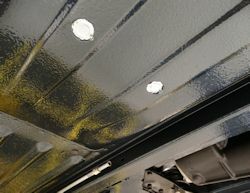 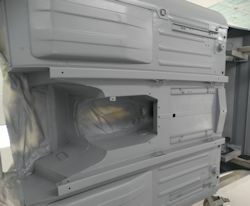 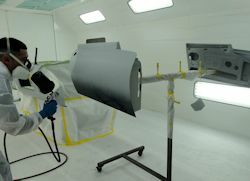 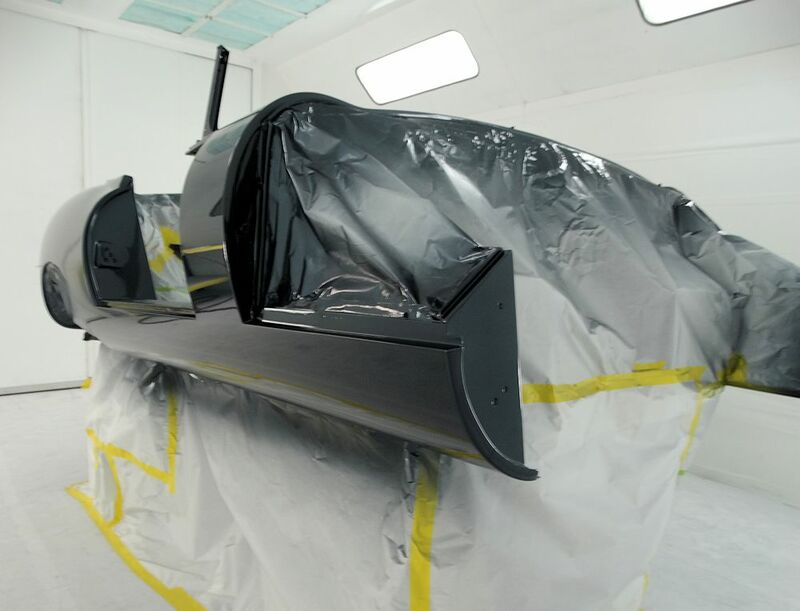 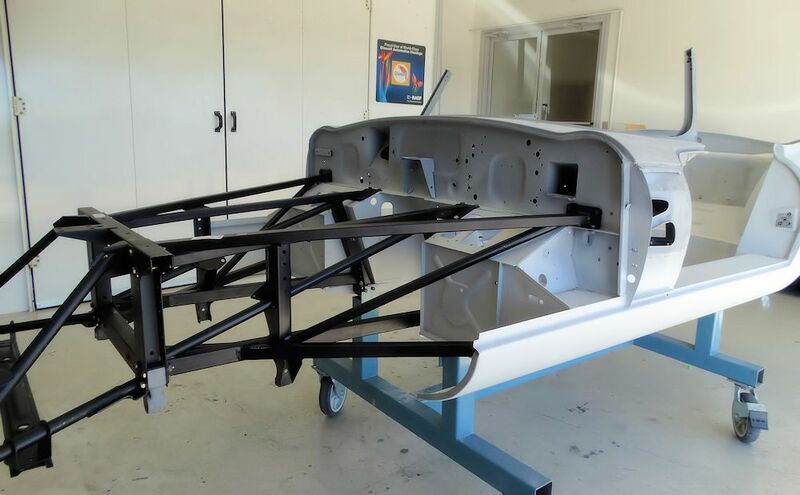 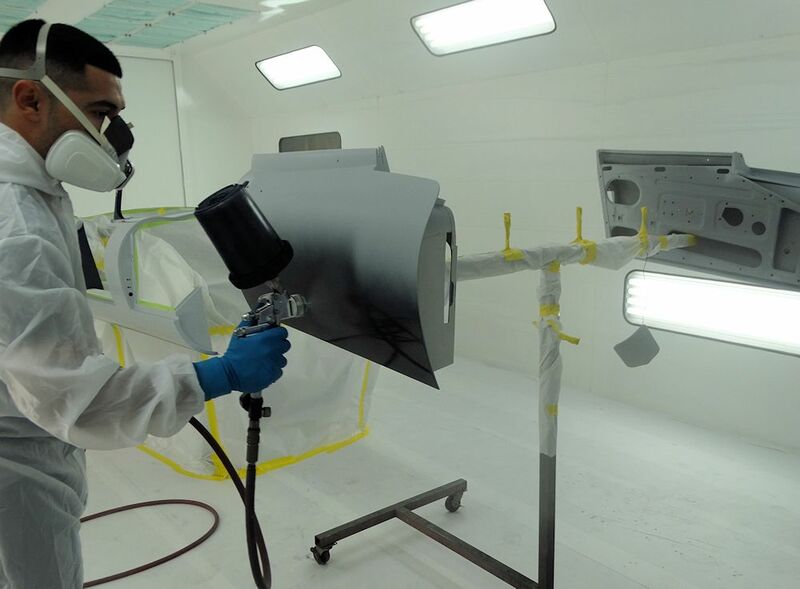 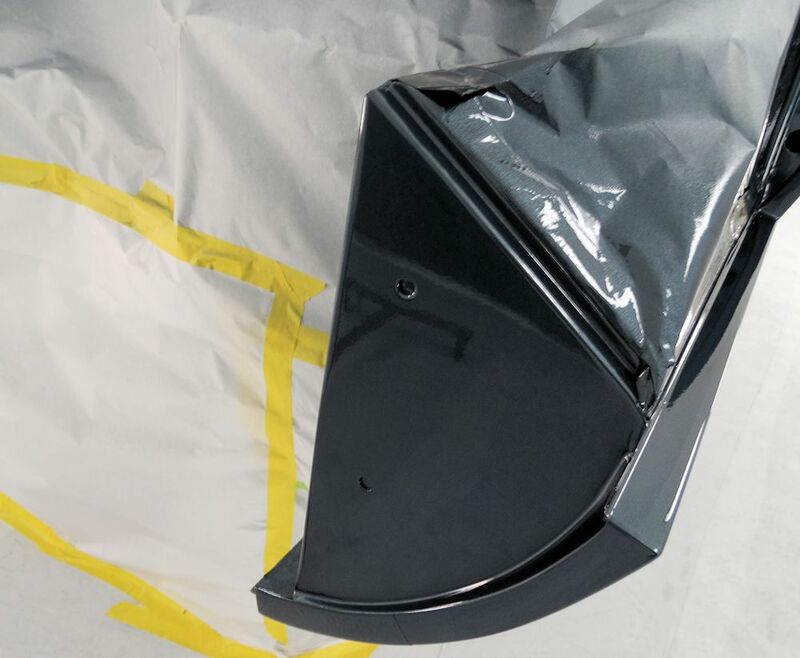 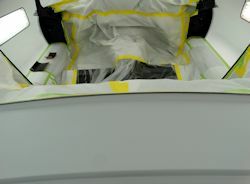 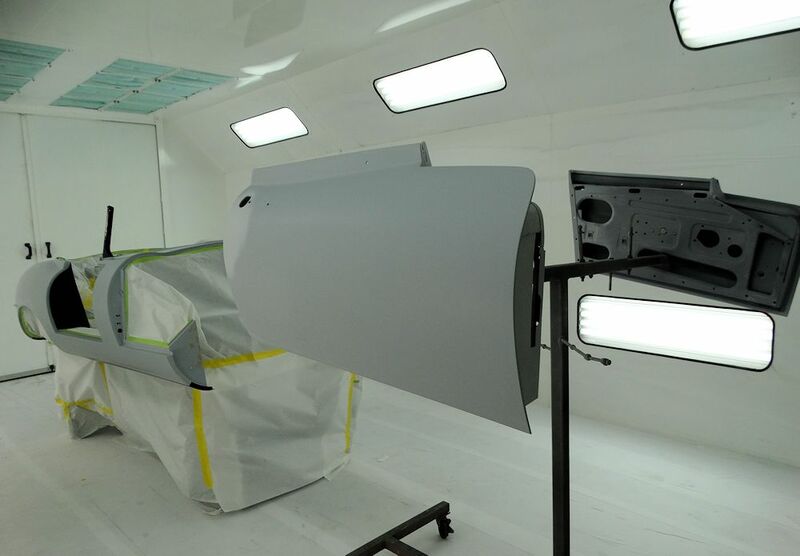 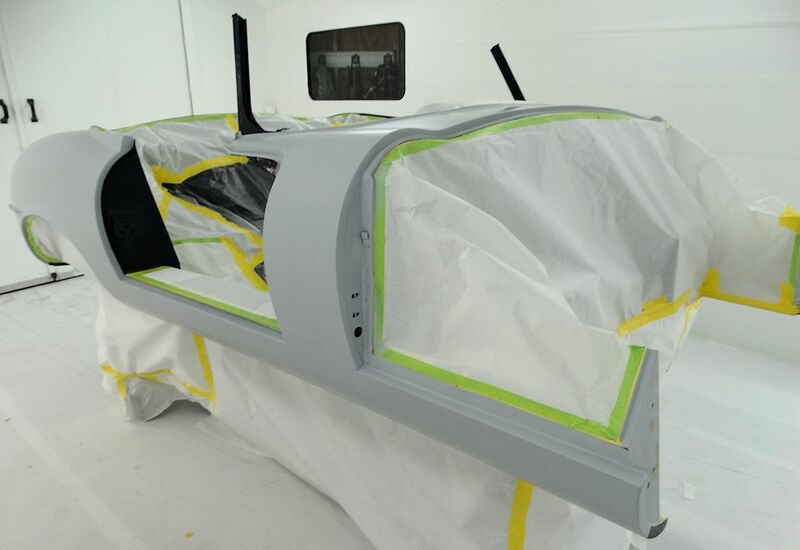 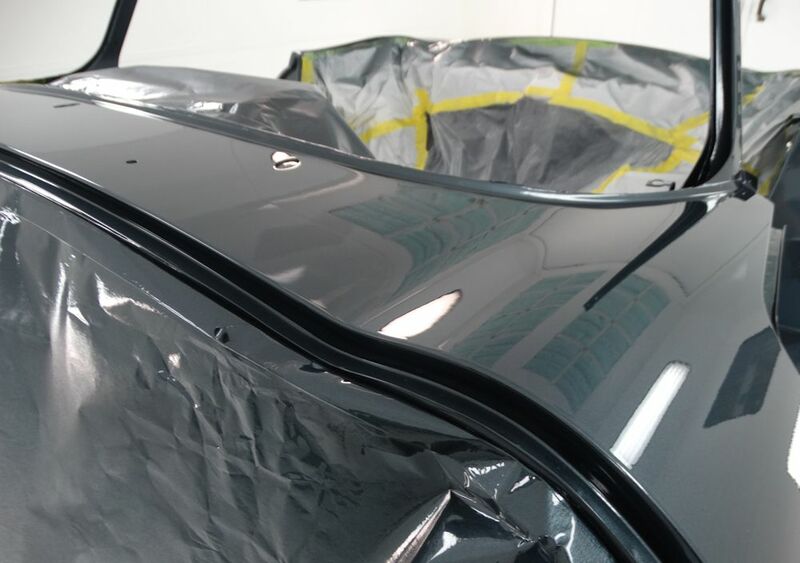 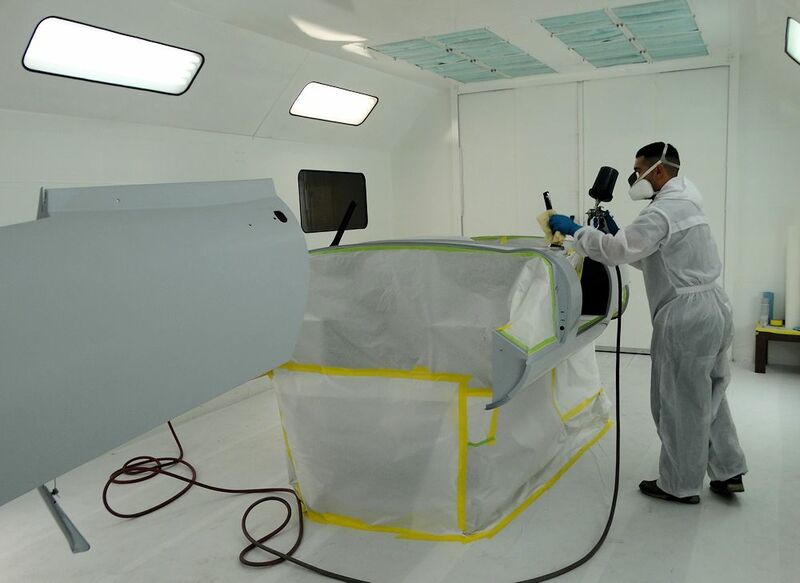 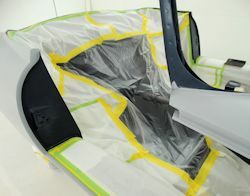 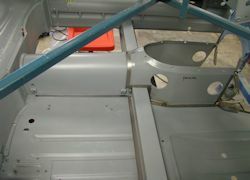 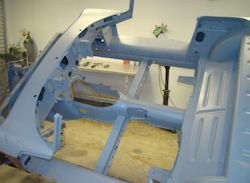 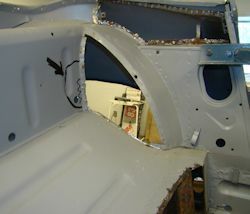 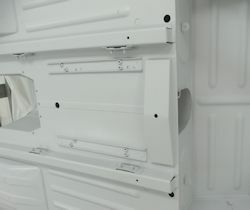 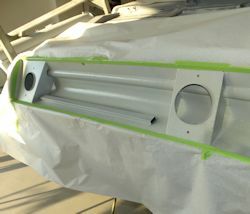 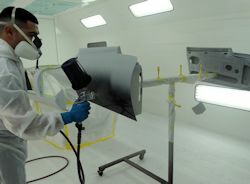 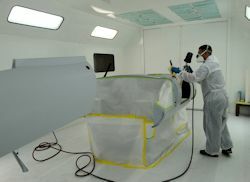 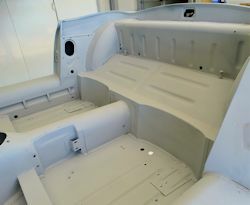 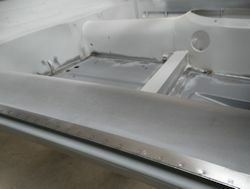 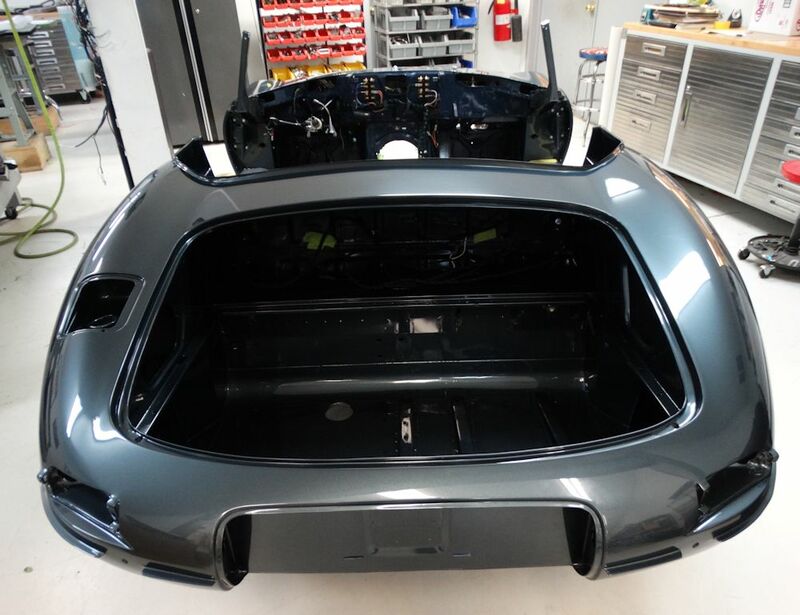 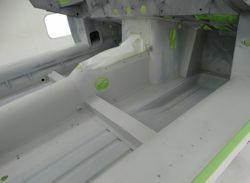 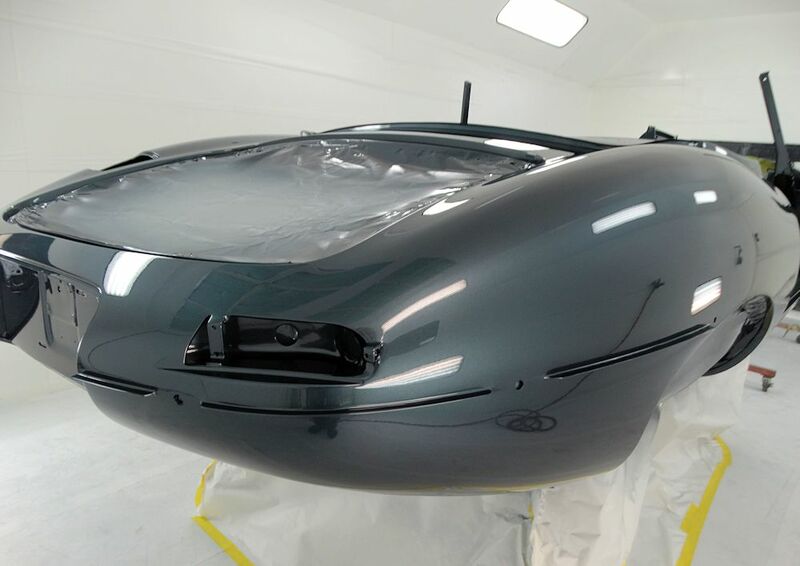 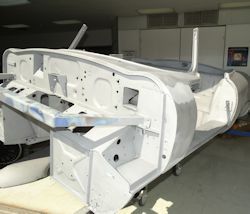 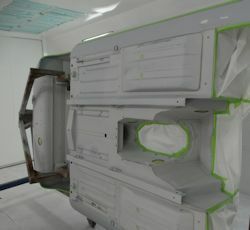 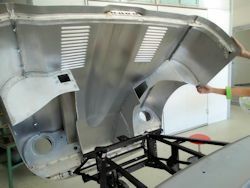 Your car is now in the booth ready for the outer panels to be painted over the next couple of days. 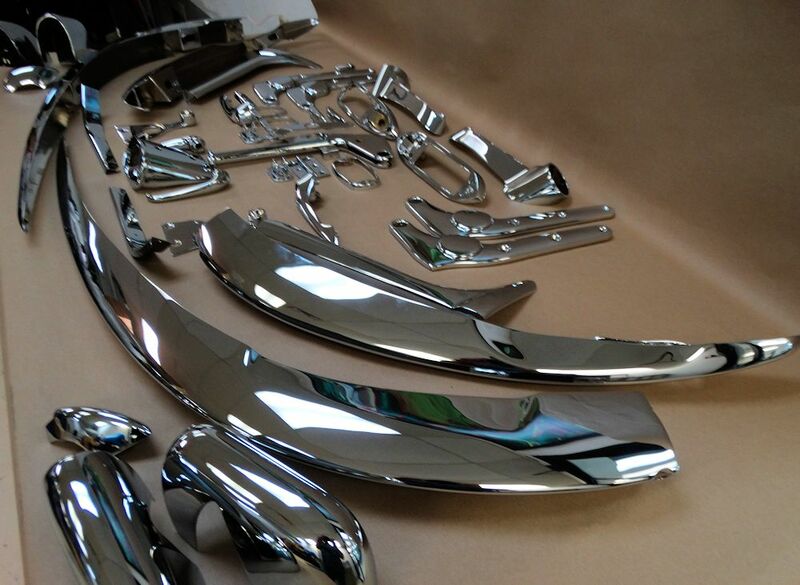 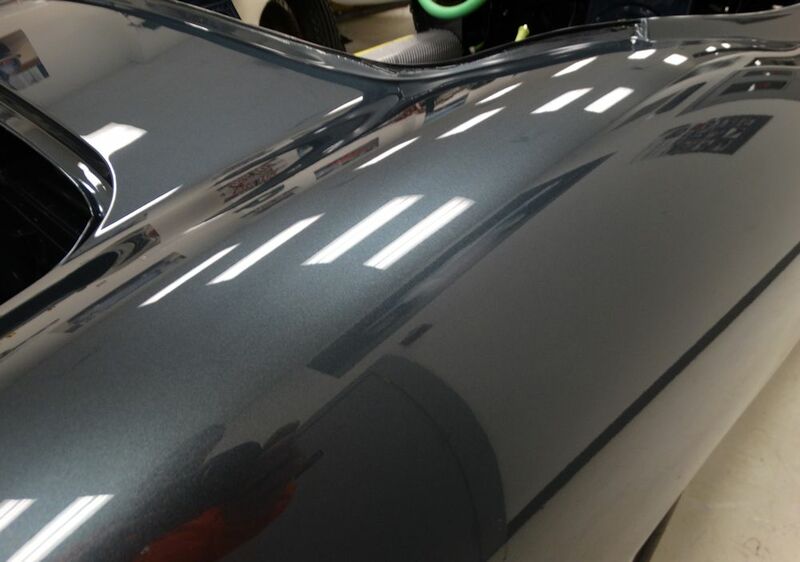 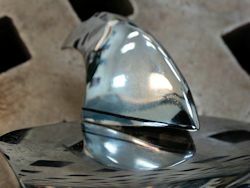 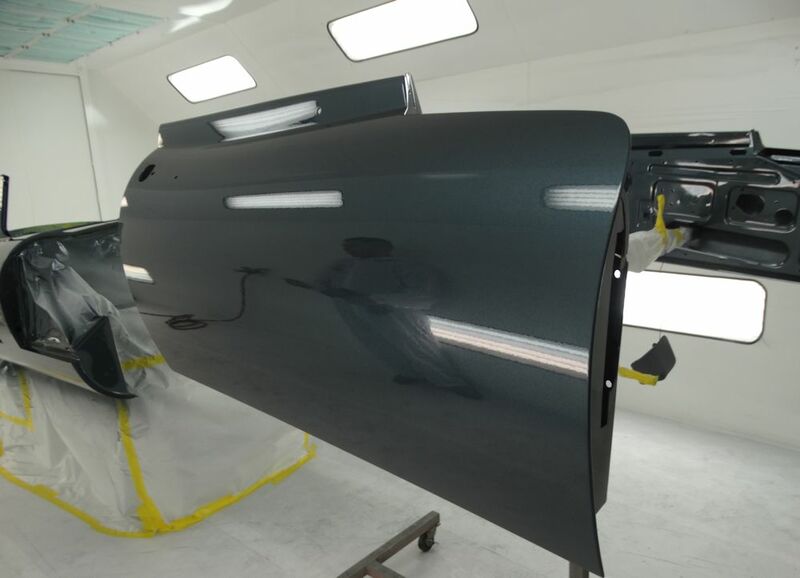 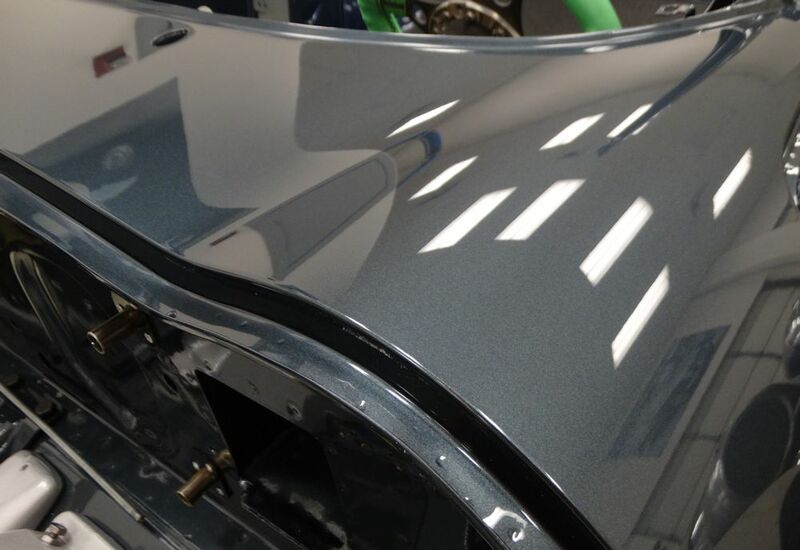 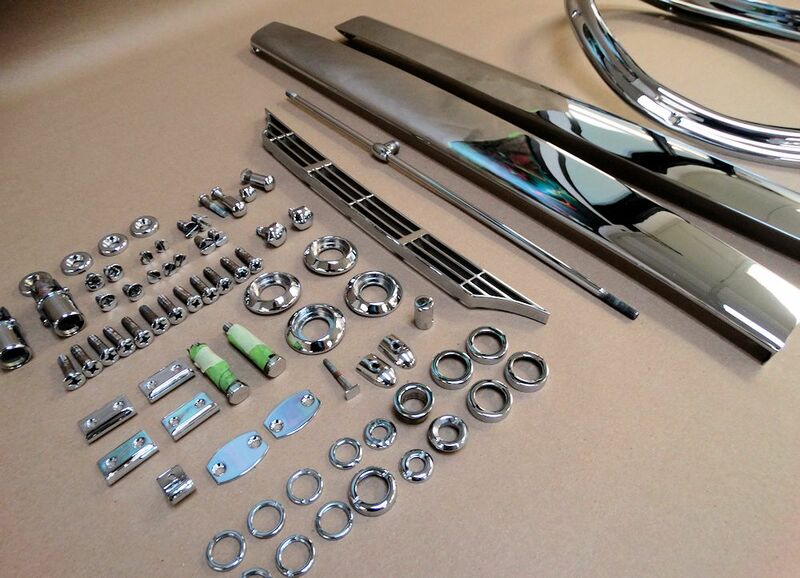 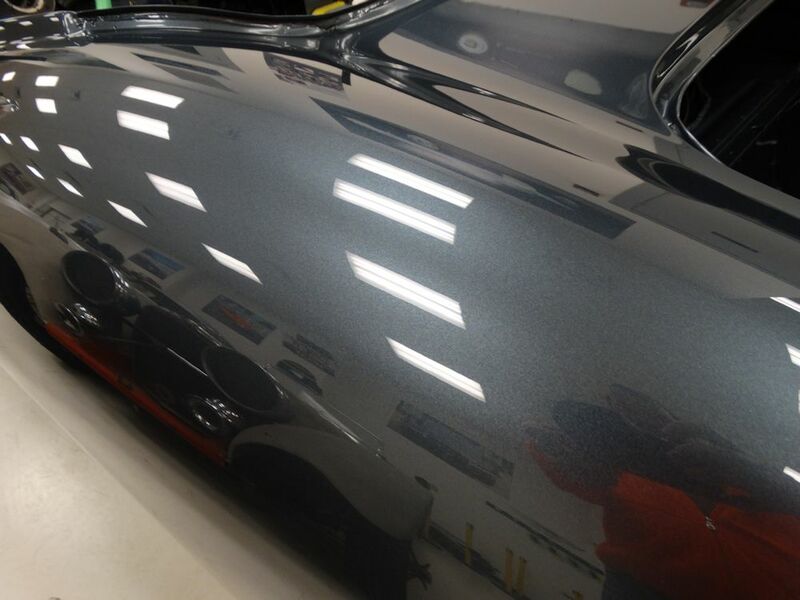 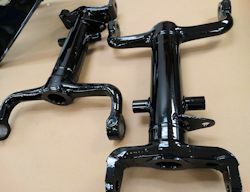 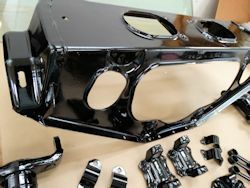 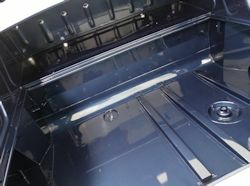 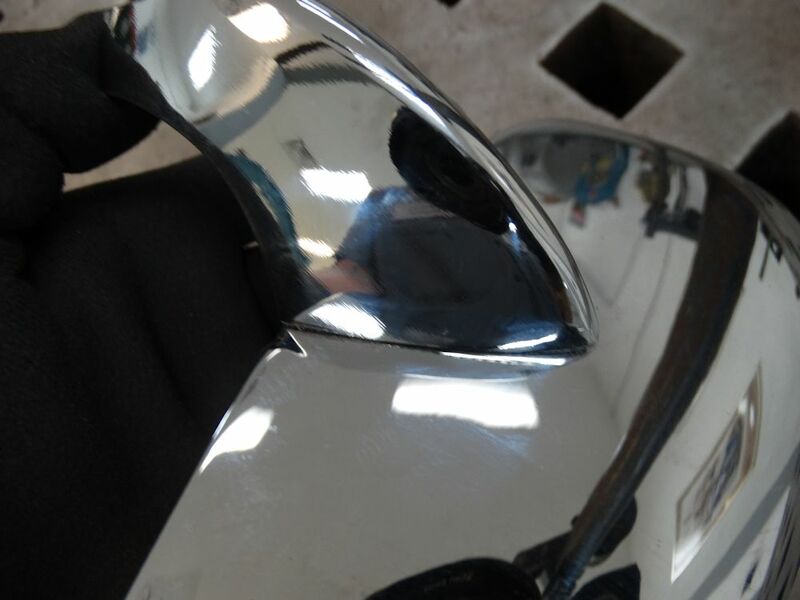 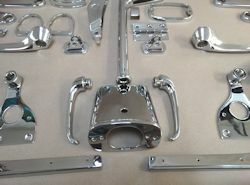 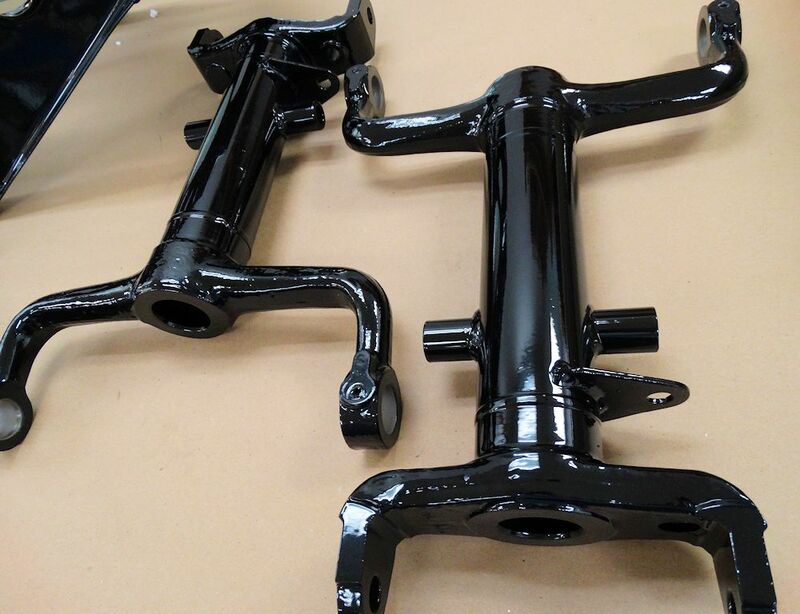 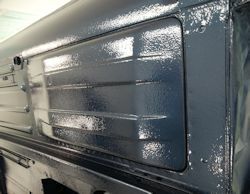 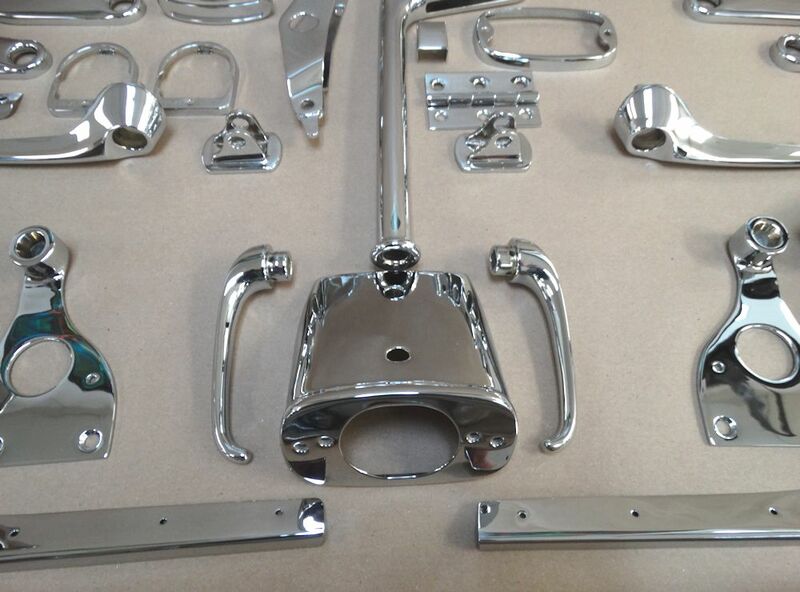 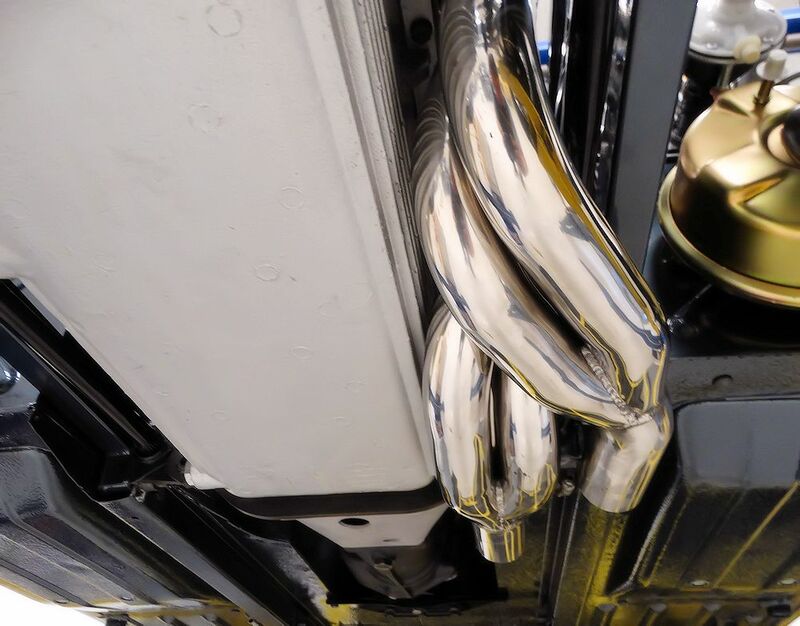 More Opalescent Dark Blue paint being applied - and lots of beautiful new chrome. 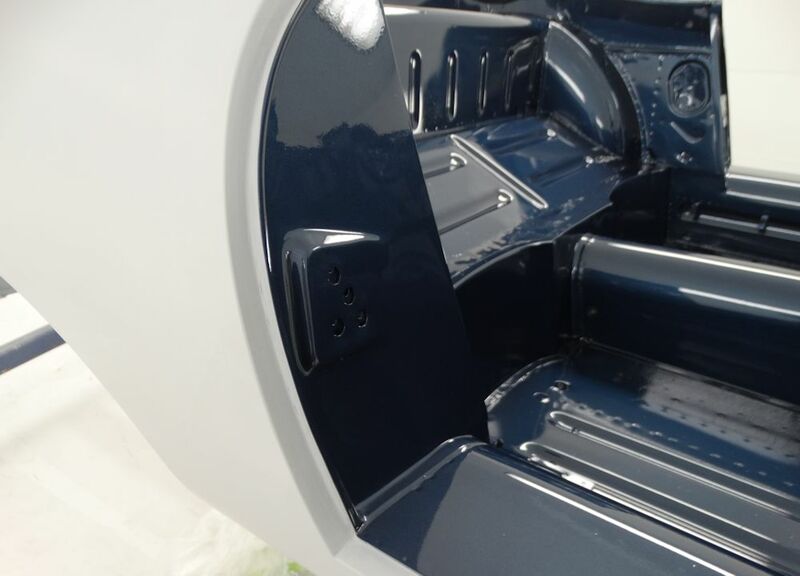 Applying the first of the Opalescent Dark Blue paint. 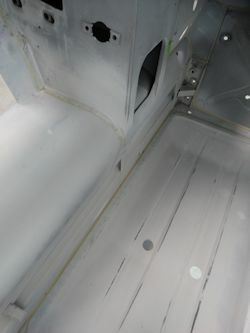 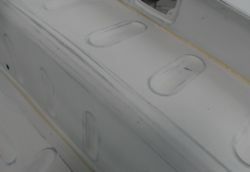 First to be painted is the cabin, followed by the underside of the floors and the boot compartment. 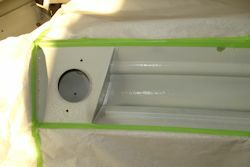 It is always very exciting when a project gets to this stage - beautiful new paintwork never gets old! 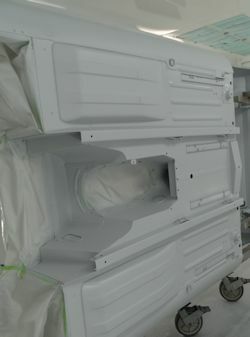 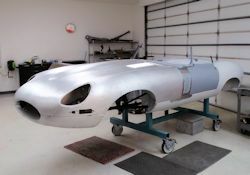 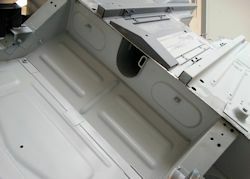 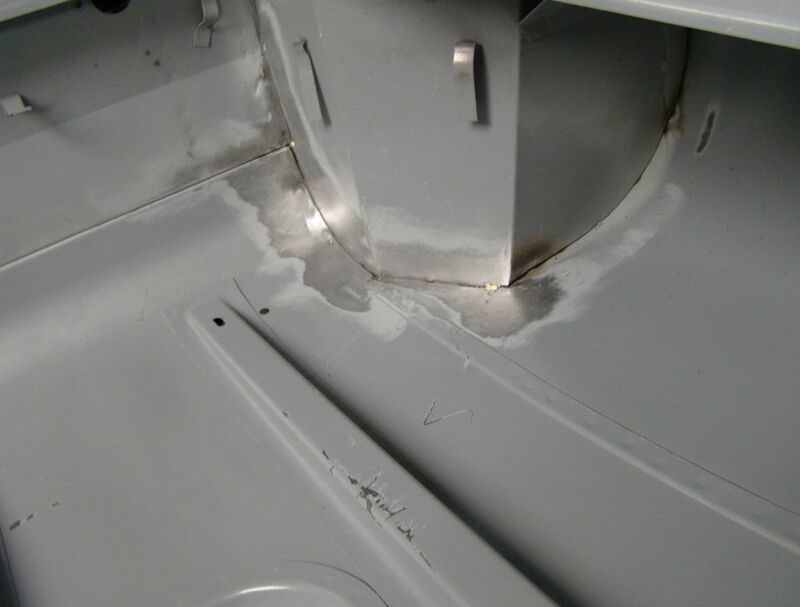 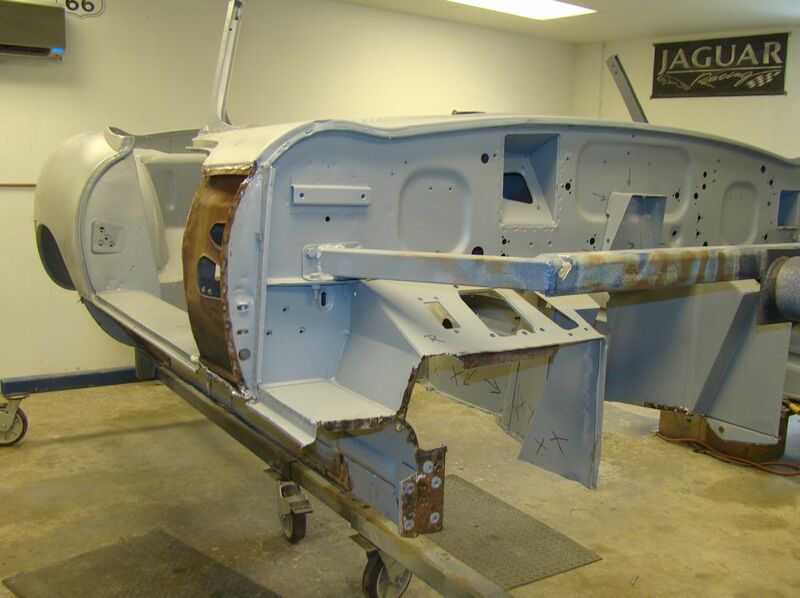 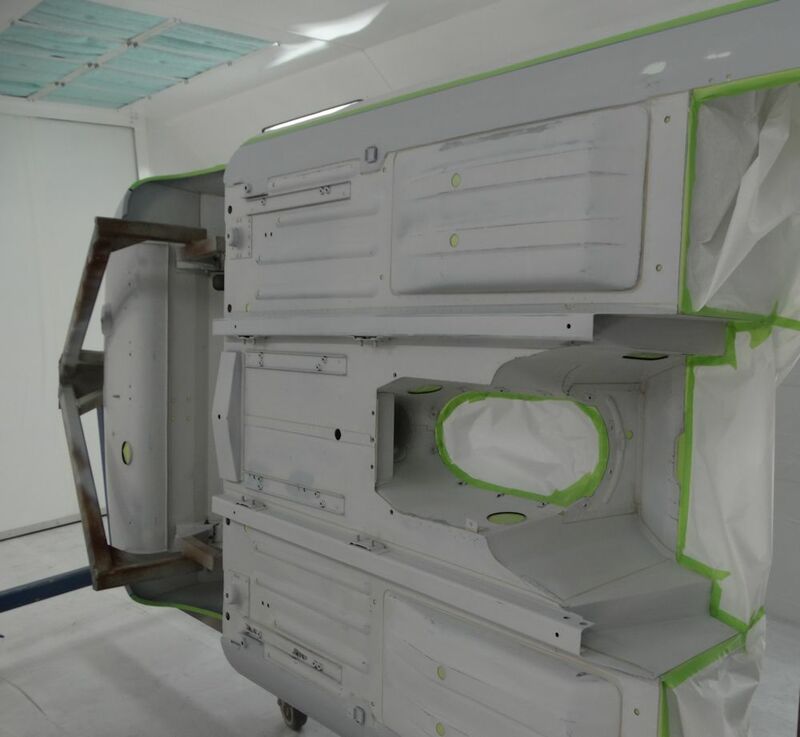 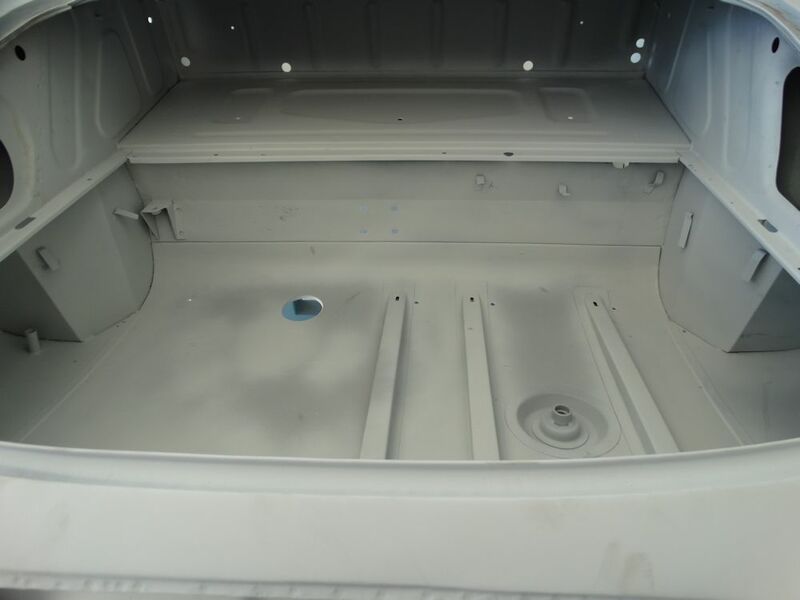 Your bodyshell is currently in the booth being prepped for paint. 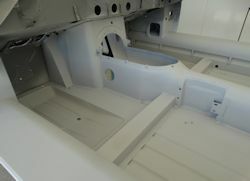 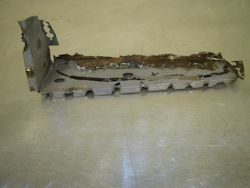 First up will be the cabin and the underside of the floors. 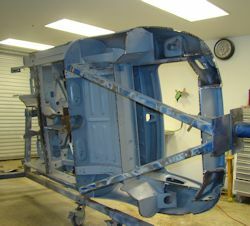 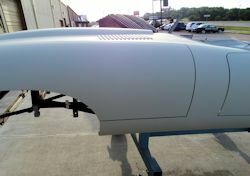 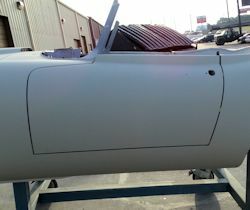 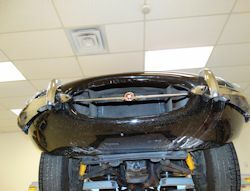 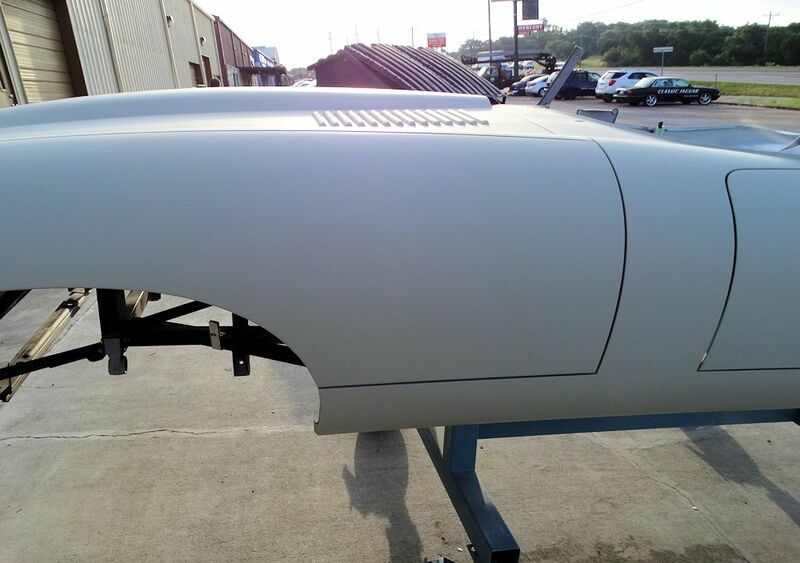 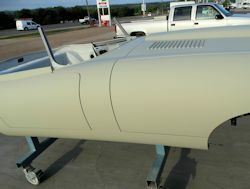 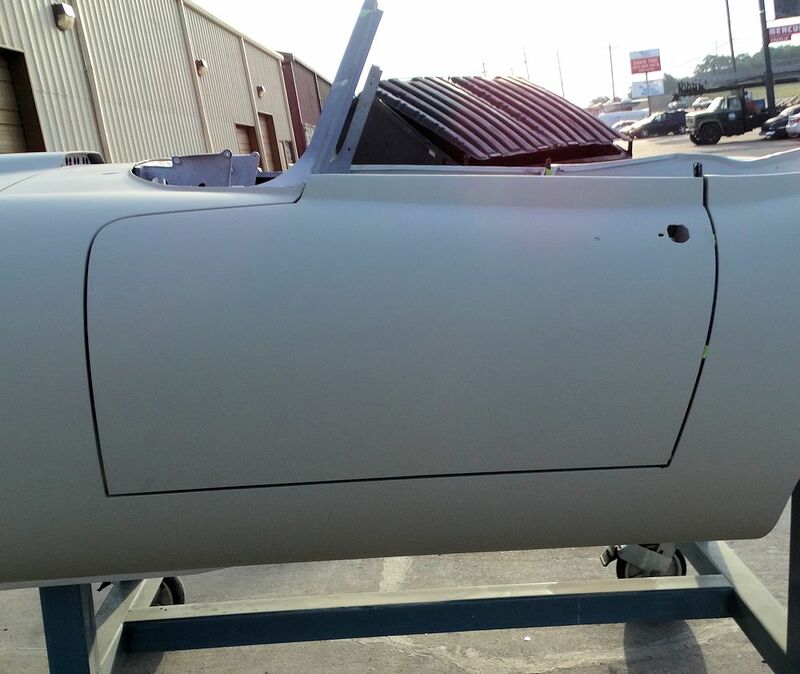 We are scheduled to be applying the first of the Opalescent Dark Blue paint on Tuesday of next week. 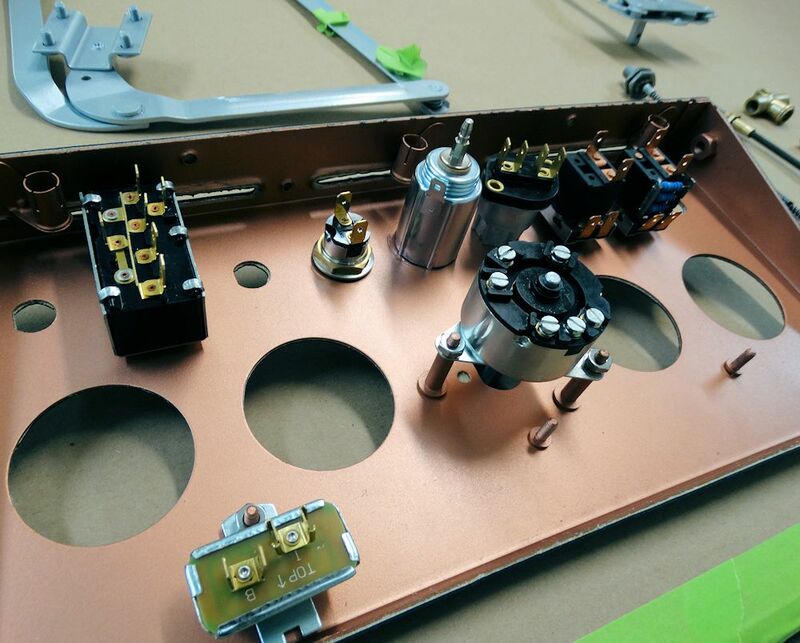 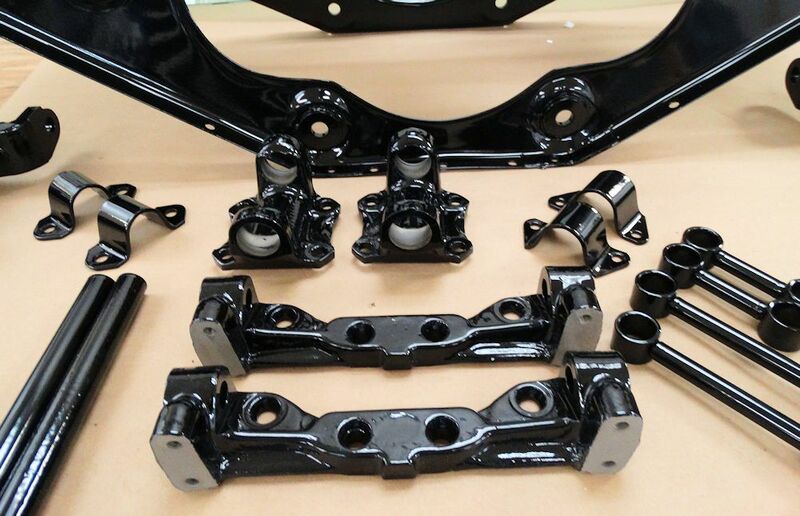 Assembling your rebuilt and restored IRS. 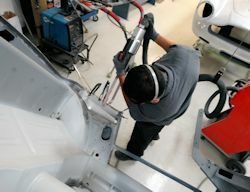 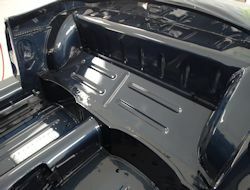 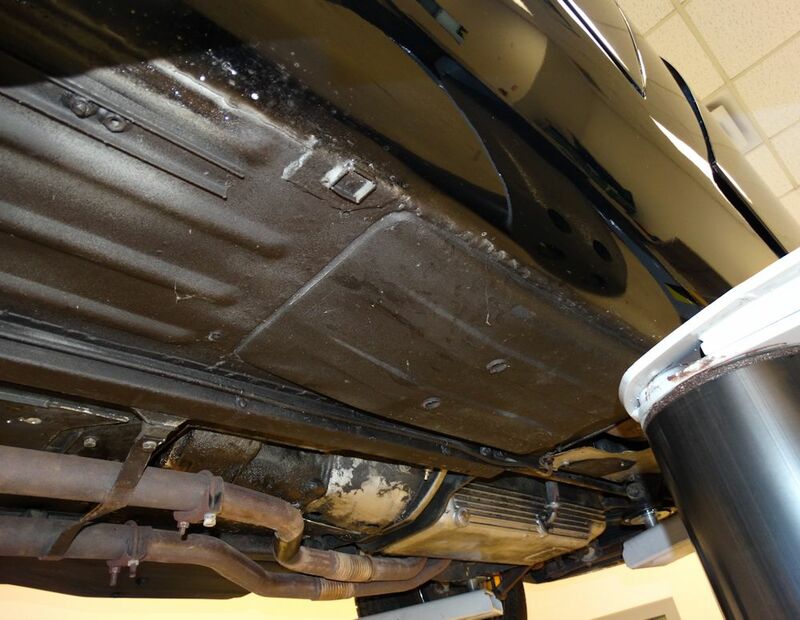 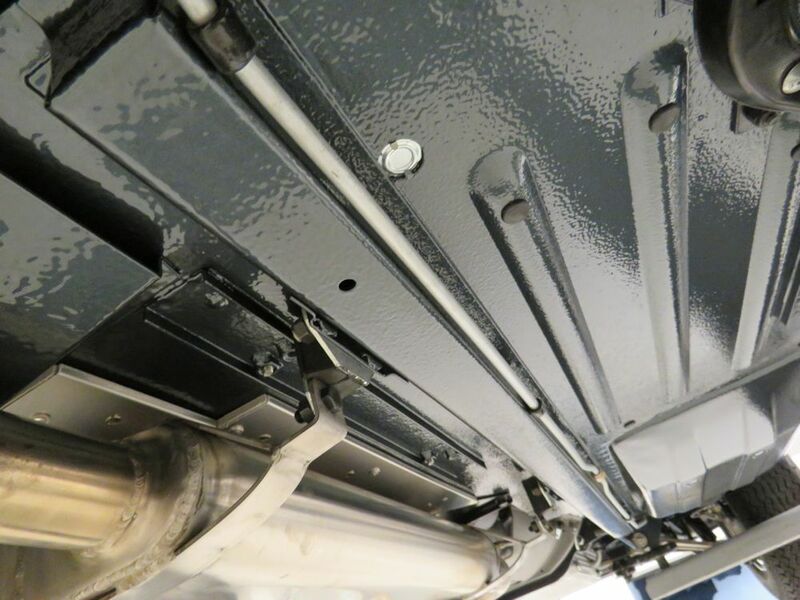 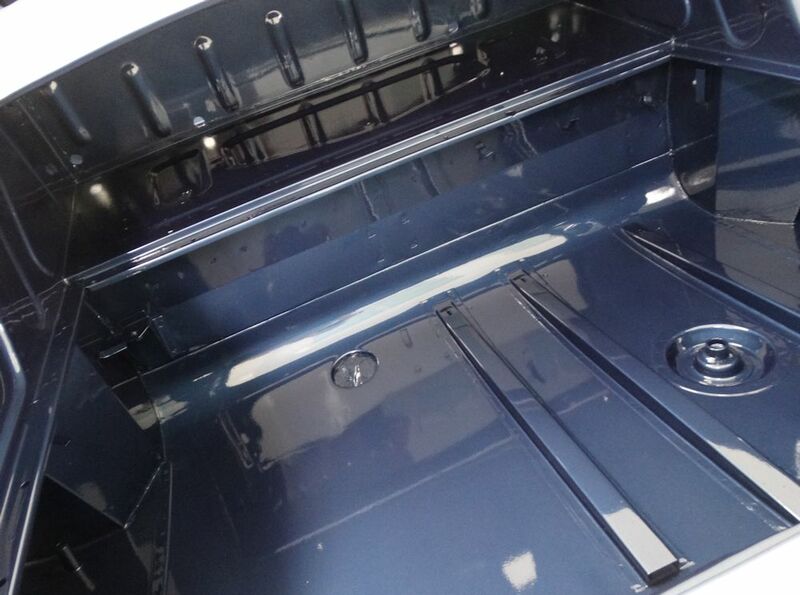 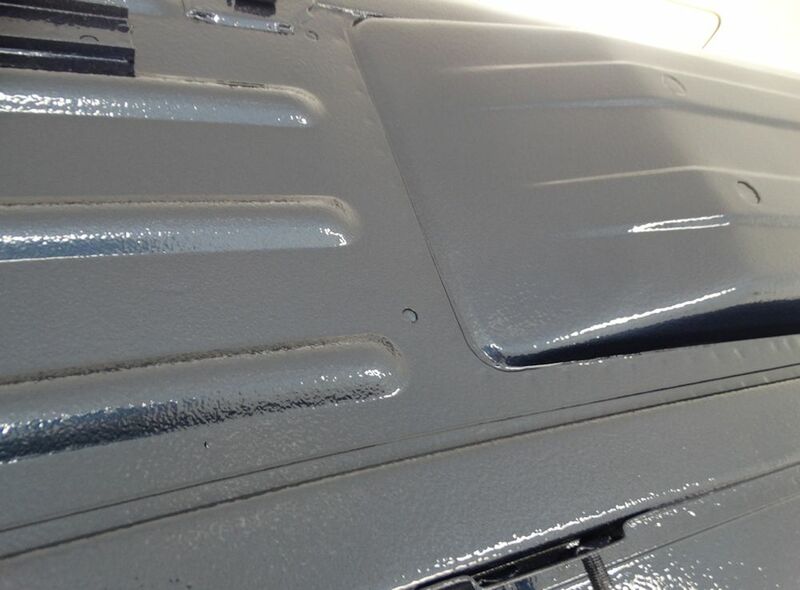 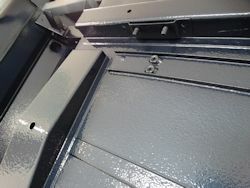 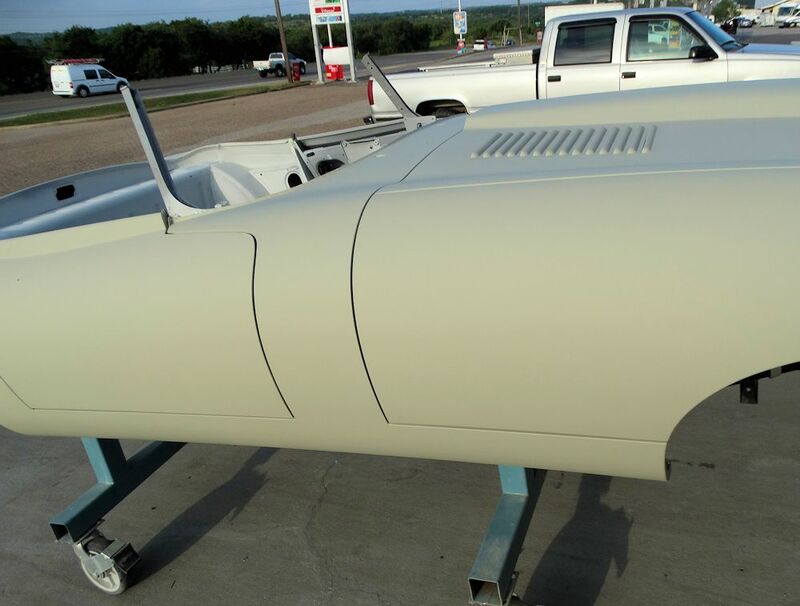 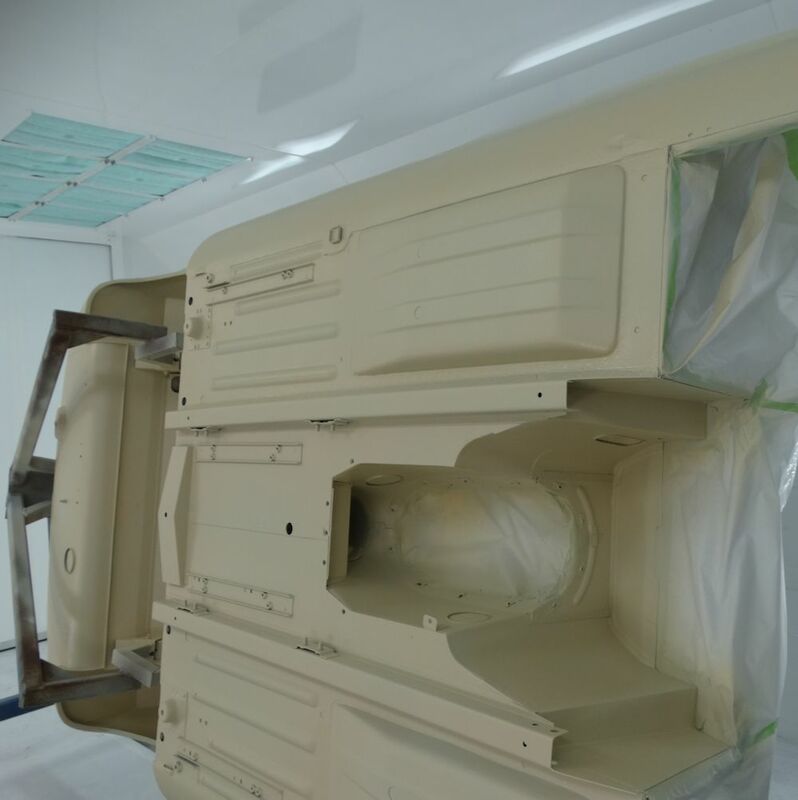 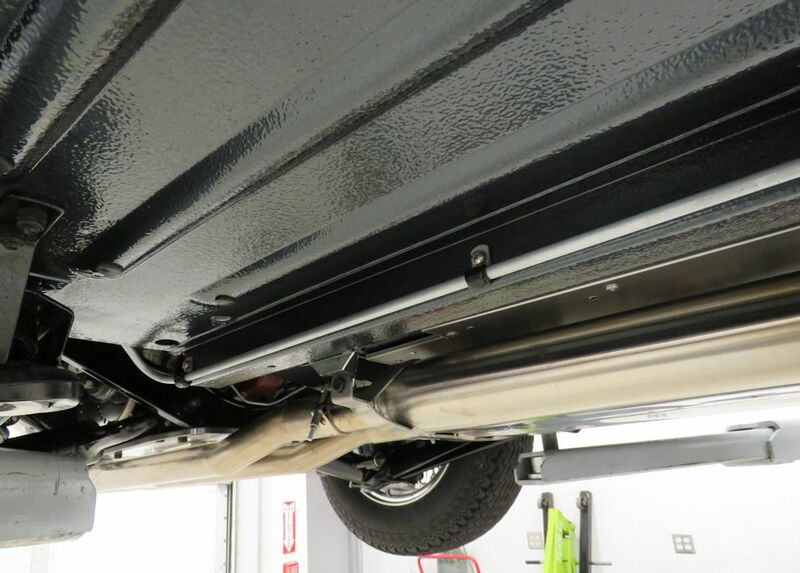 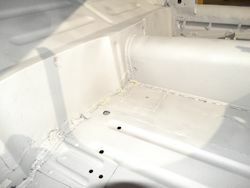 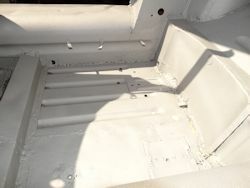 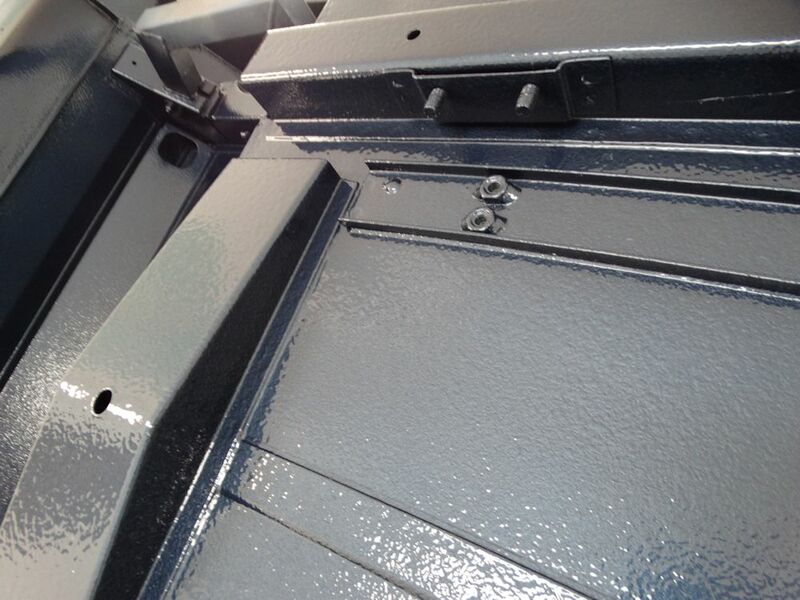 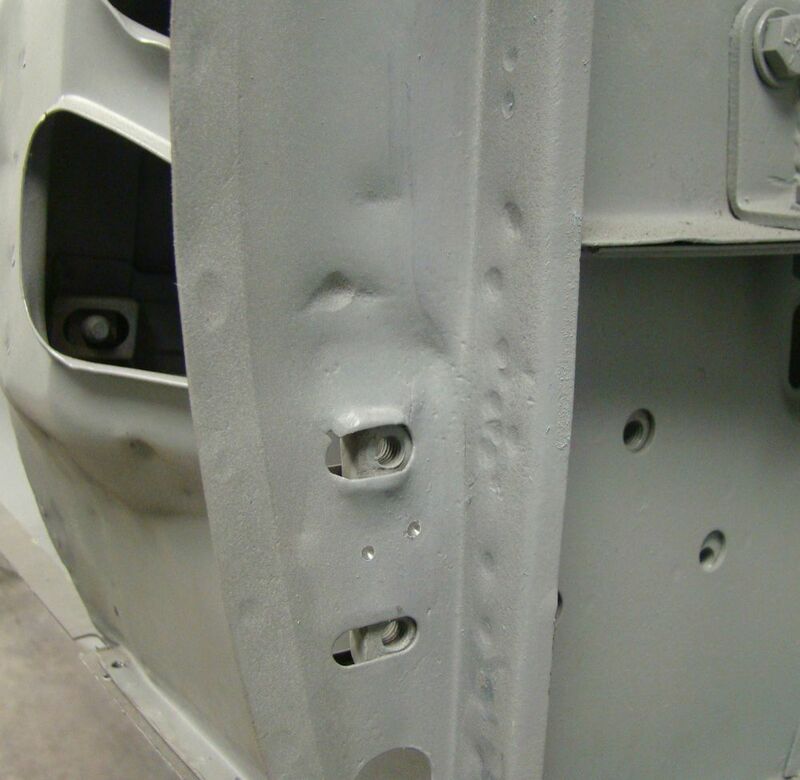 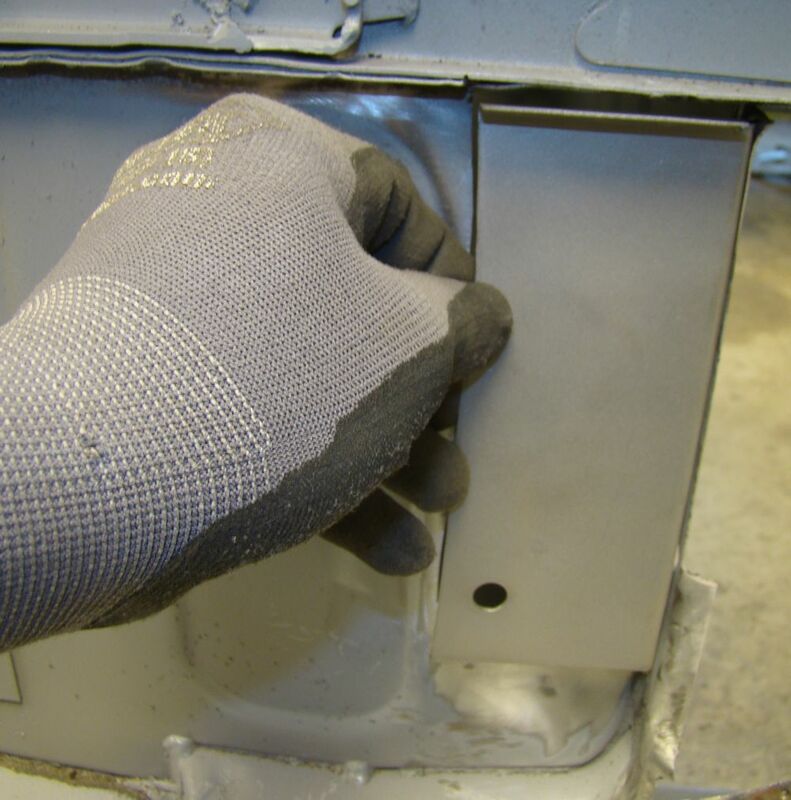 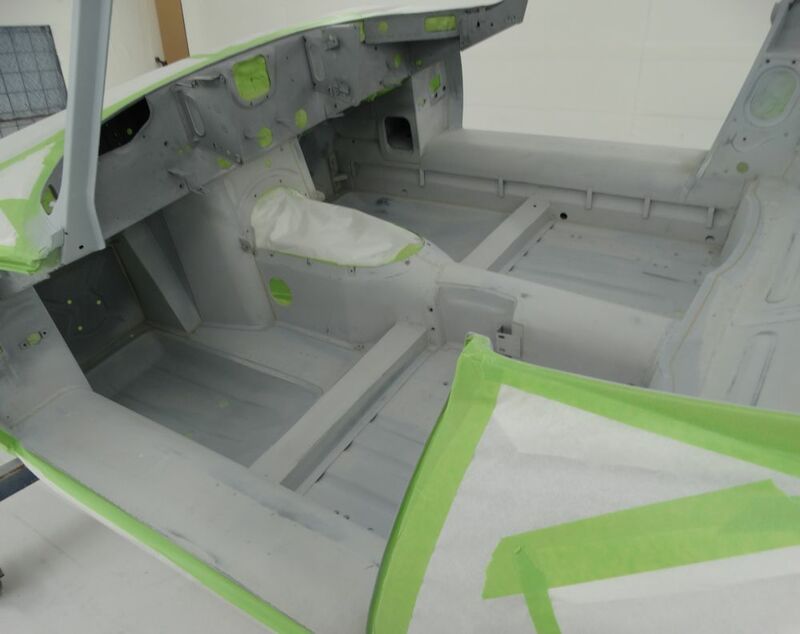 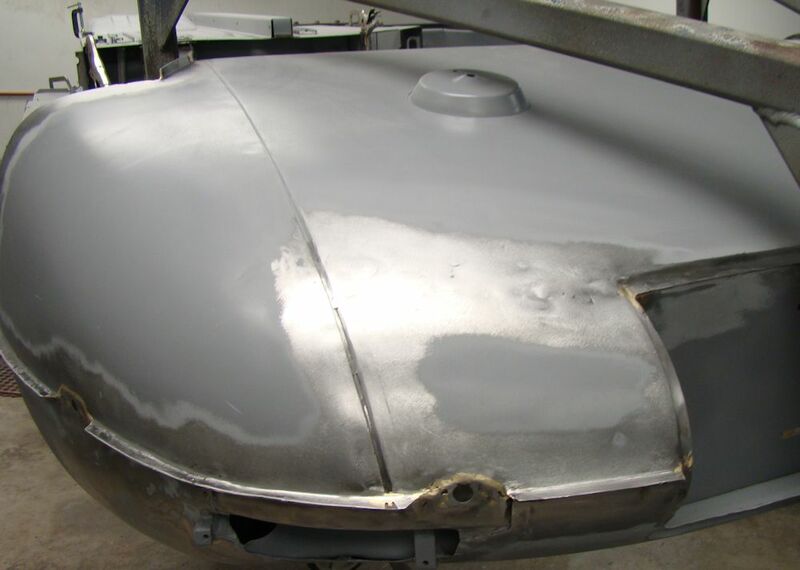 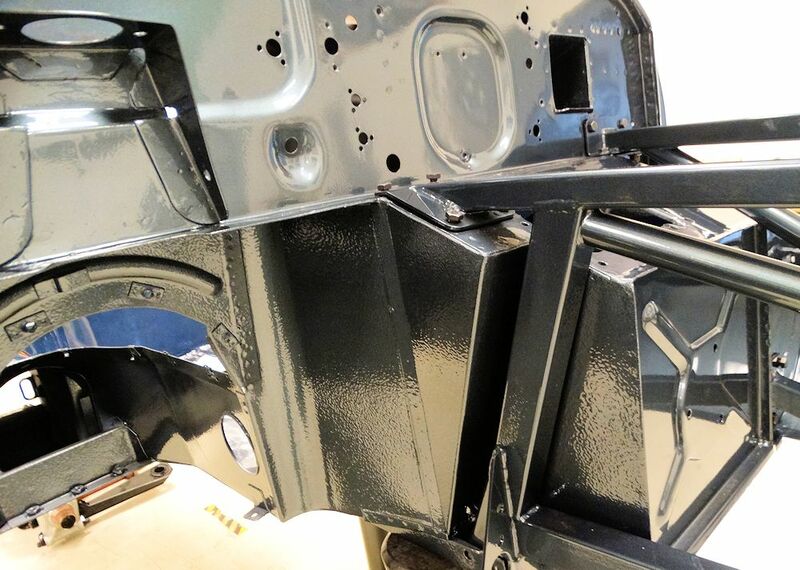 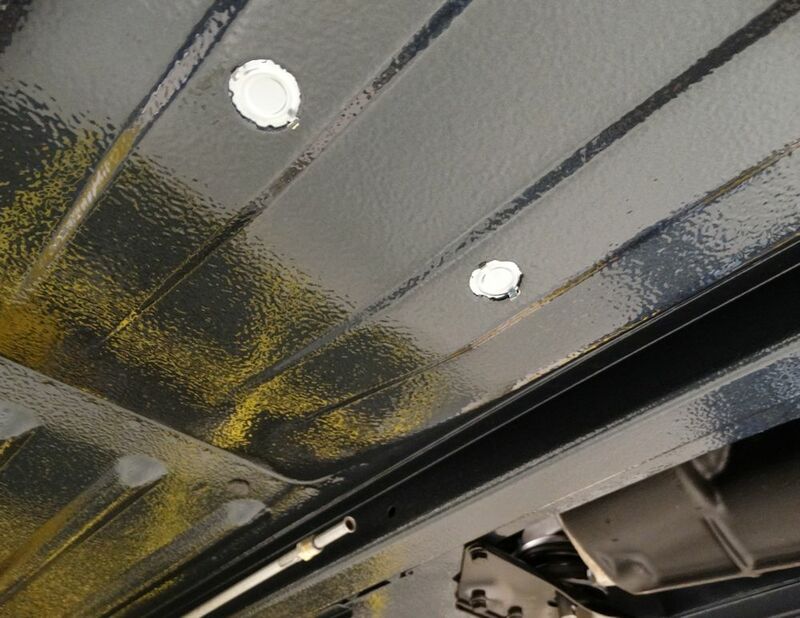 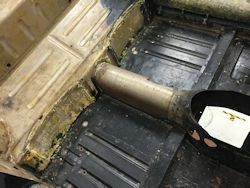 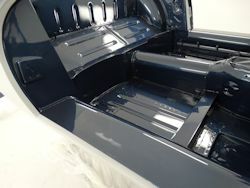 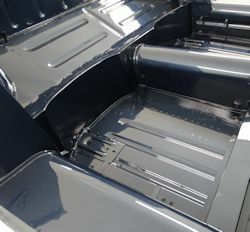 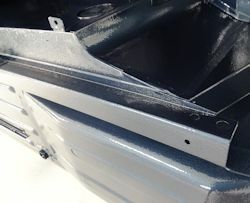 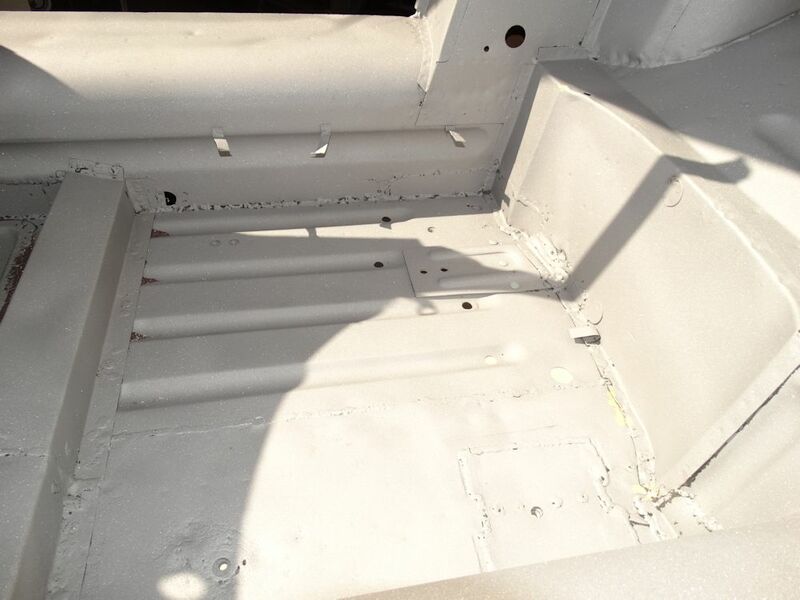 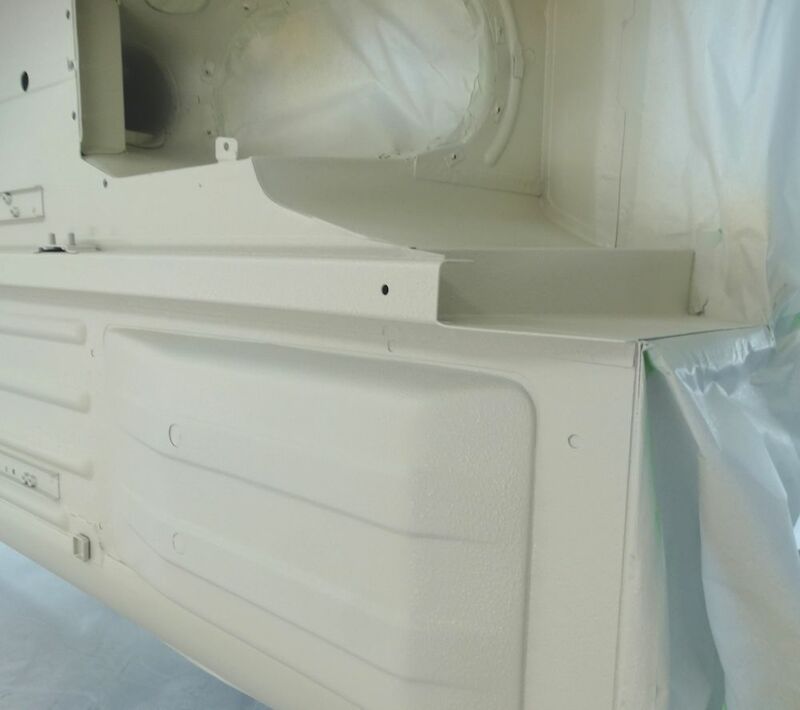 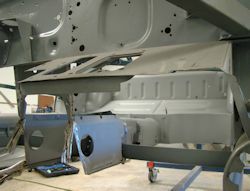 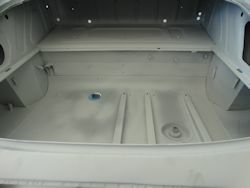 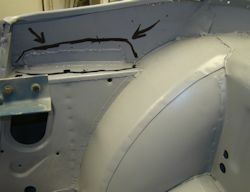 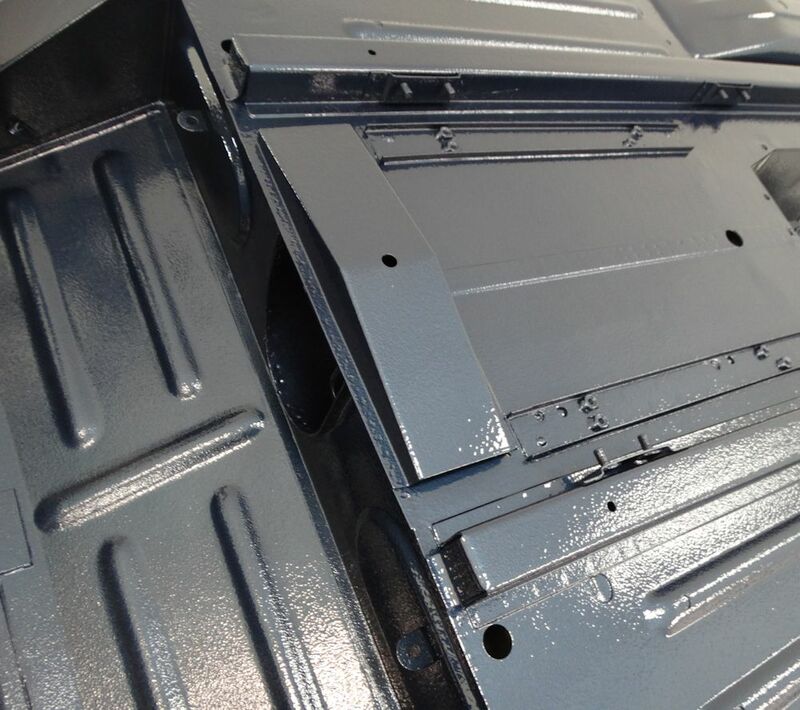 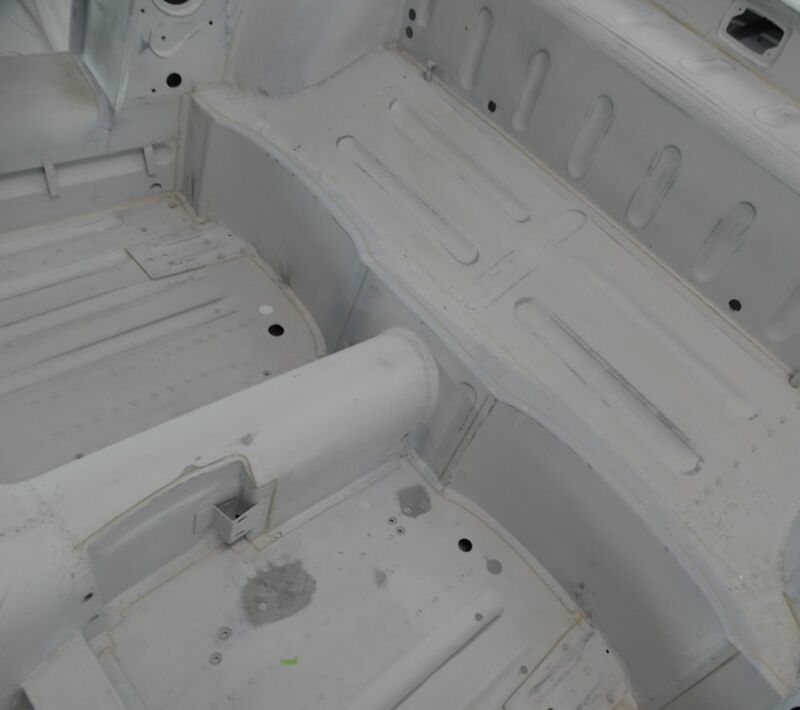 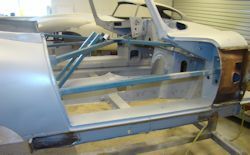 The filler and block work has now been completed and the car has been primed with Spies Hecker Raderal sprayable polyester high build primer. 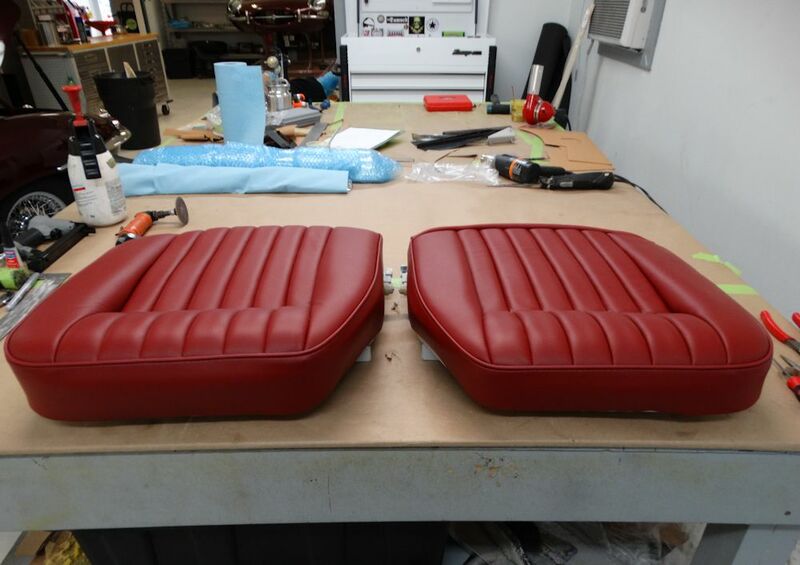 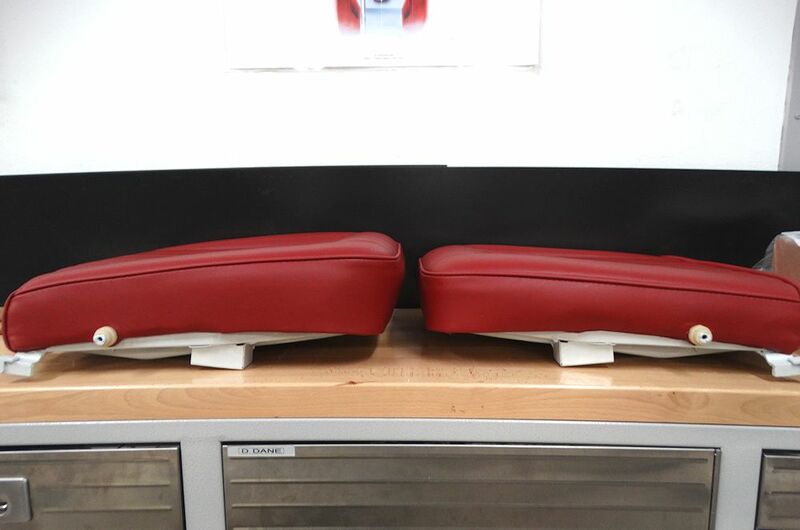 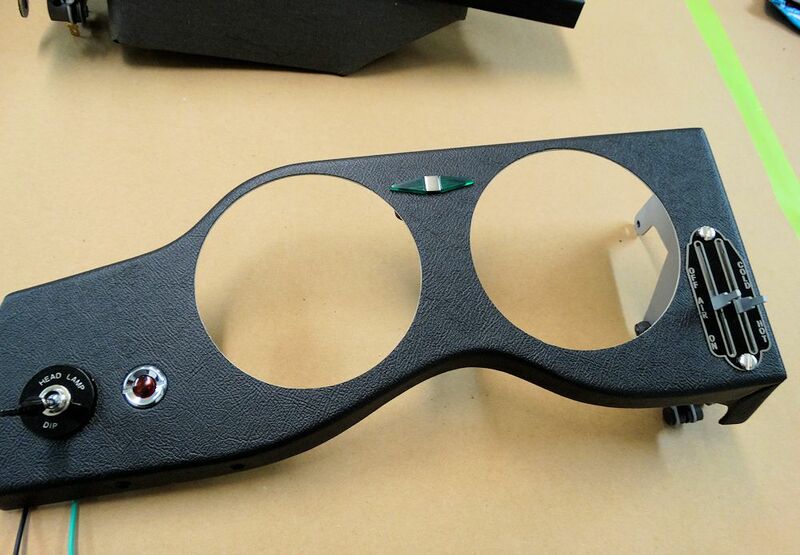 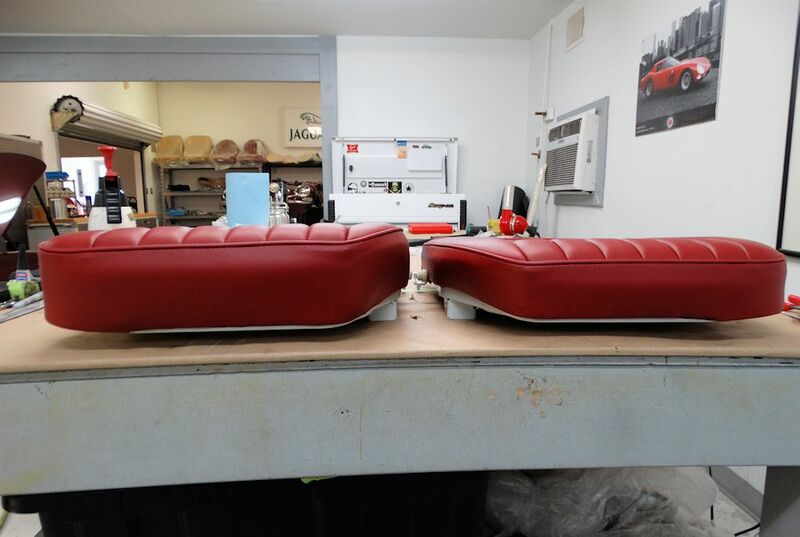 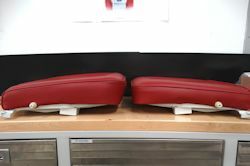 We modified the driver's seat cushion, shaving 3/4" from the foam to provide the maximum possible headroom for a tall driver. 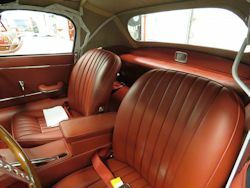 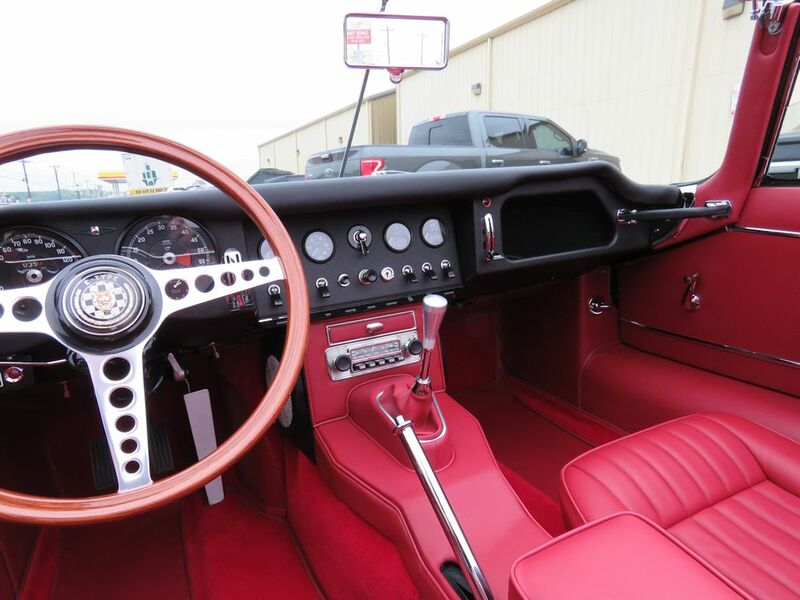 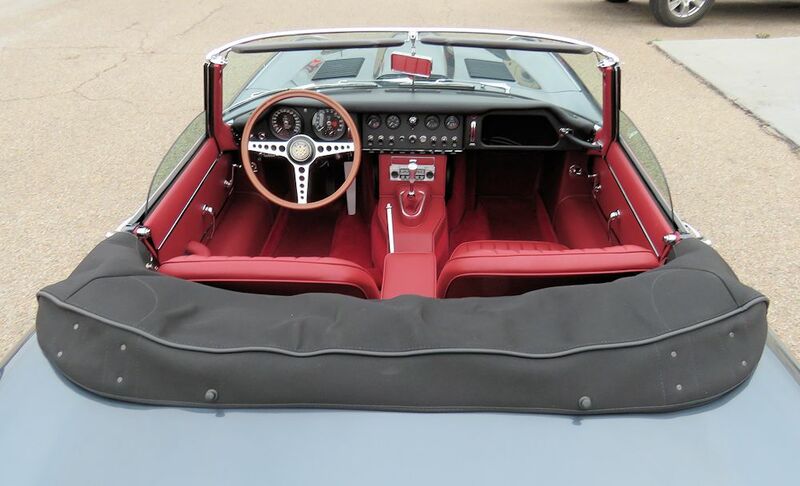 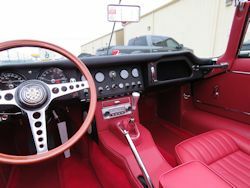 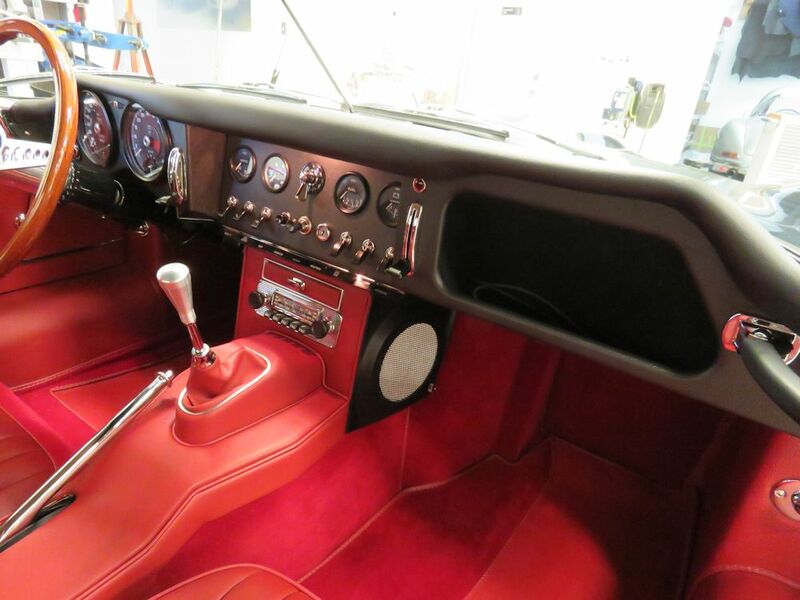 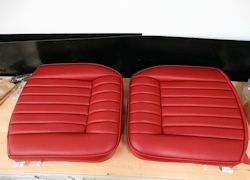 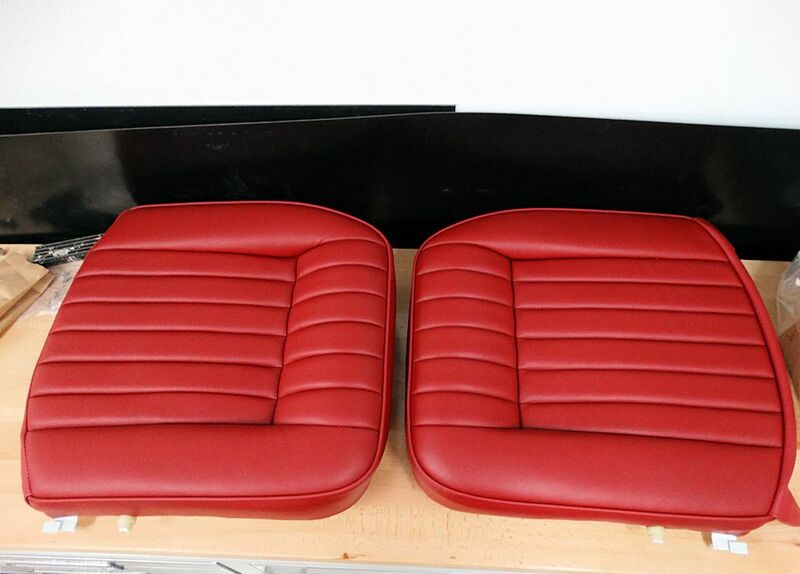 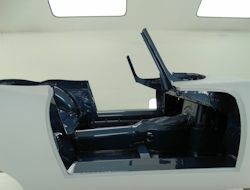 The modification is subtle, and really not noticeable when the seats are assembled and installed in the cabin. 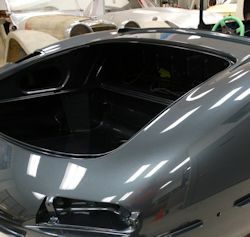 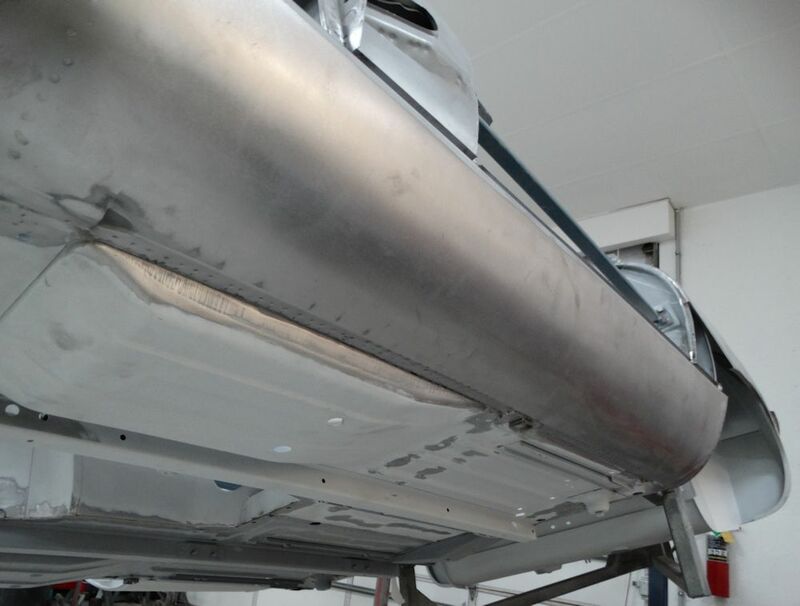 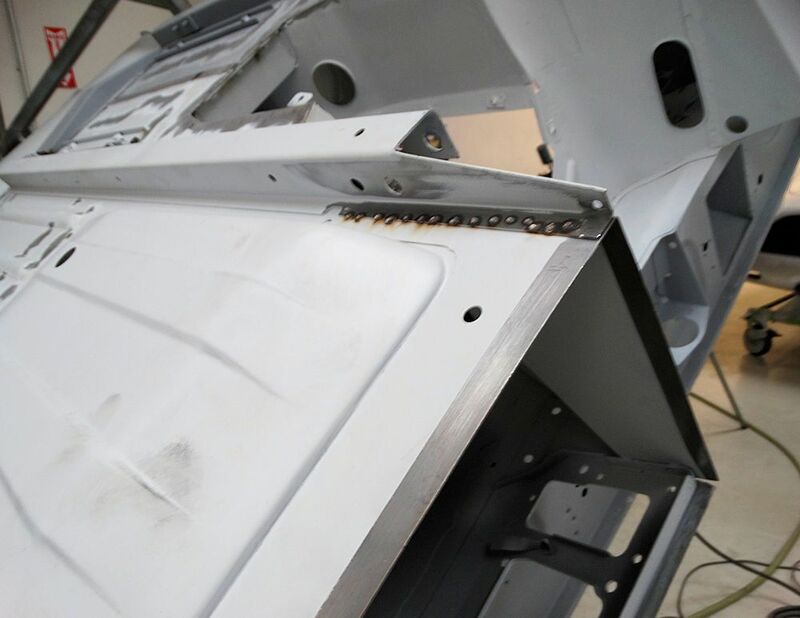 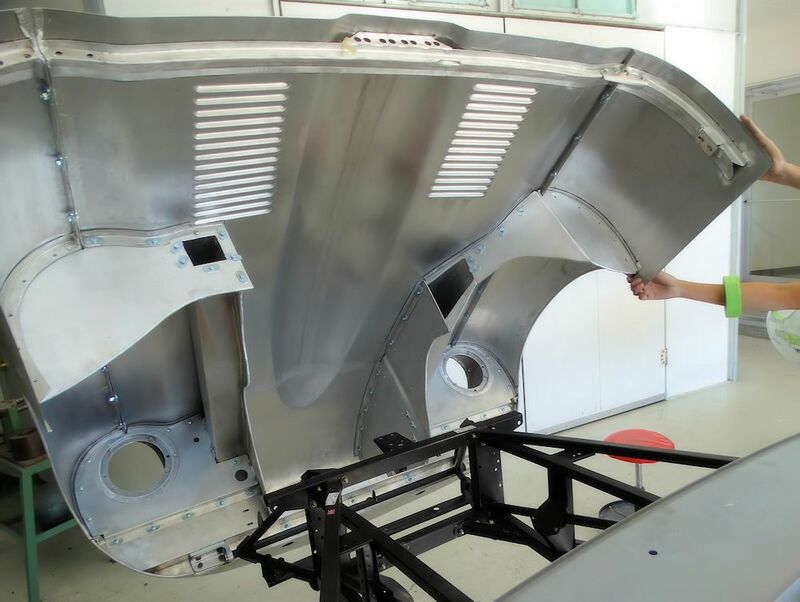 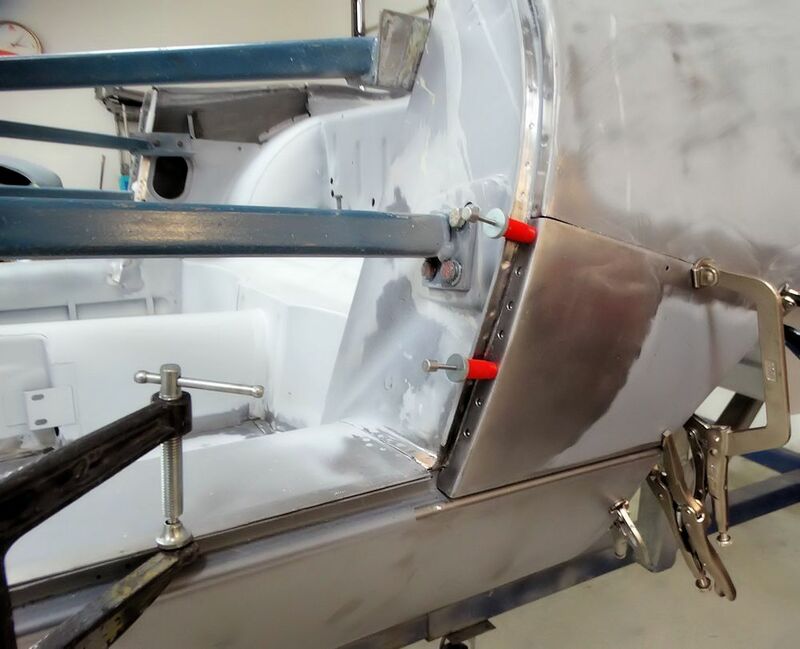 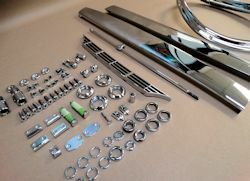 Oscar has now begun the process of fitting the new doors..
With the panel replacement now virtually completed, it is now time to fit your new alloy bonnet. 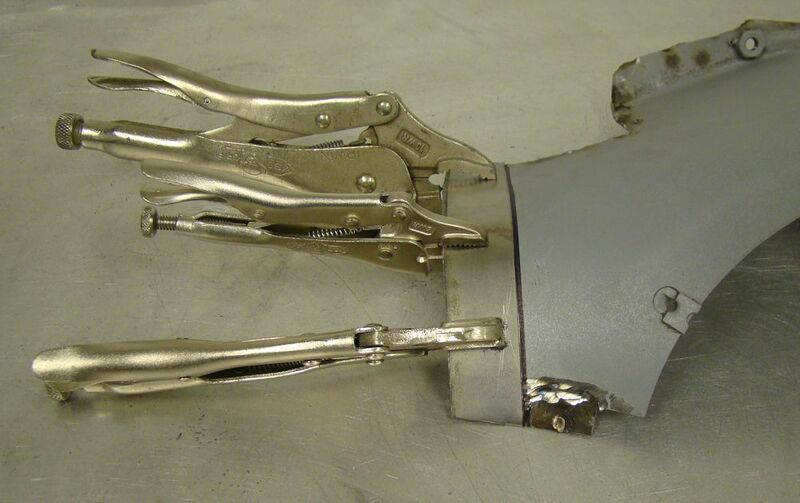 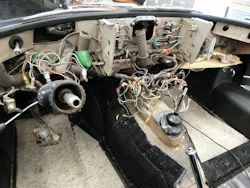 I am pleased to report that we now have your body restoration well underway. 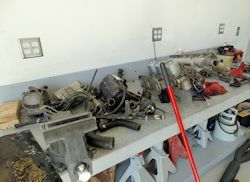 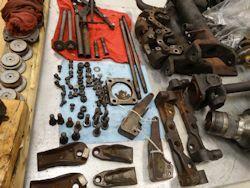 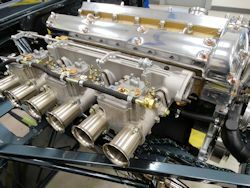 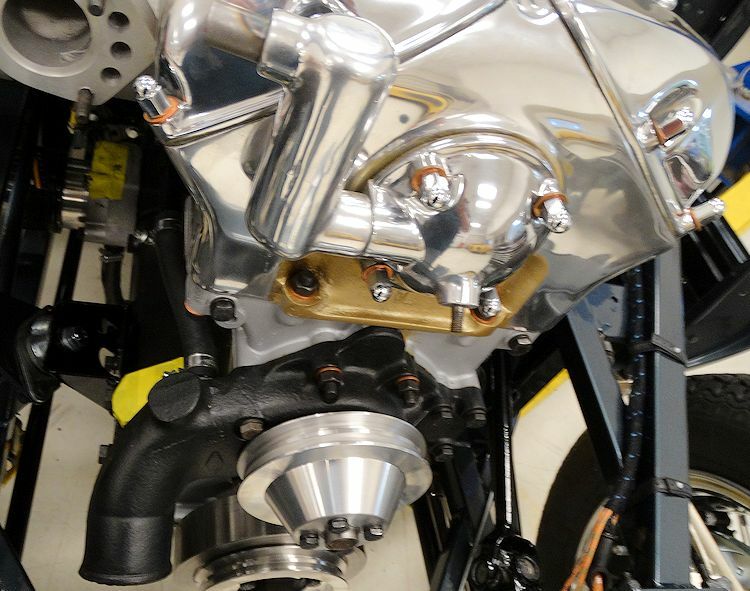 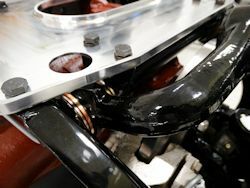 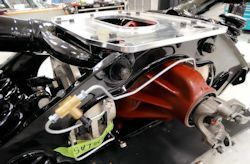 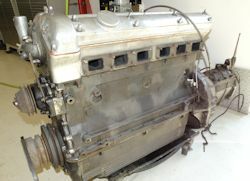 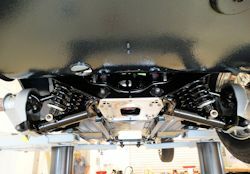 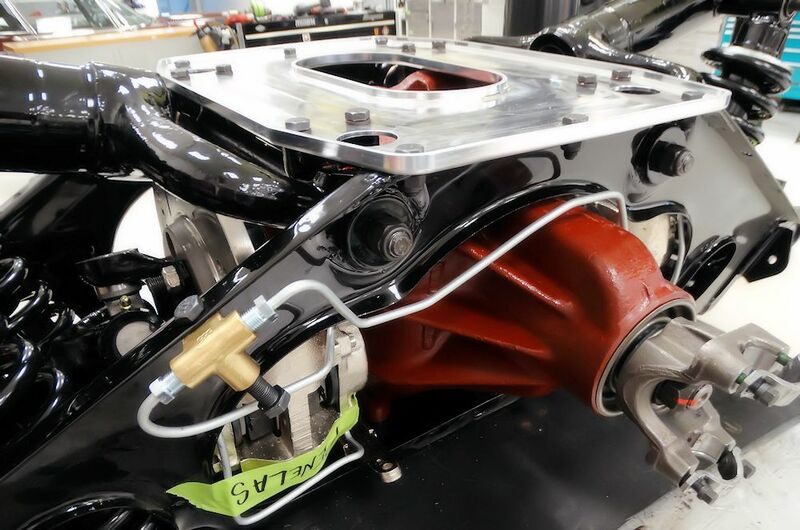 Installing the Team CJ stroked crank, forged pistons and rods, billet oil pump, etc..
We now have the body and panels back from being blasted back to bare metal. 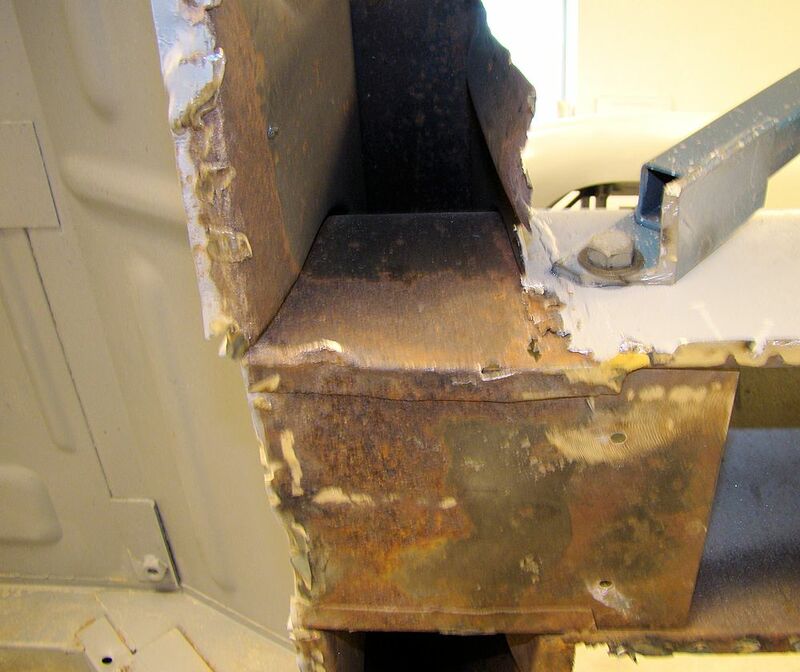 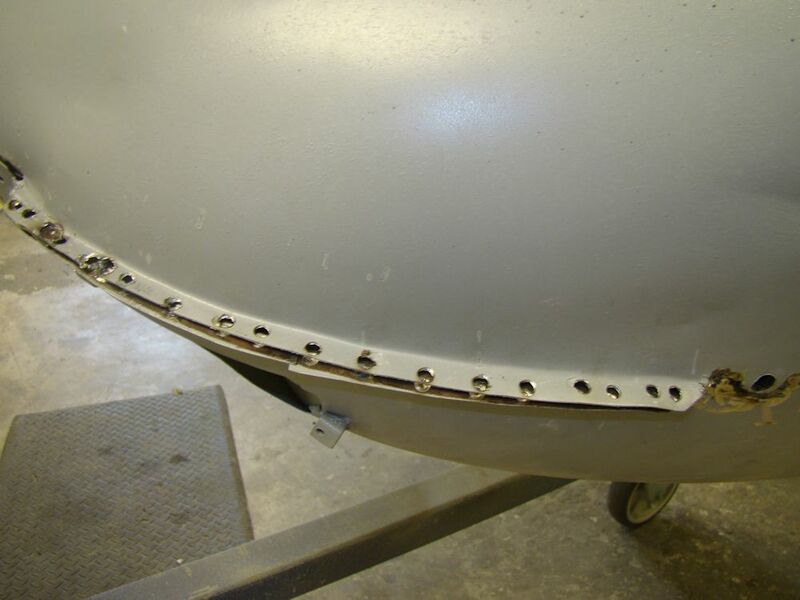 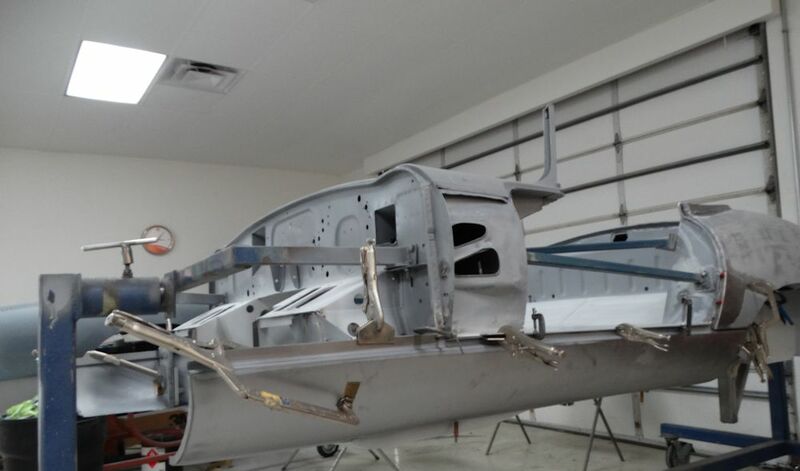 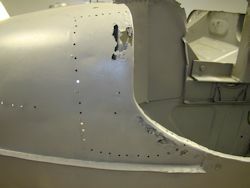 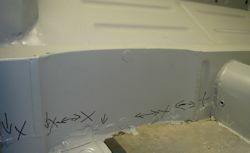 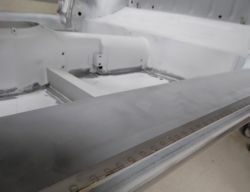 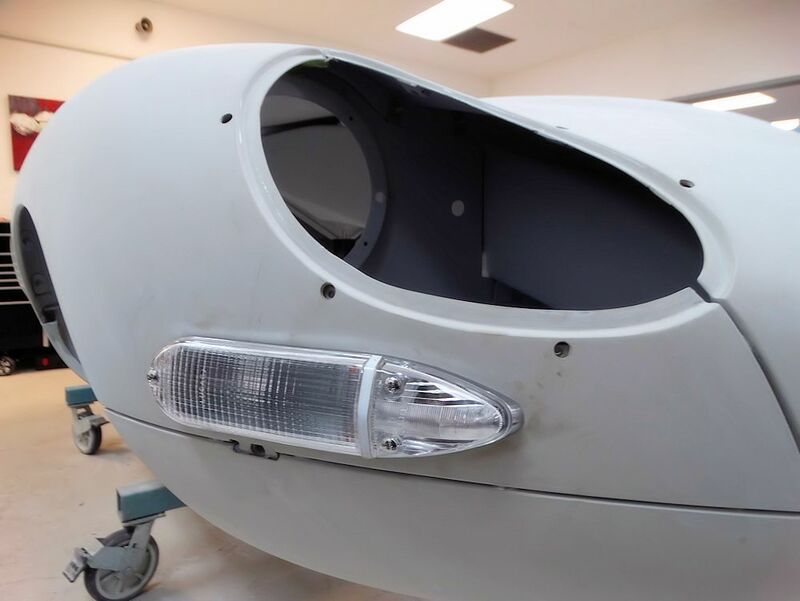 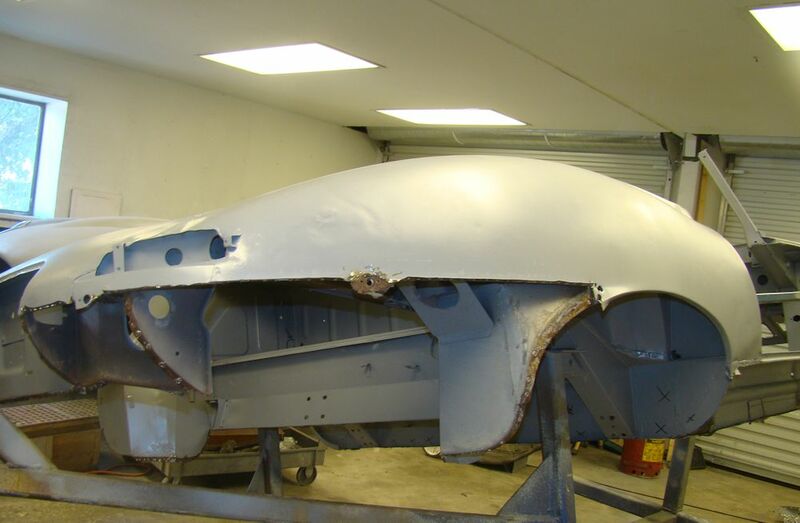 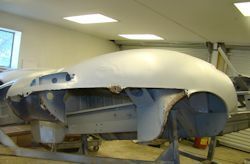 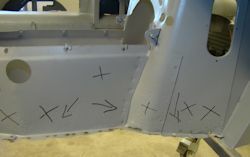 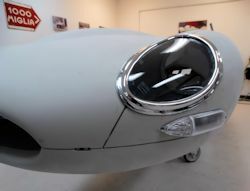 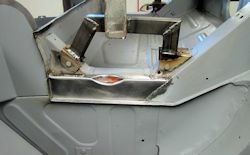 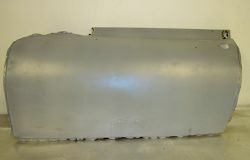 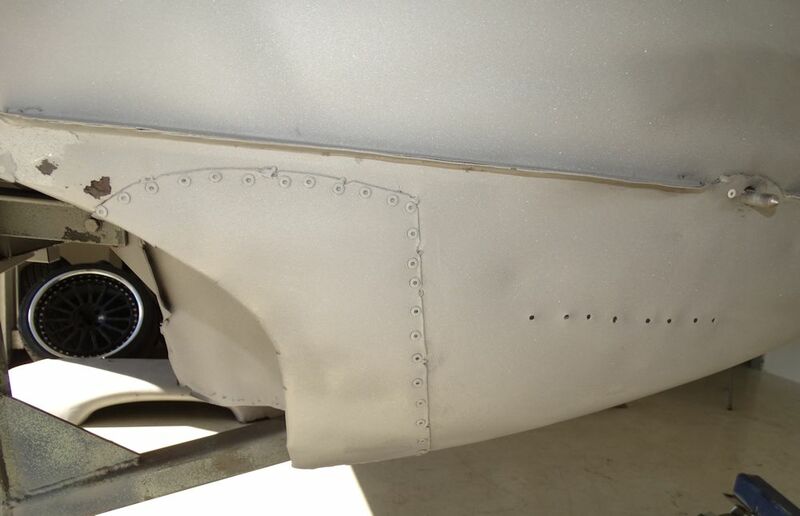 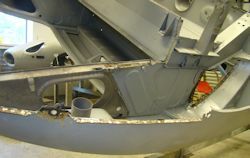 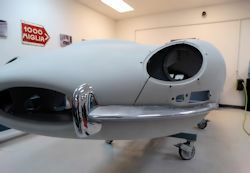 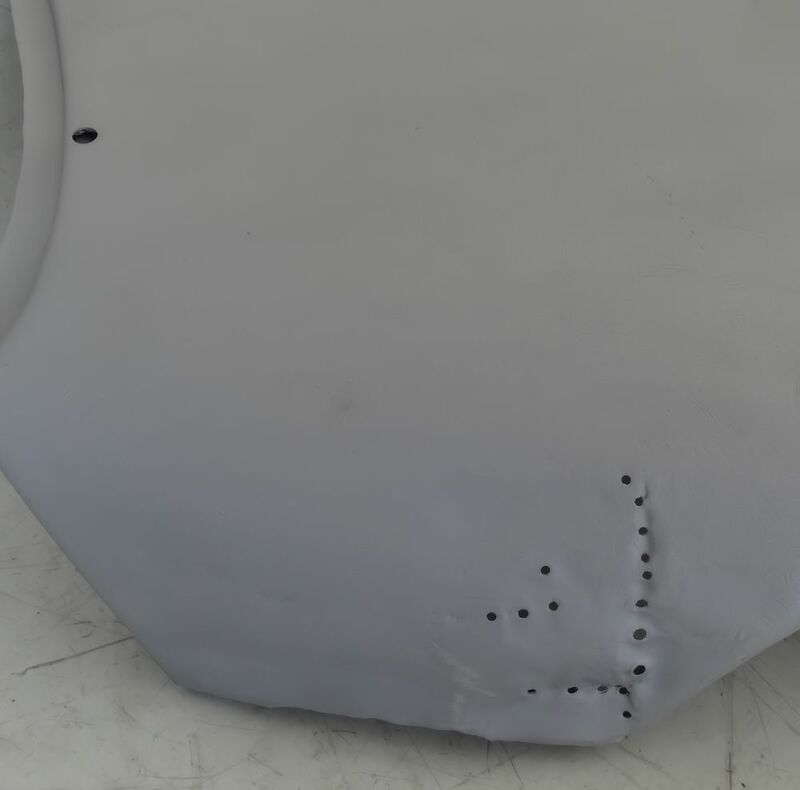 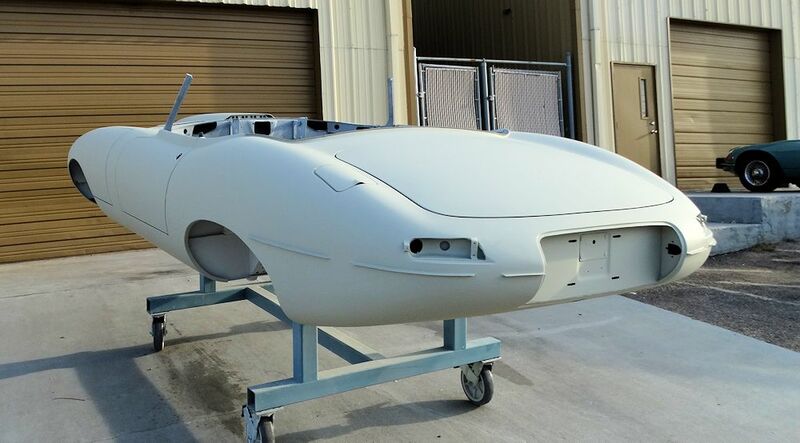 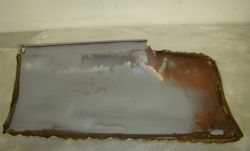 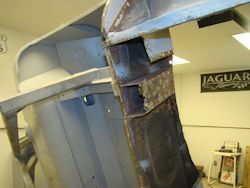 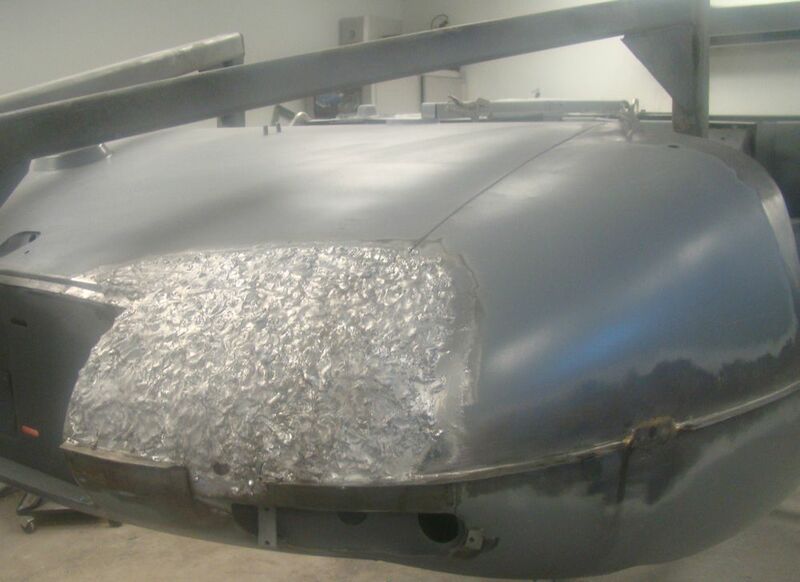 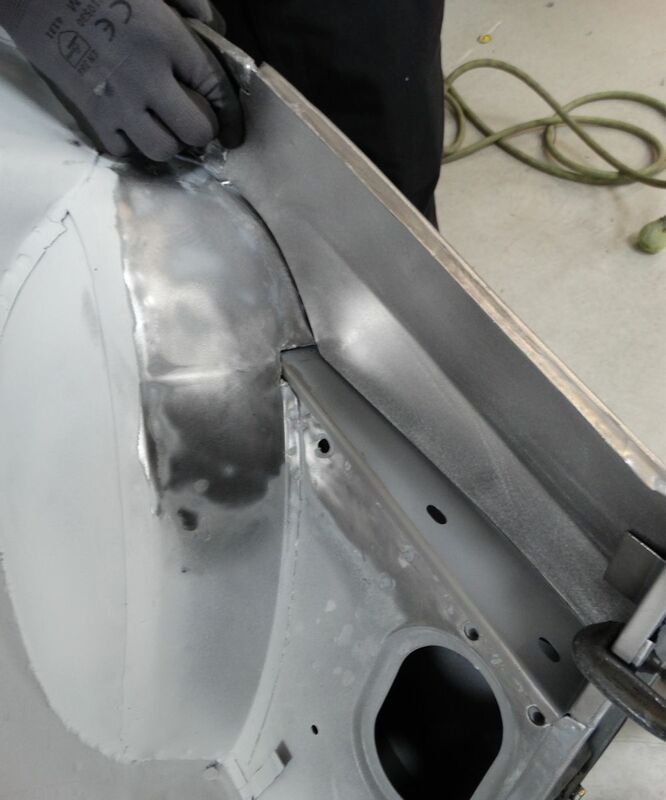 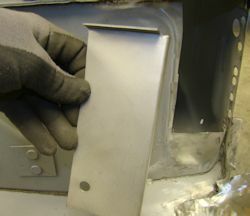 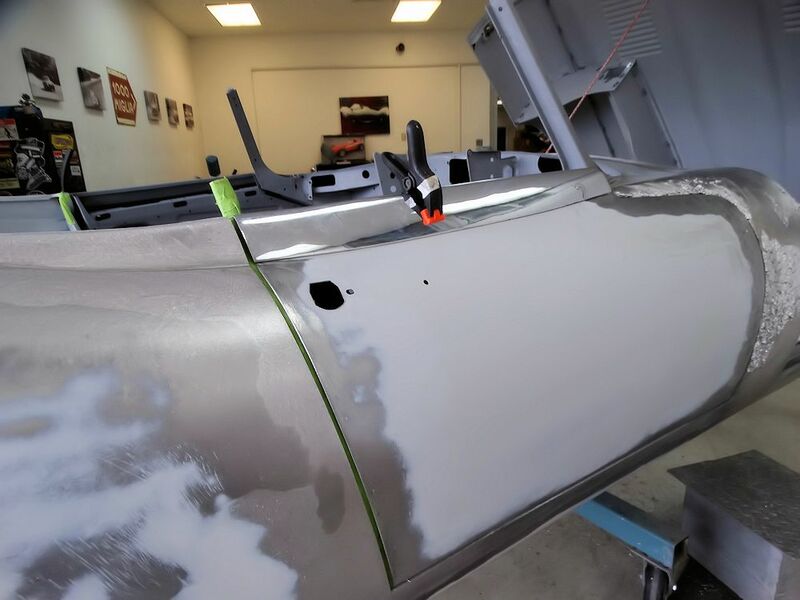 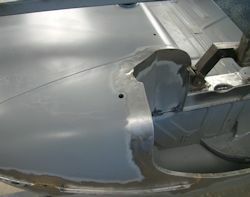 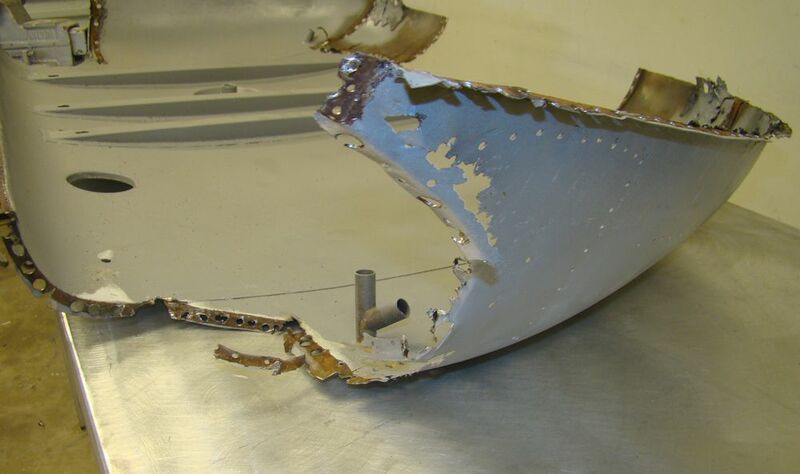 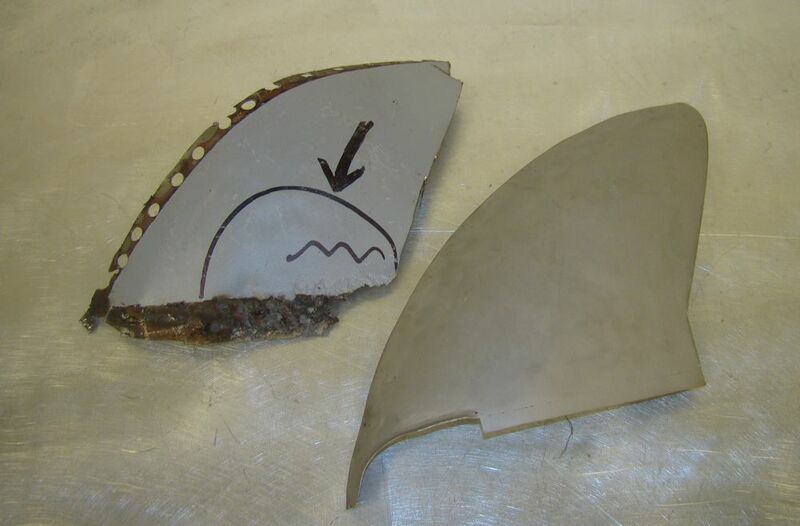 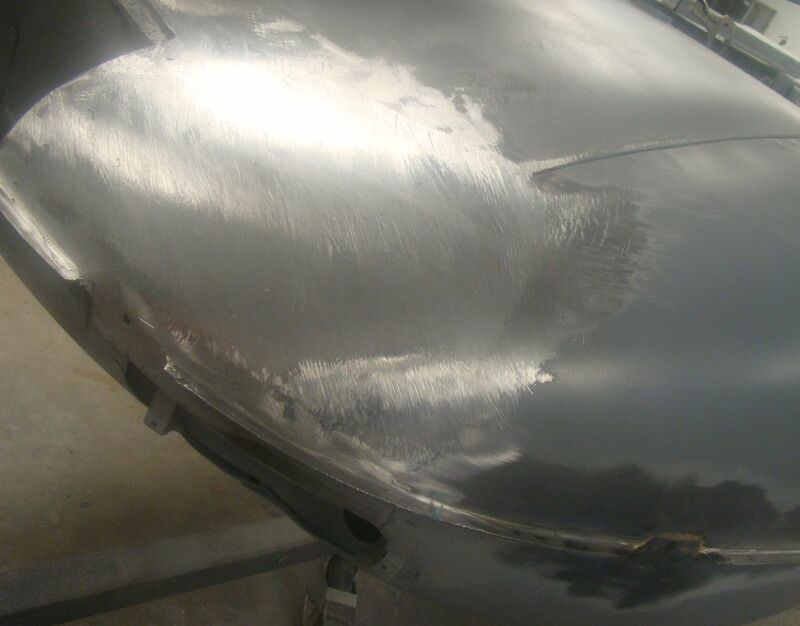 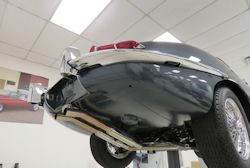 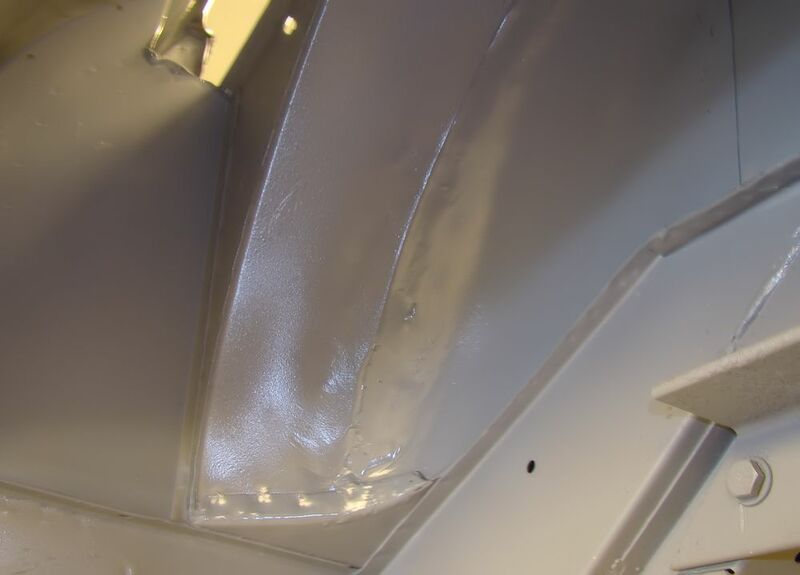 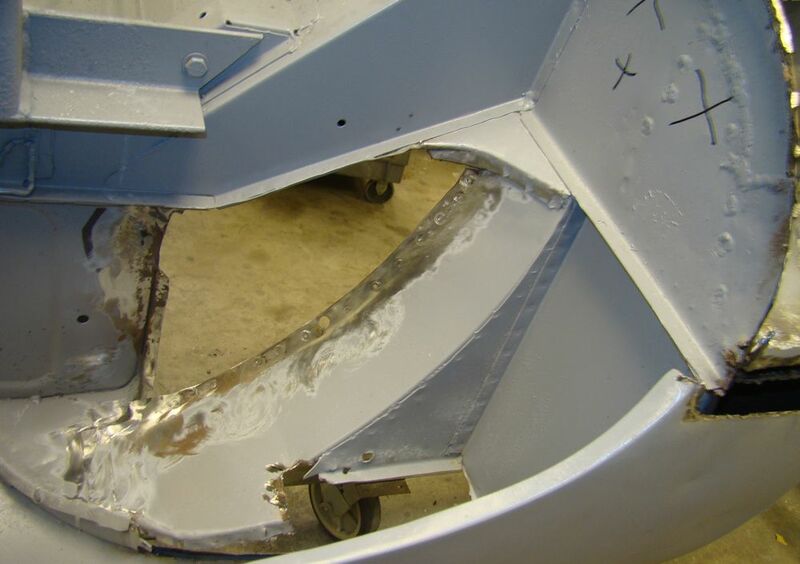 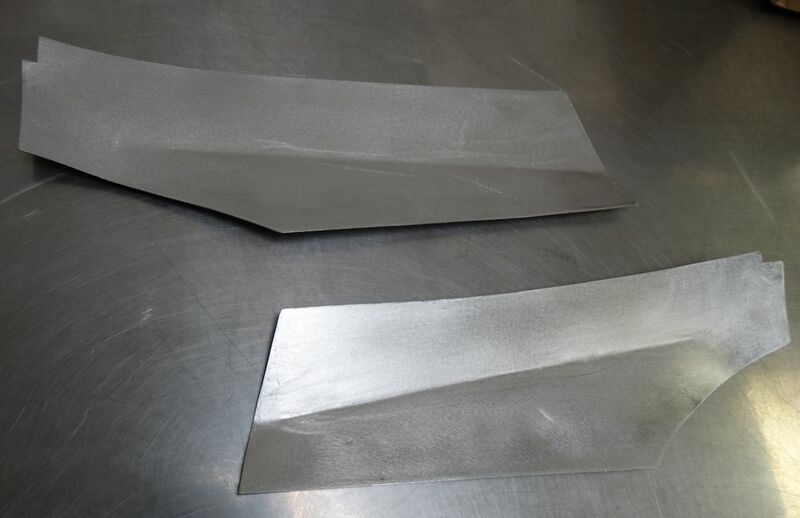 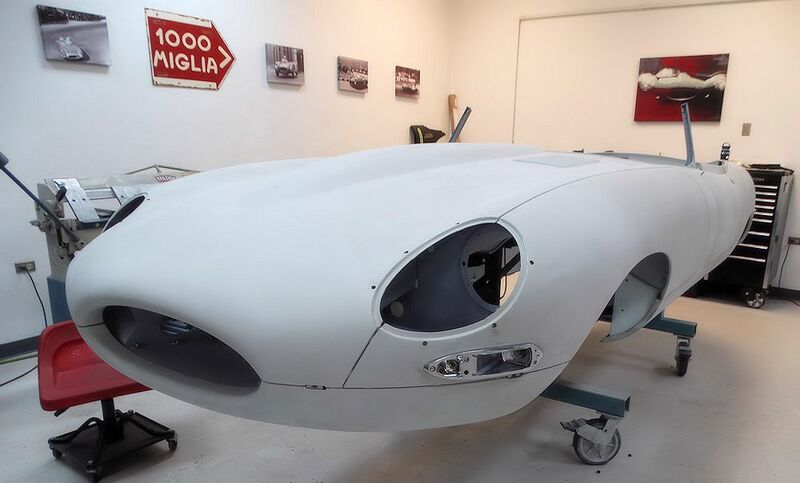 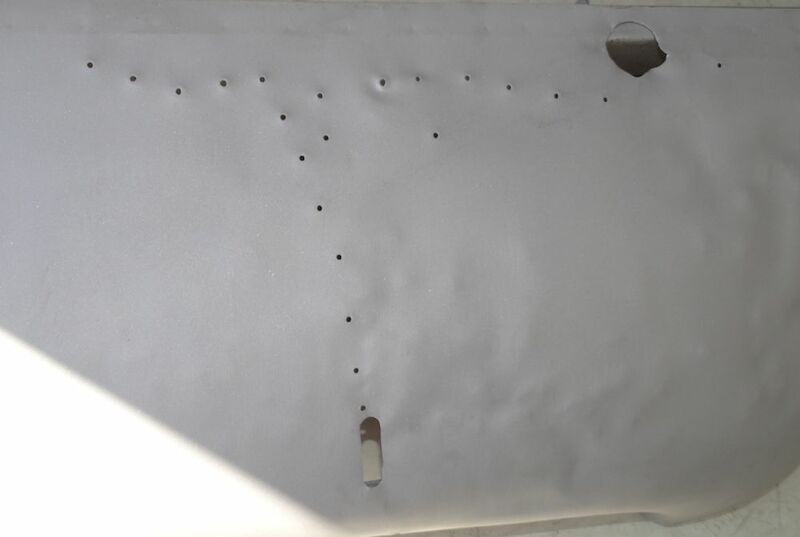 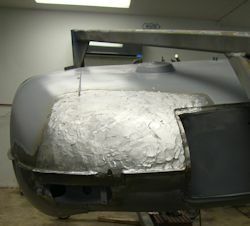 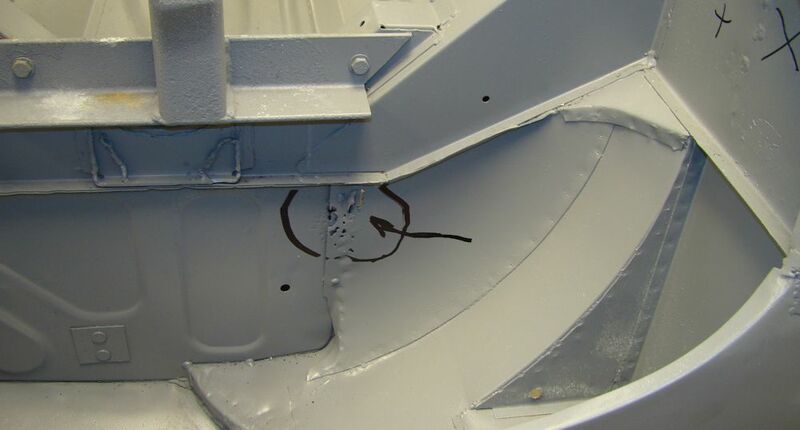 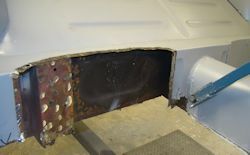 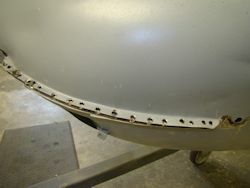 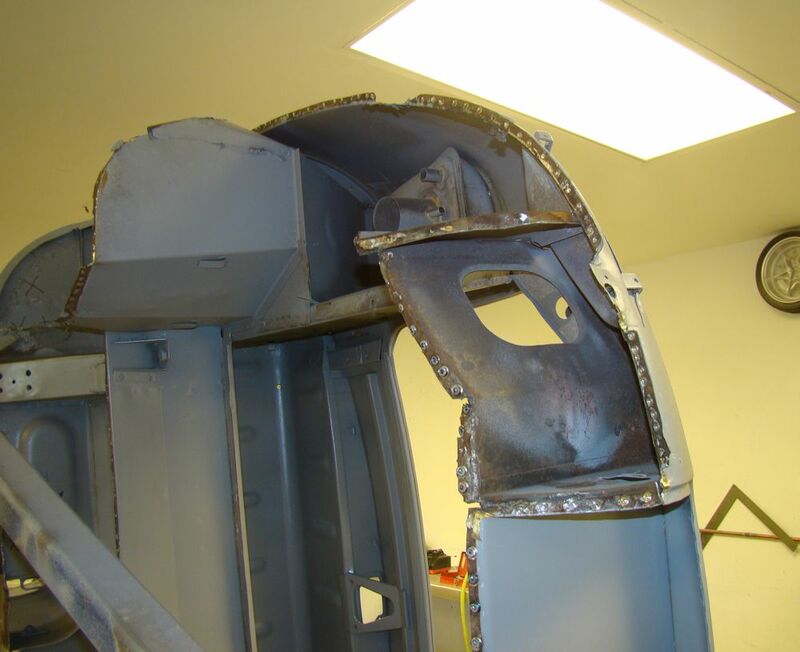 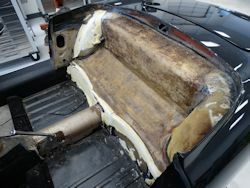 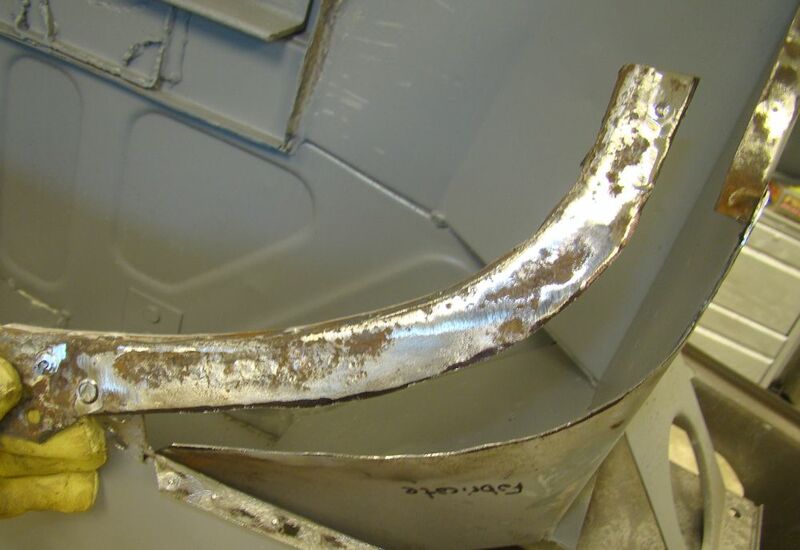 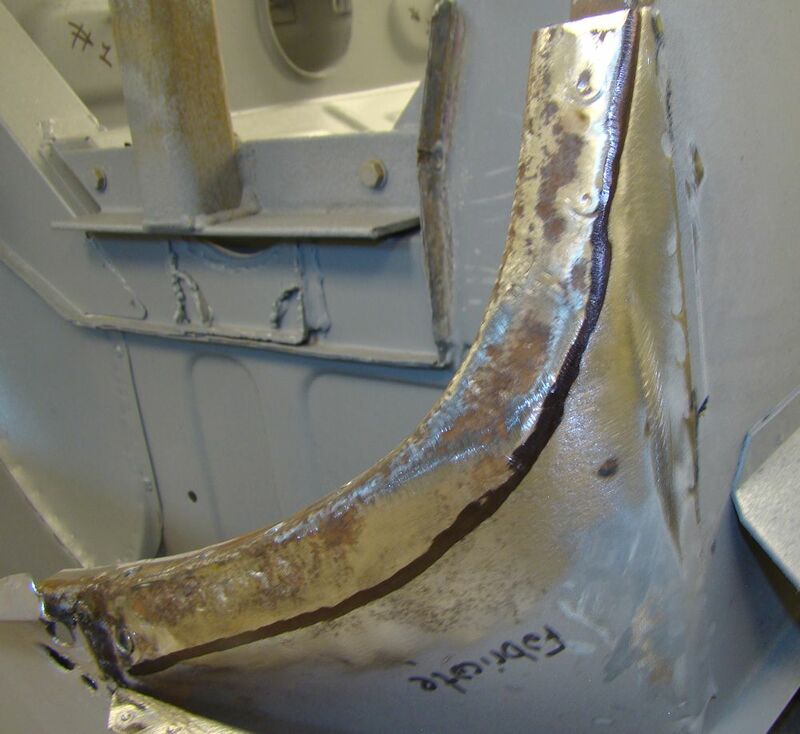 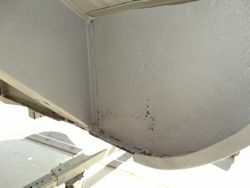 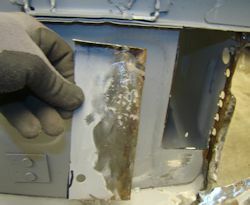 The main body shell is about what we expected to see, although unfortunately the bonnet has several issues that had previously been hidden beneath several layers of bondo. 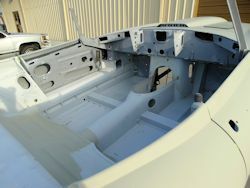 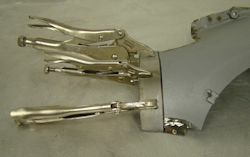 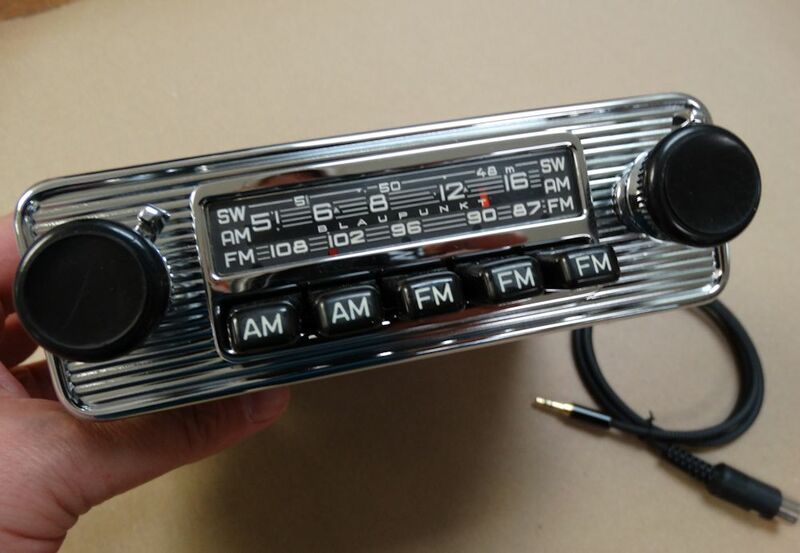 We will have this body restoration underway in the next few weeks. 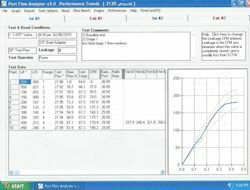 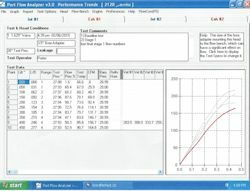 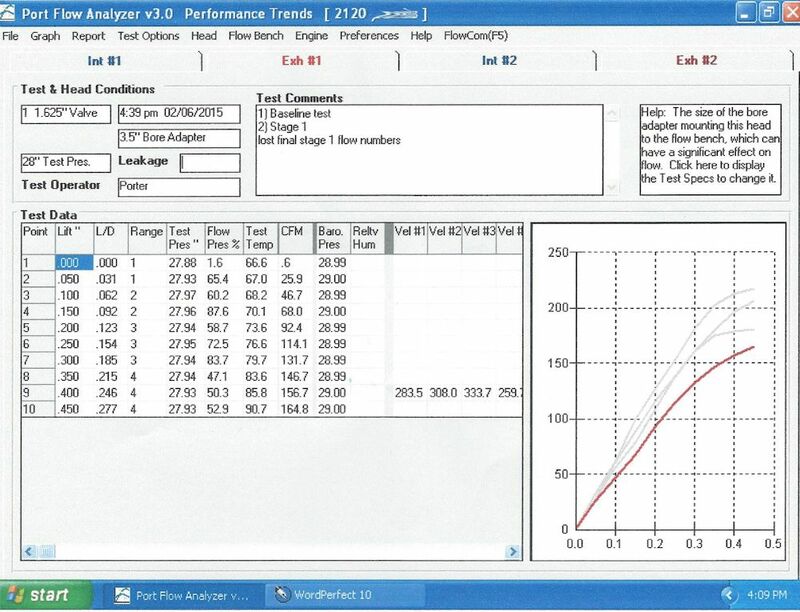 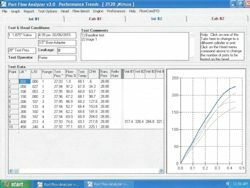 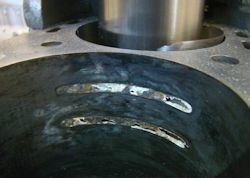 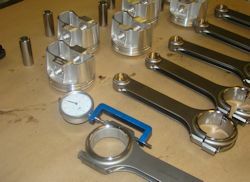 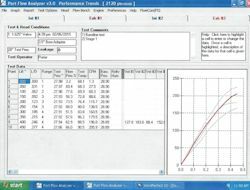 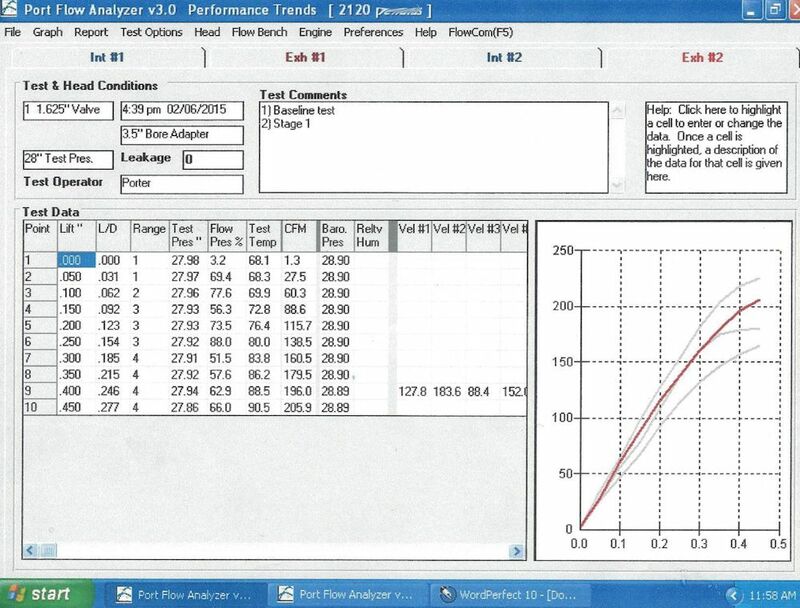 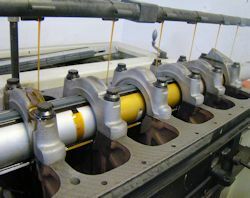 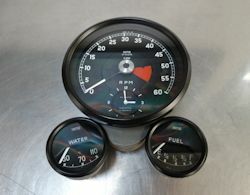 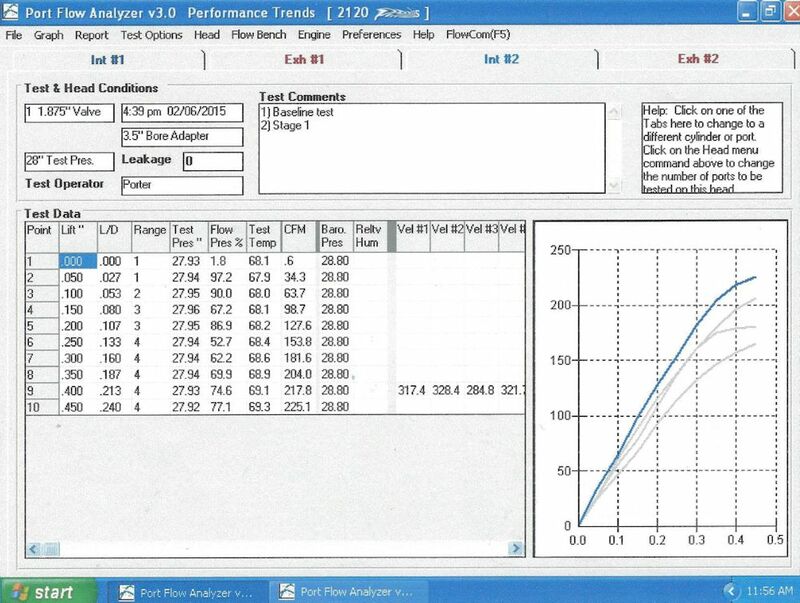 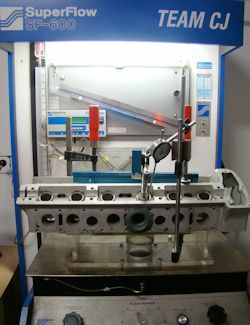 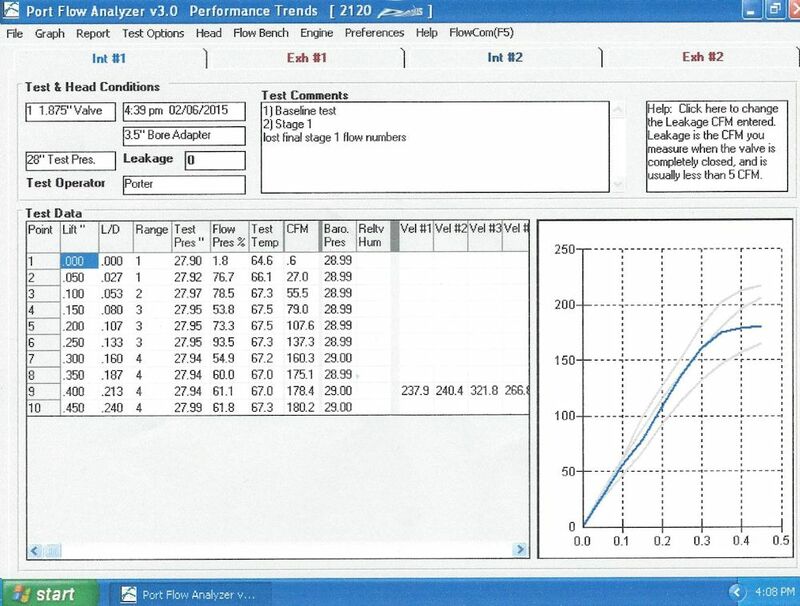 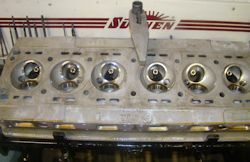 The last 4 images in the sequence below show the flow test results relating to the port work done to your cylinder head. 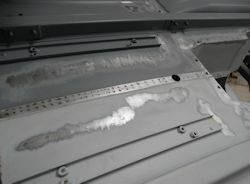 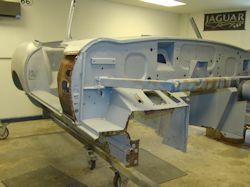 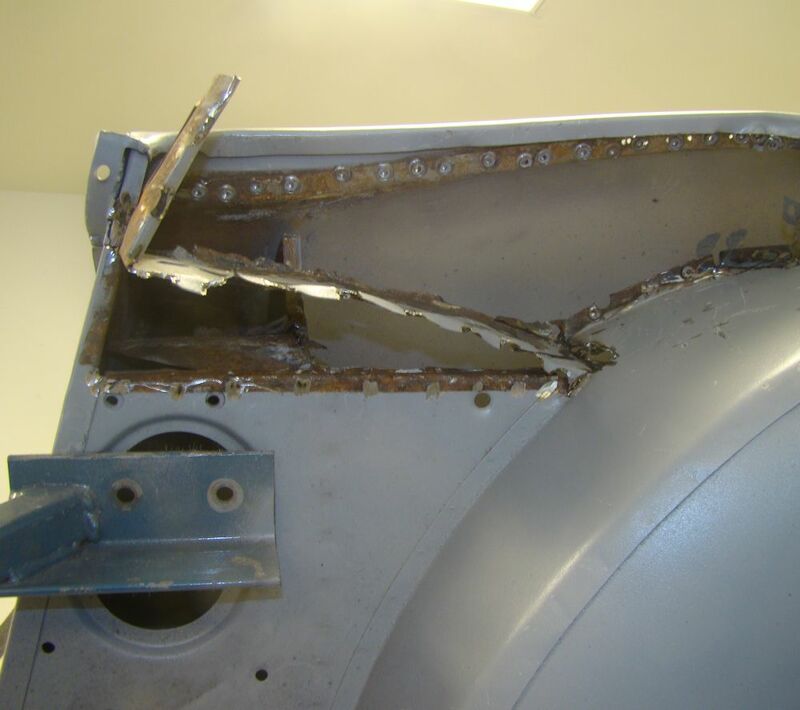 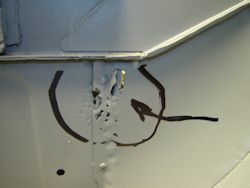 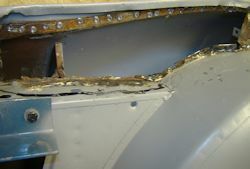 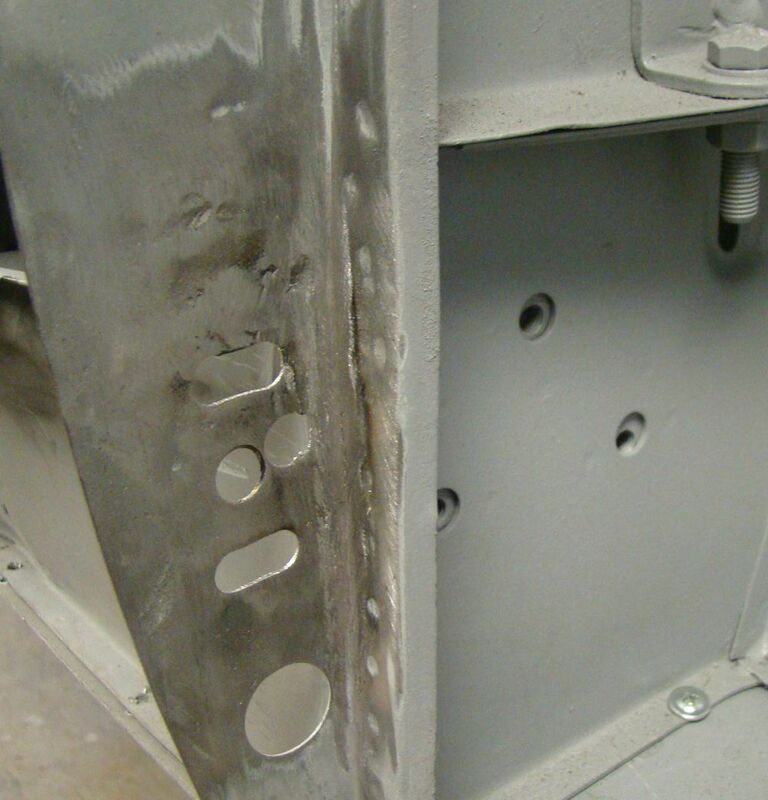 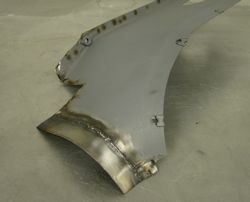 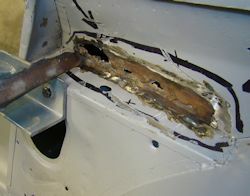 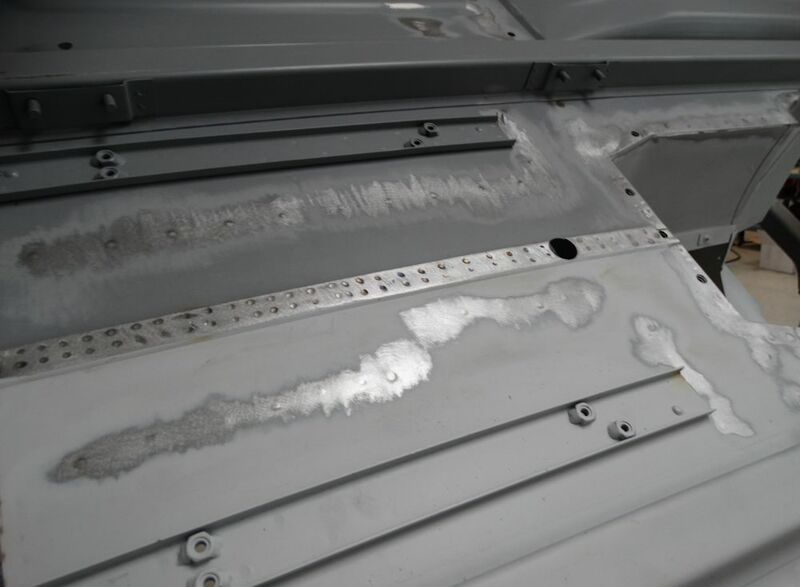 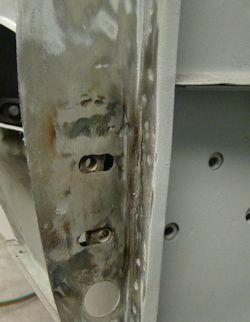 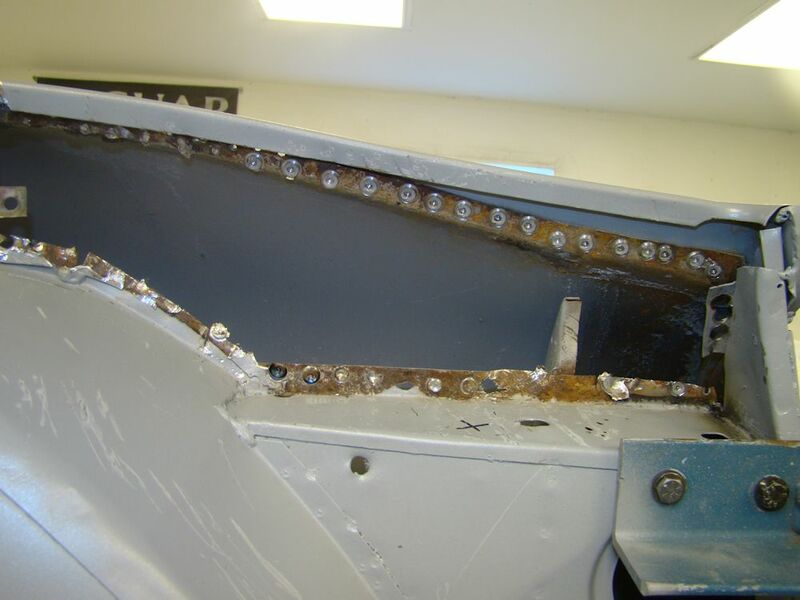 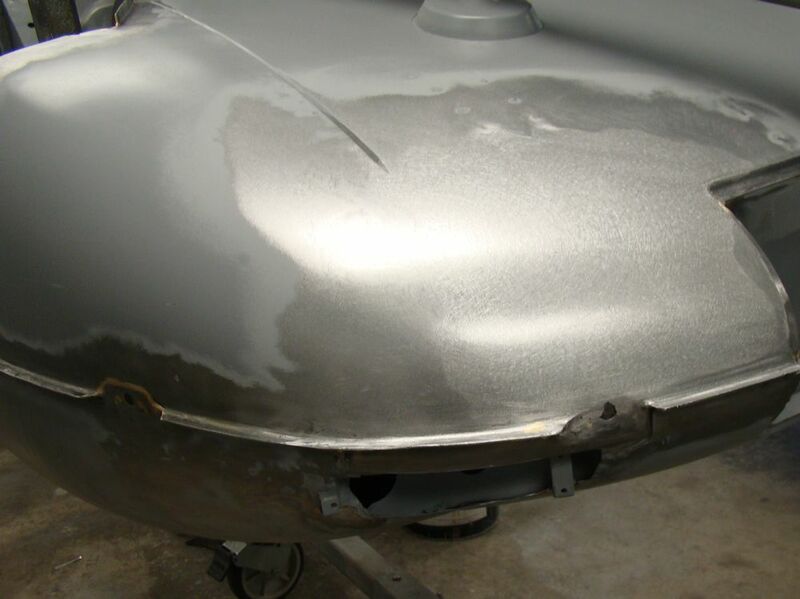 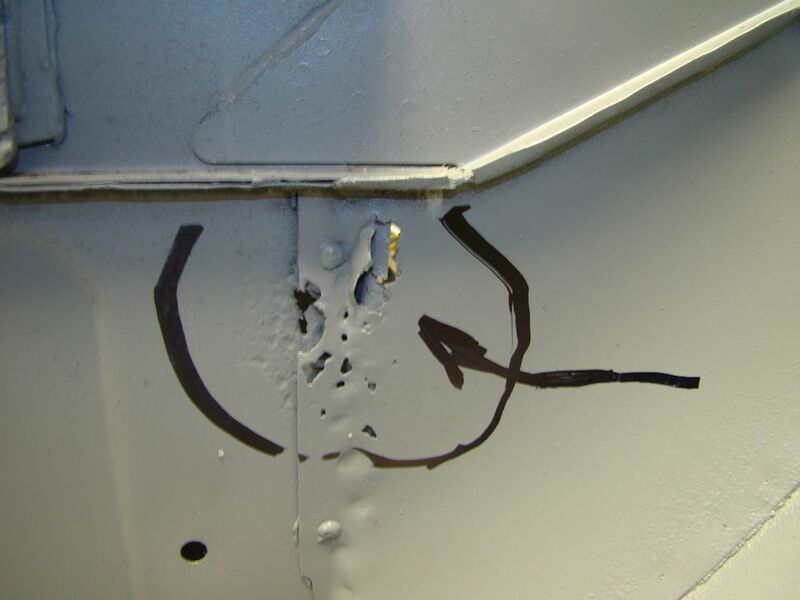 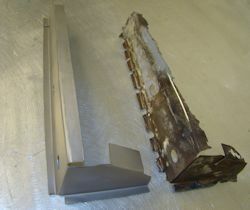 We are expecting the body back from being blasted back to bare metal on Monday or Tuesday of next week. 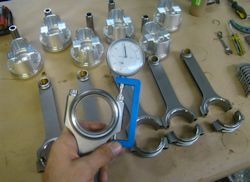 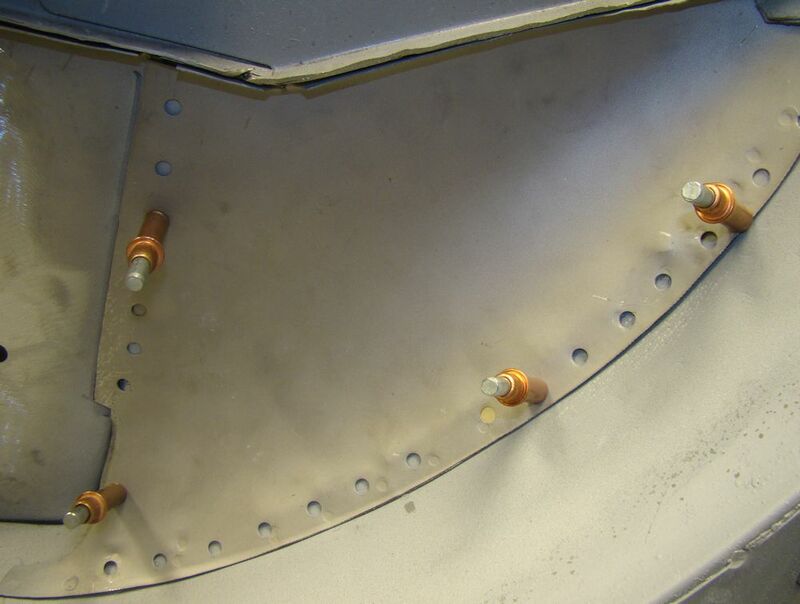 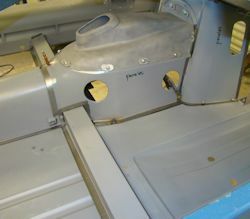 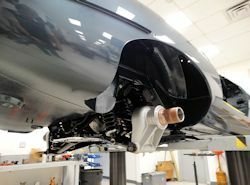 Installing seats, guides, valve job in progress.. 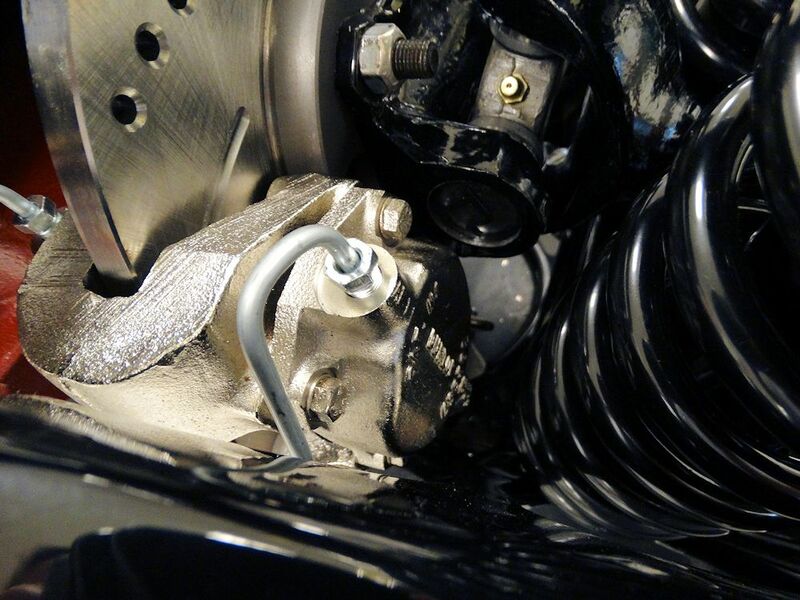 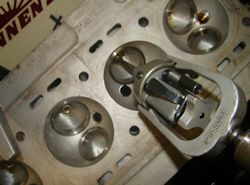 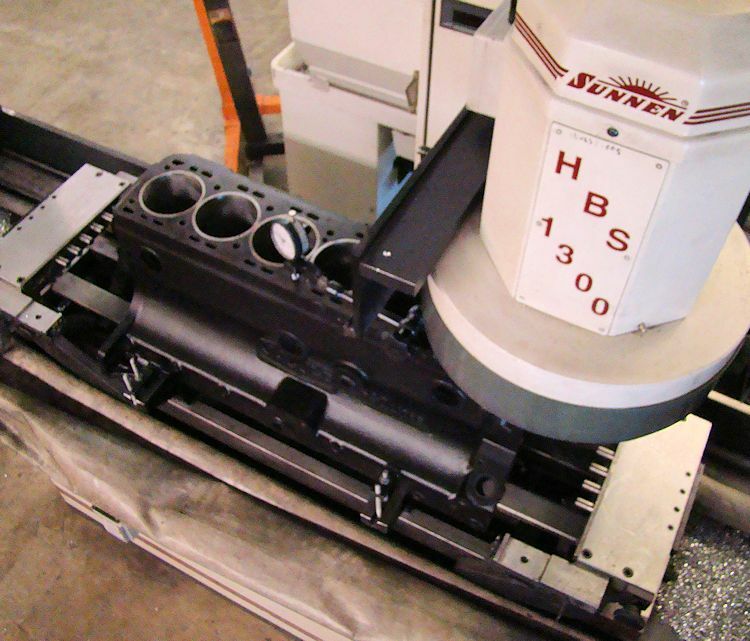 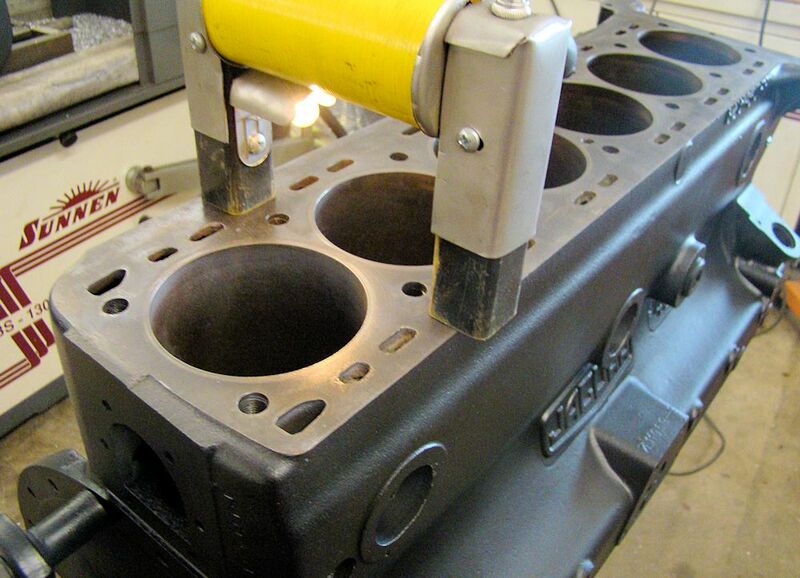 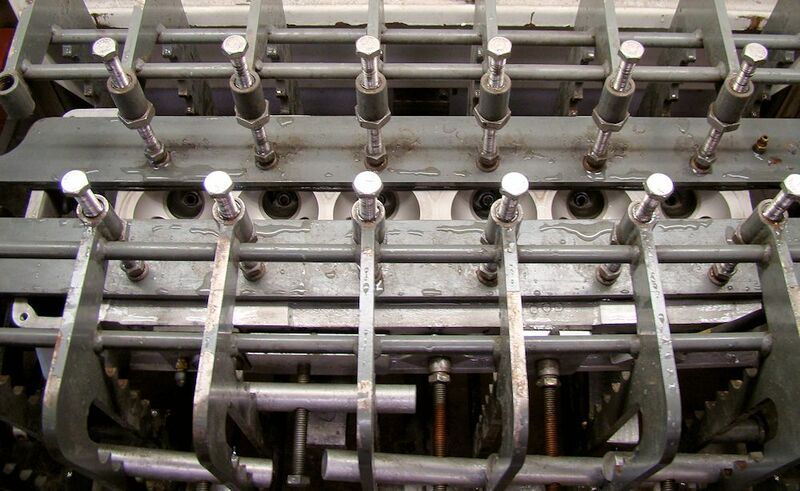 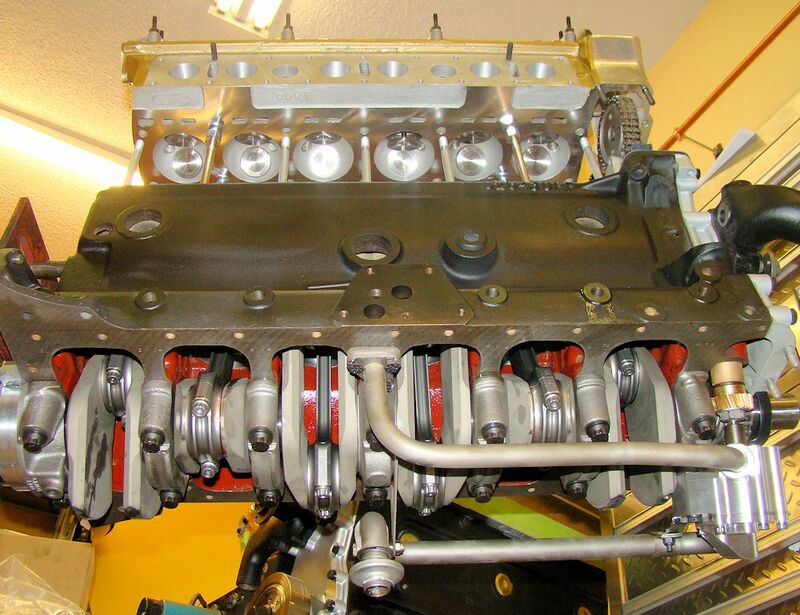 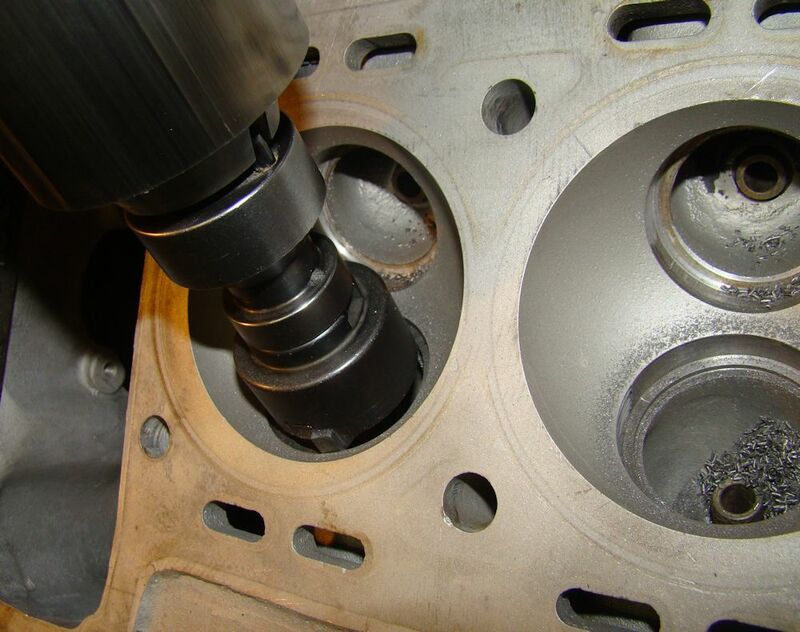 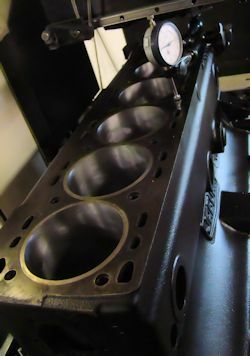 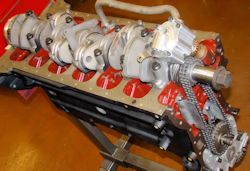 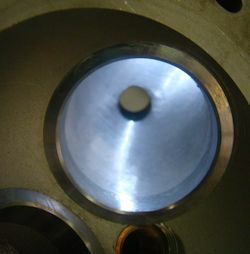 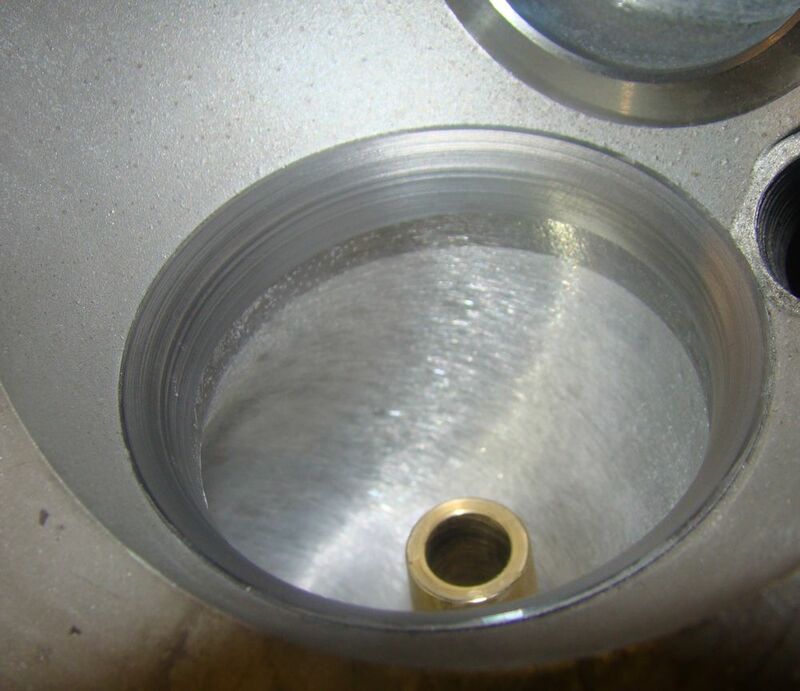 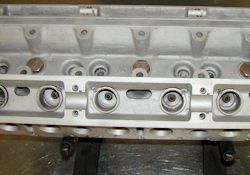 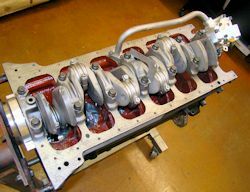 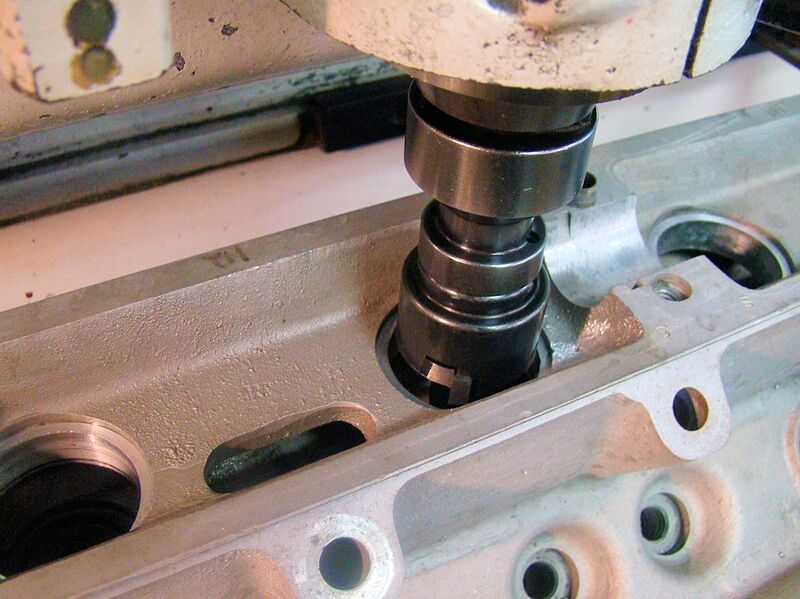 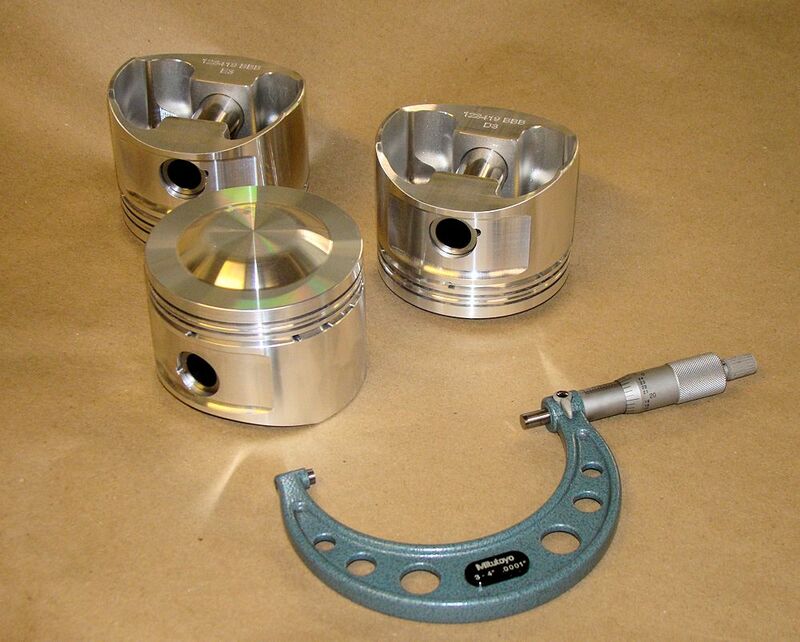 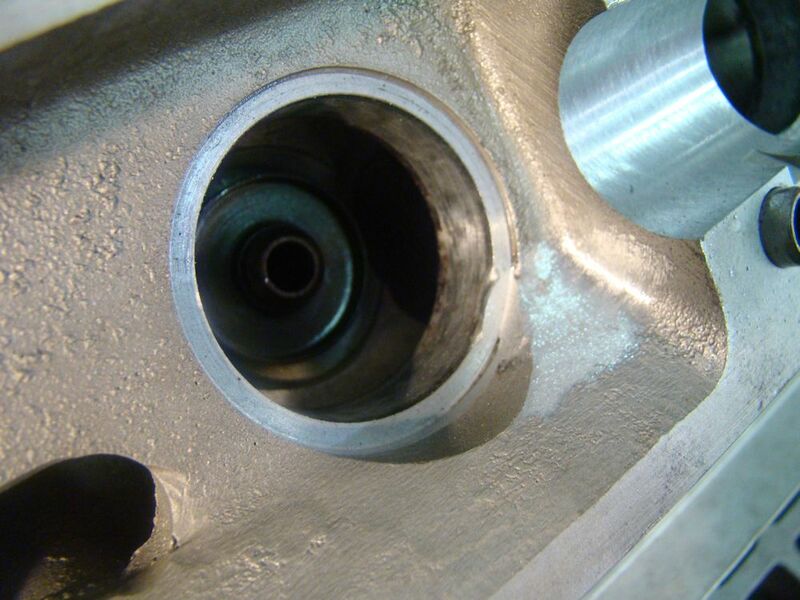 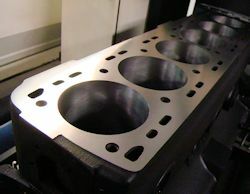 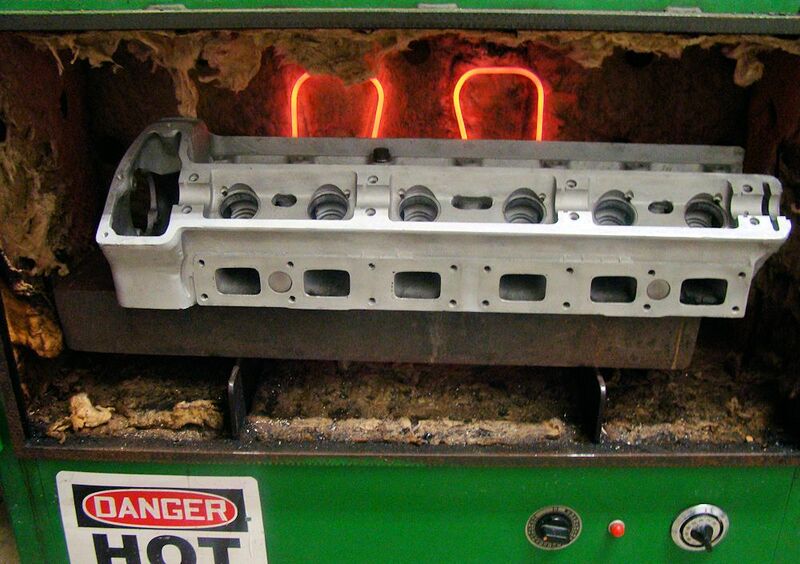 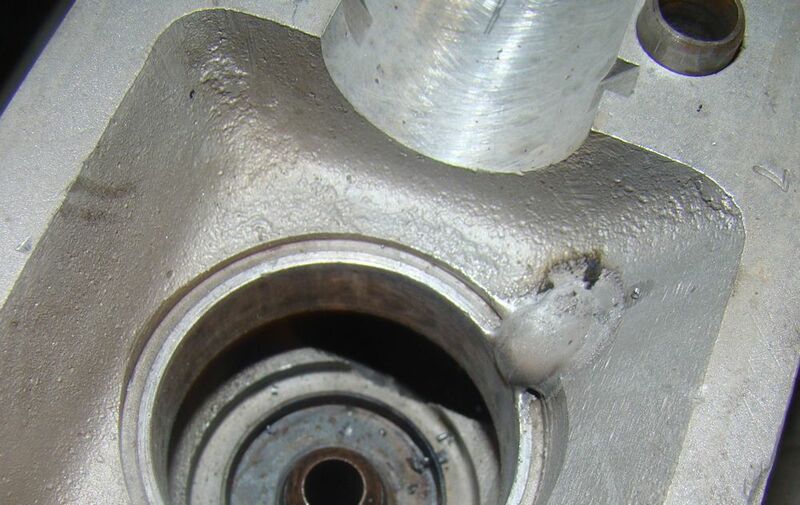 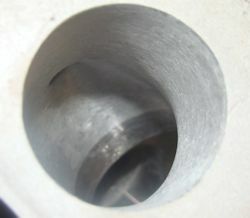 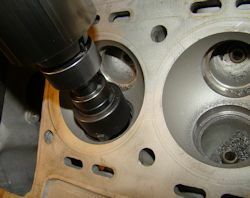 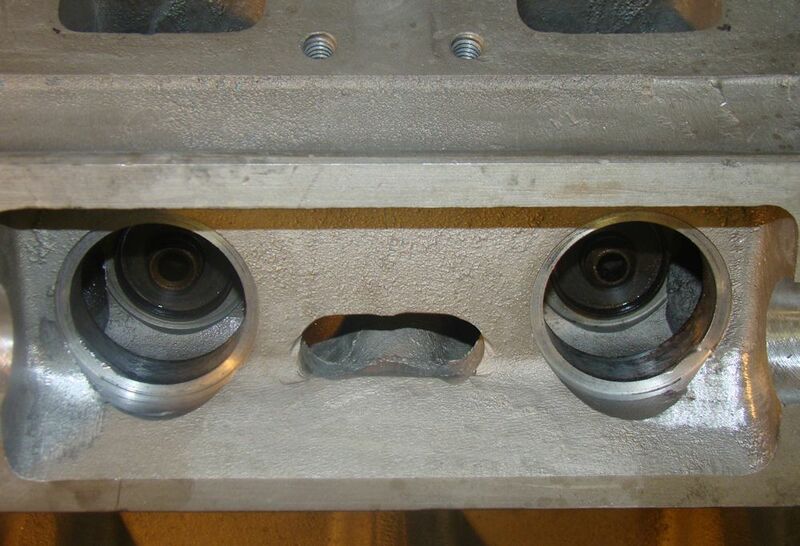 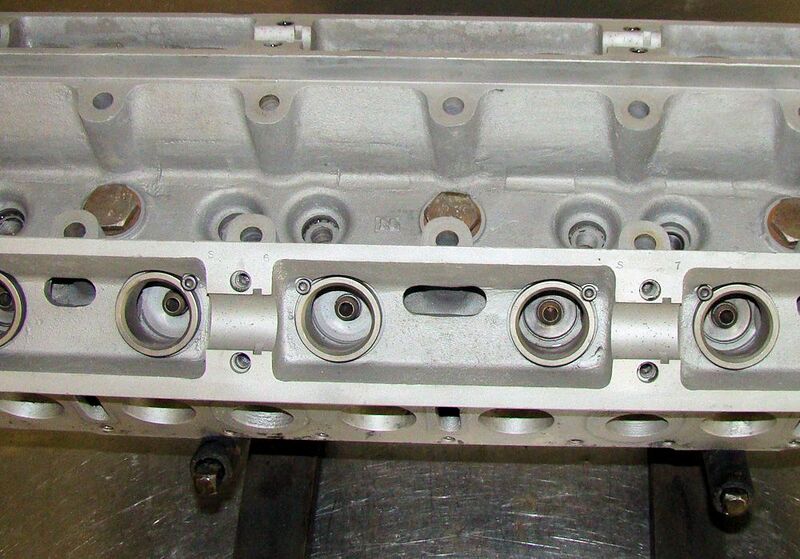 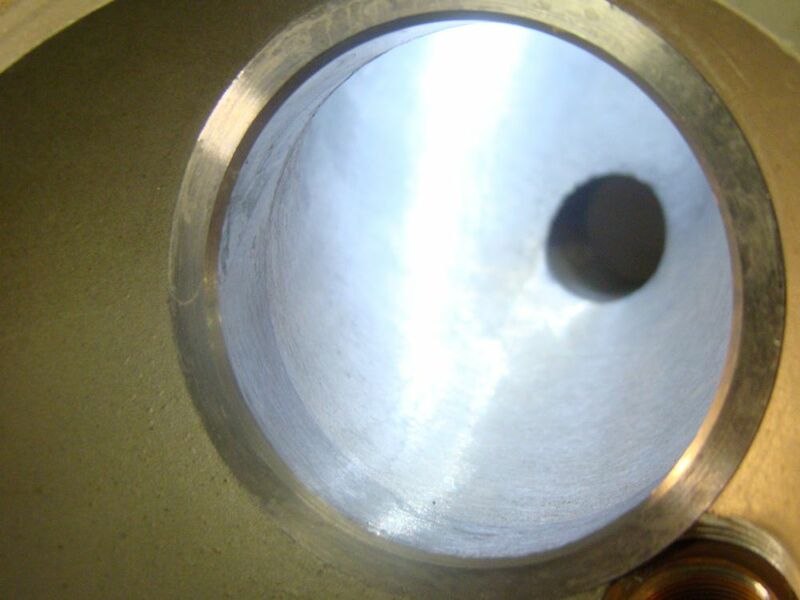 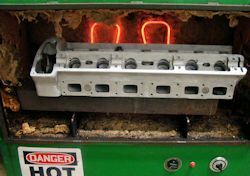 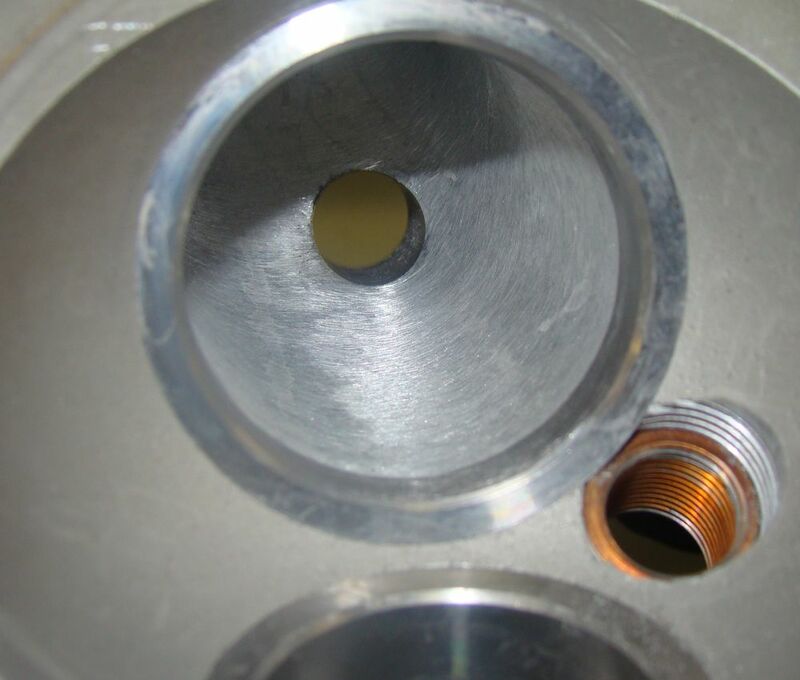 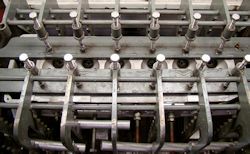 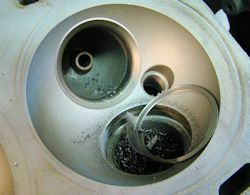 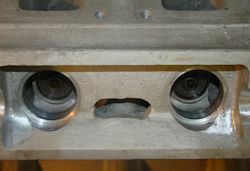 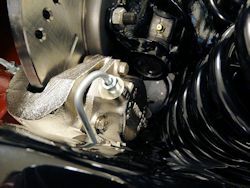 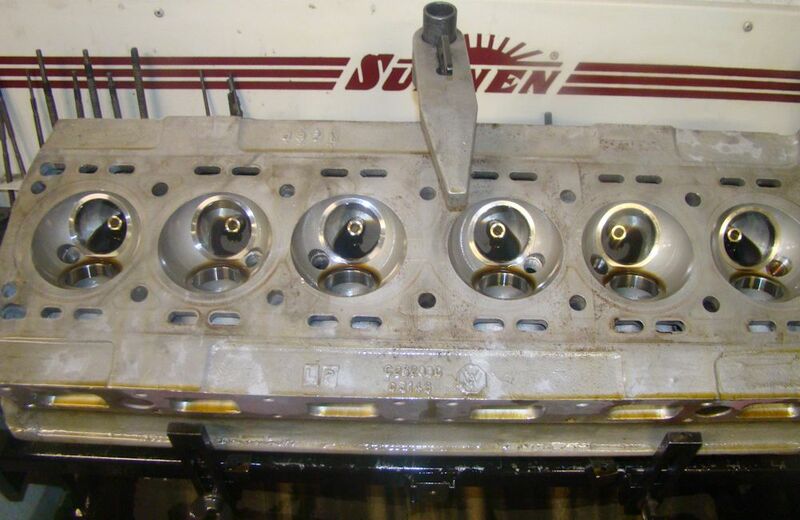 The following sequence of photographs show corrective work to your cylinder head. The deck surface was warped significantly, and the cam caps were also out of alignment. 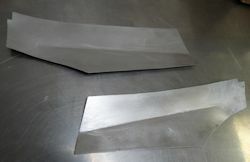 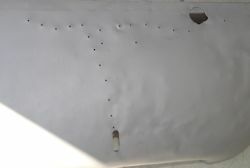 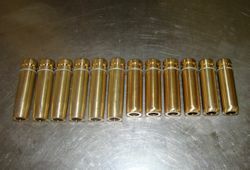 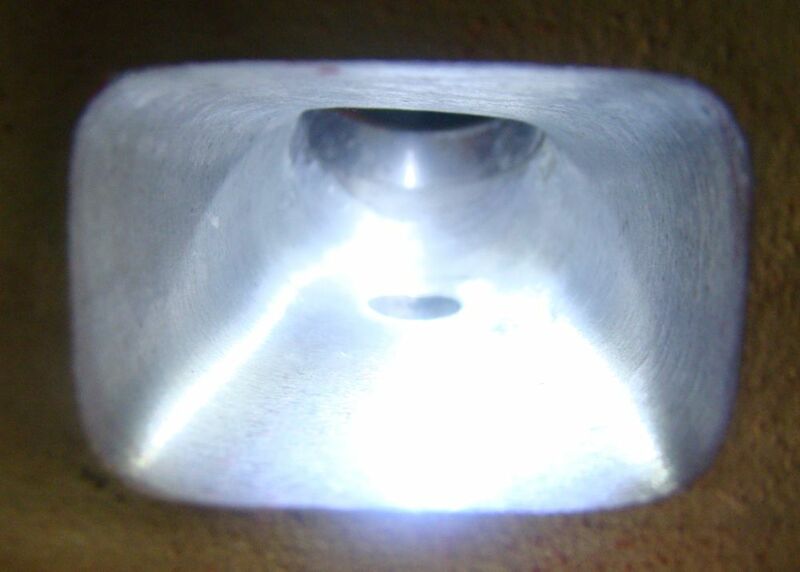 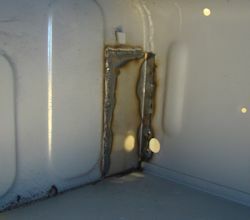 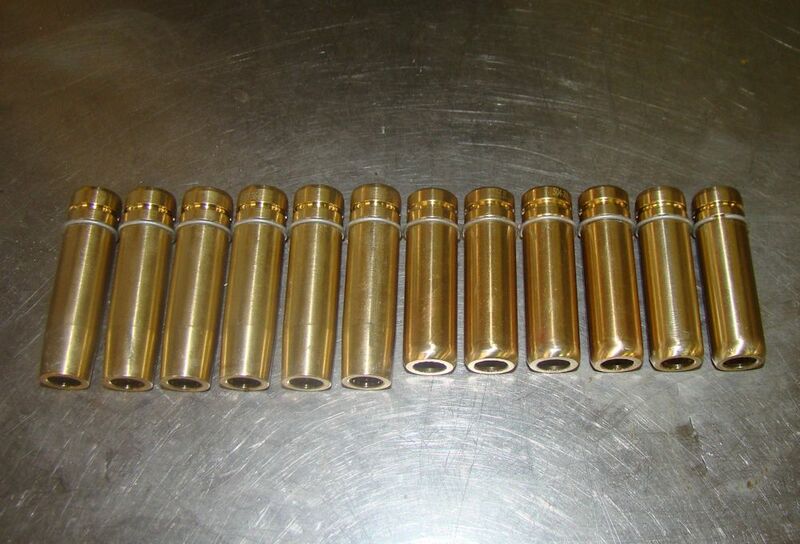 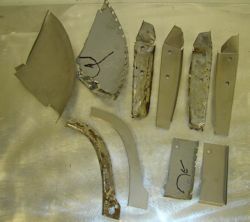 These issues were remedied by several sessions on a straightening plate in the oven, as well as an align hone of the cam caps. 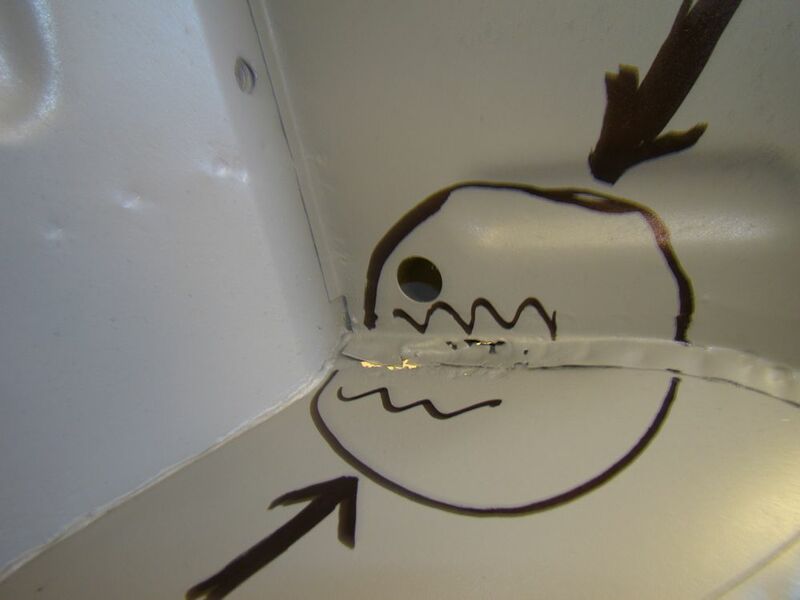 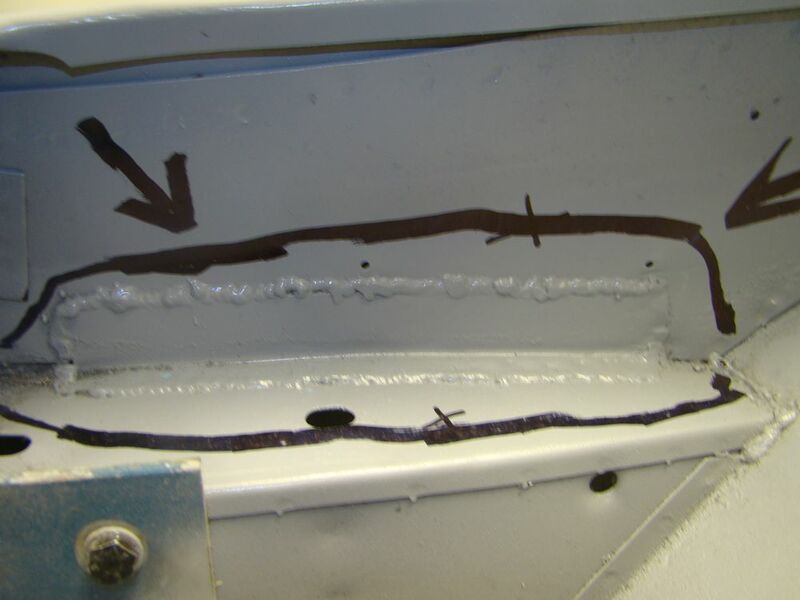 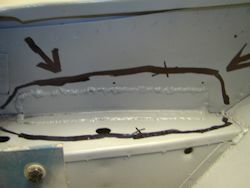 The tappet to tappet guide clearances were out of spec, and the guides had been inappropriately staked with a 'home made' securing solution. 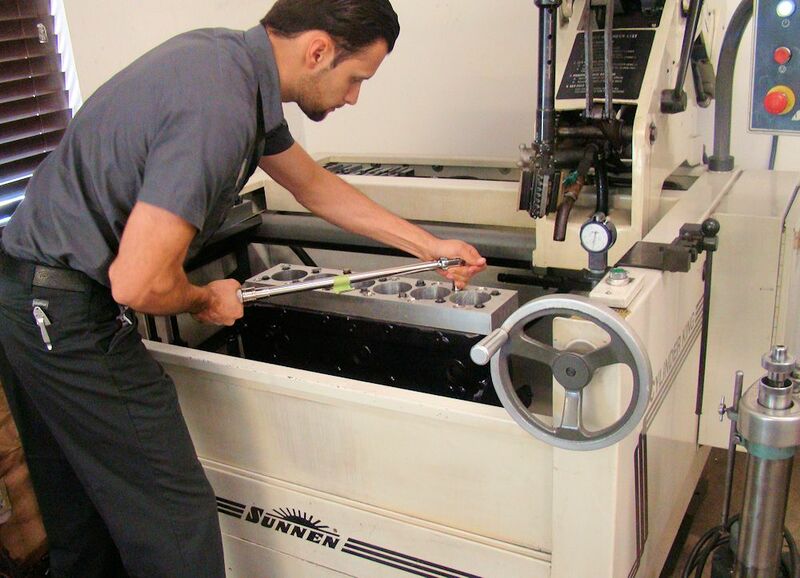 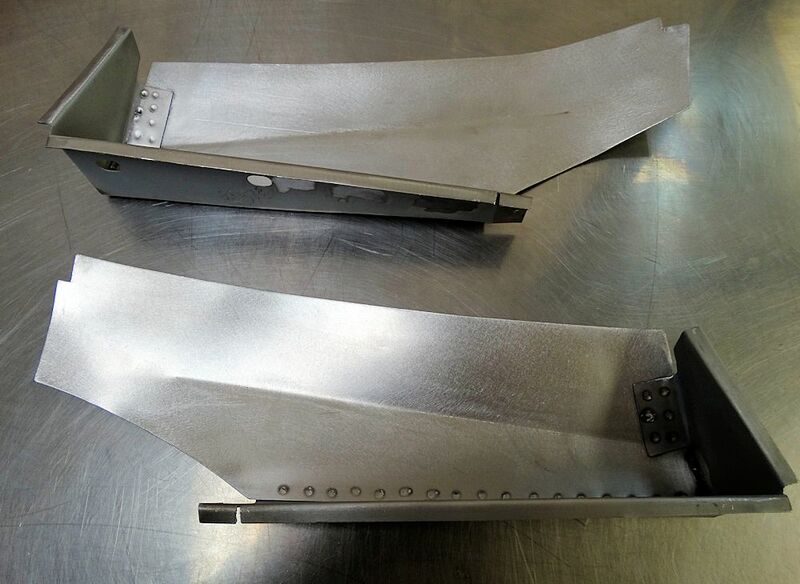 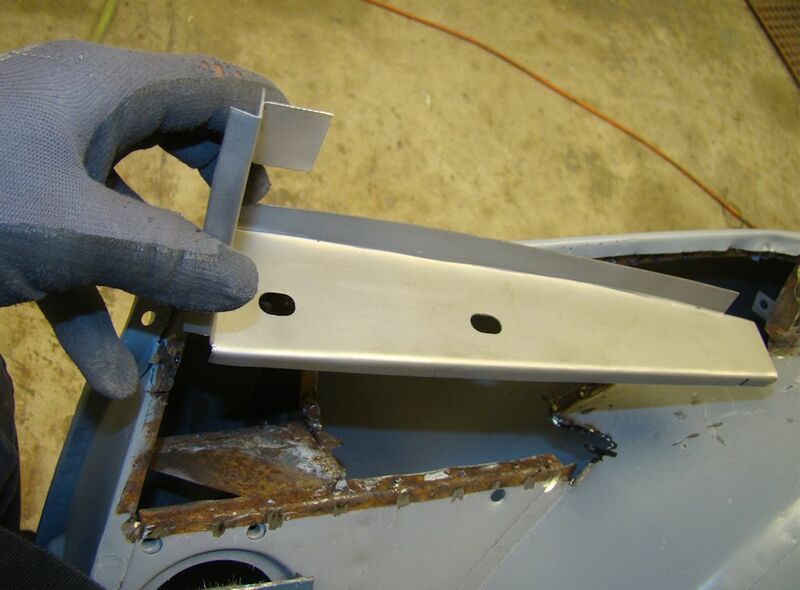 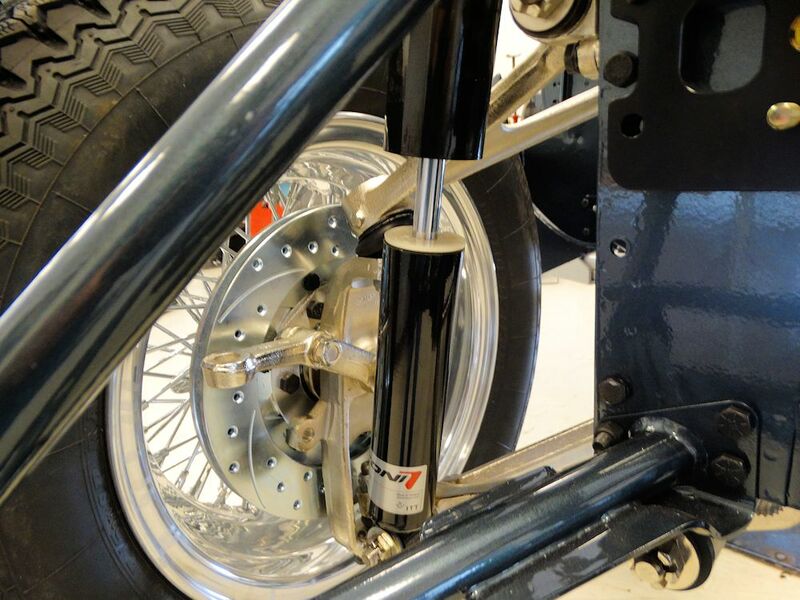 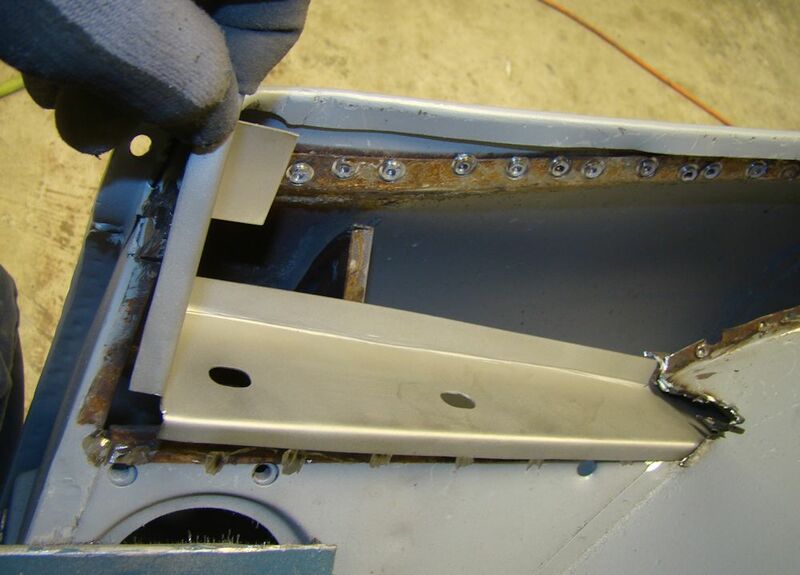 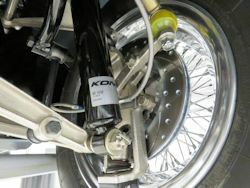 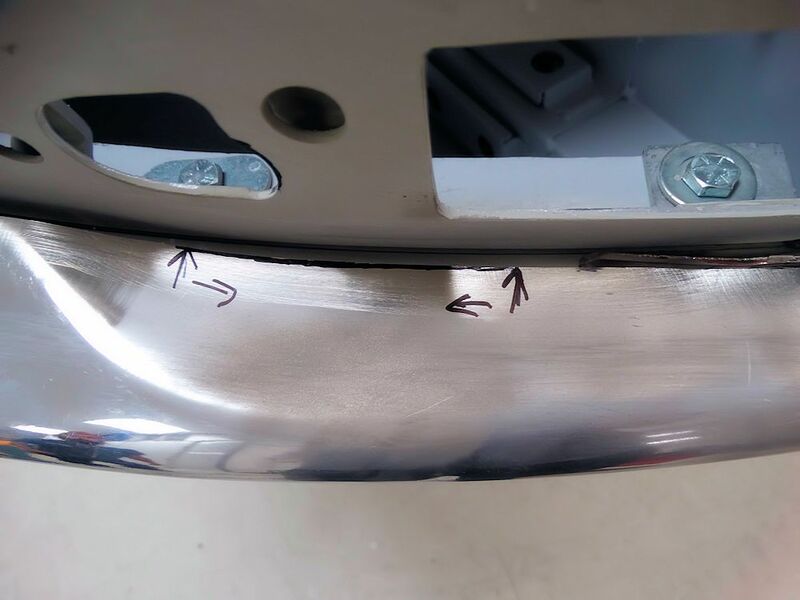 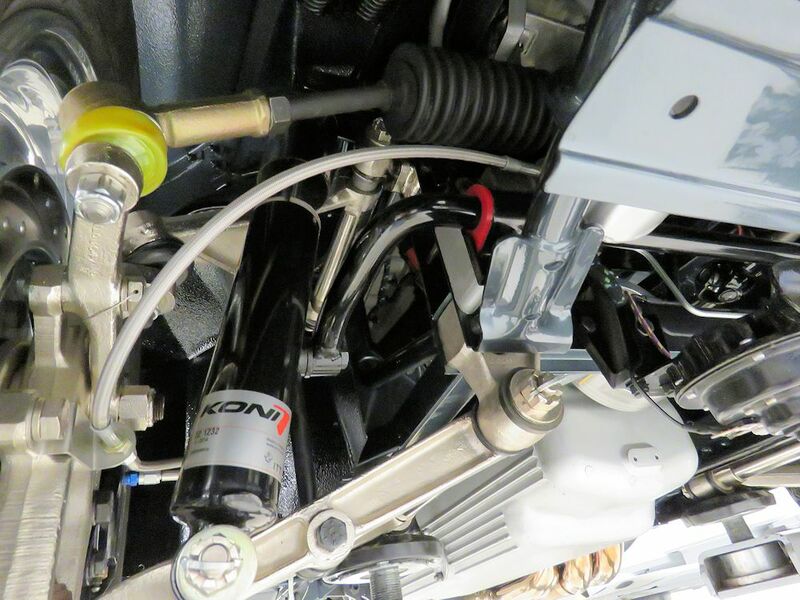 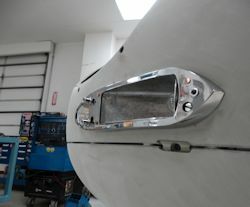 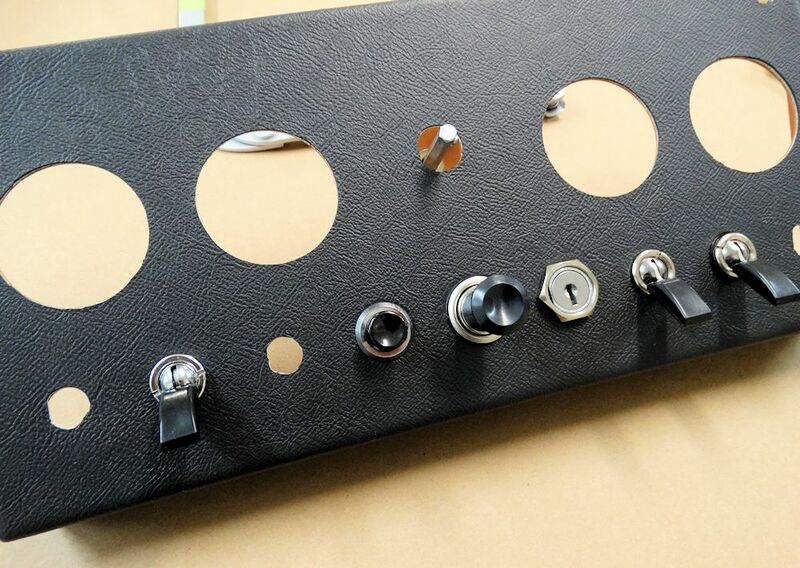 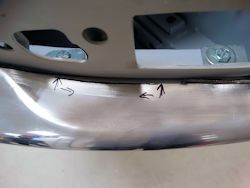 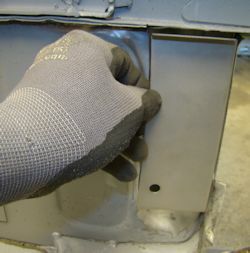 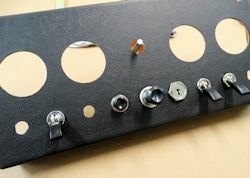 New tappet guides are currently being installed. 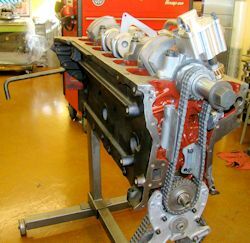 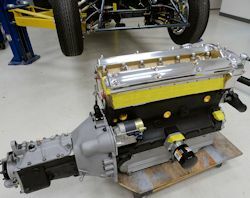 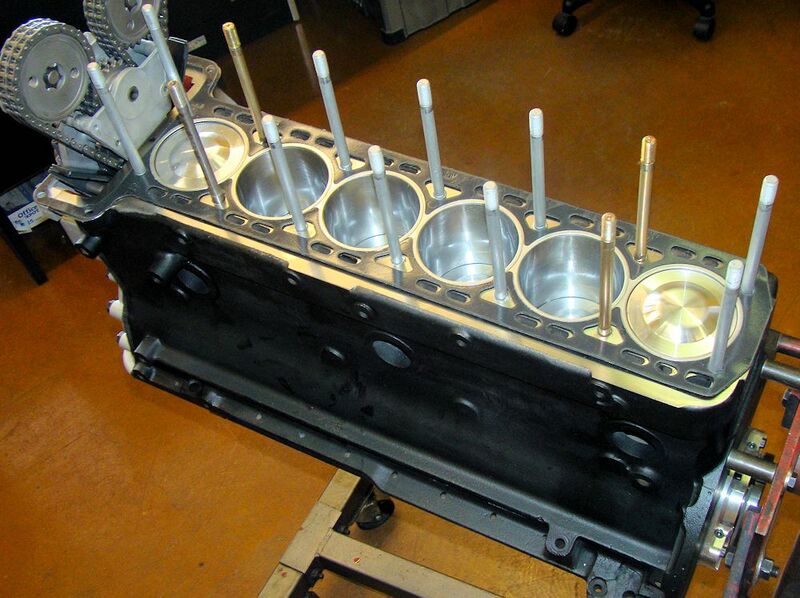 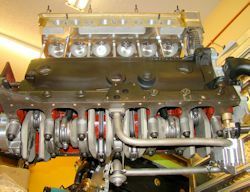 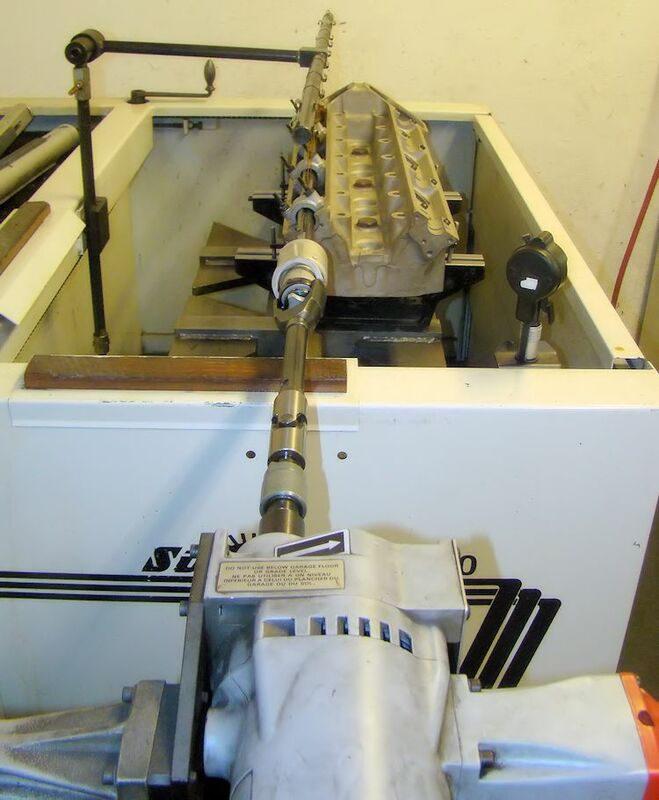 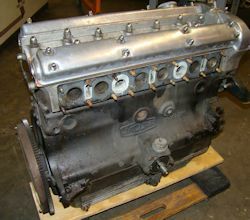 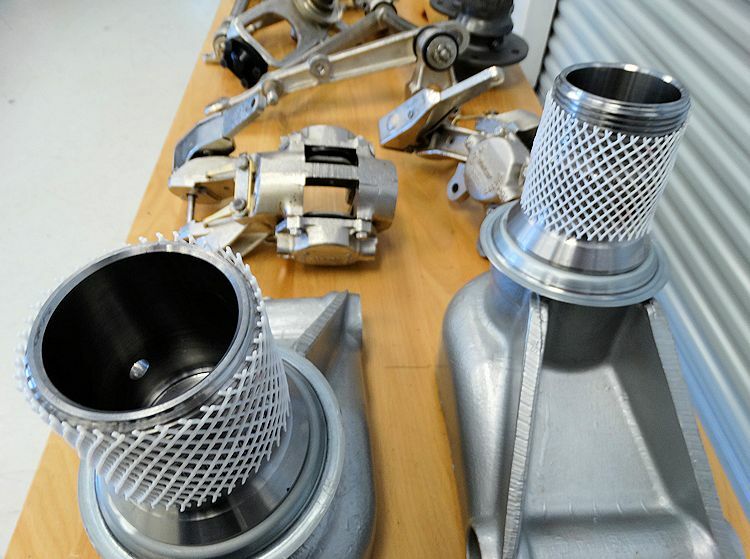 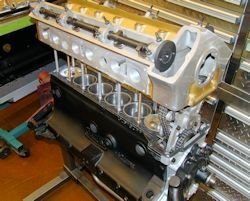 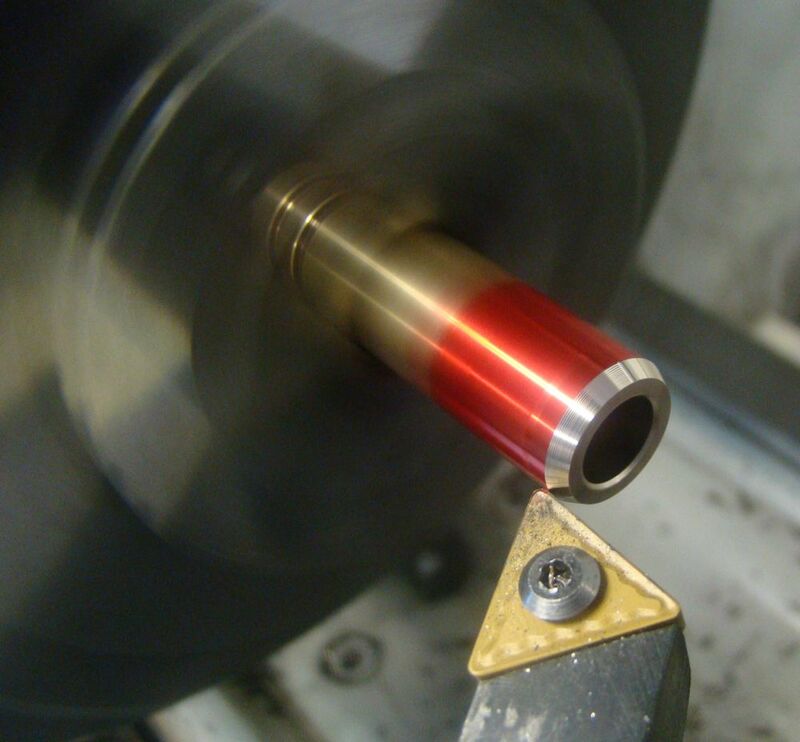 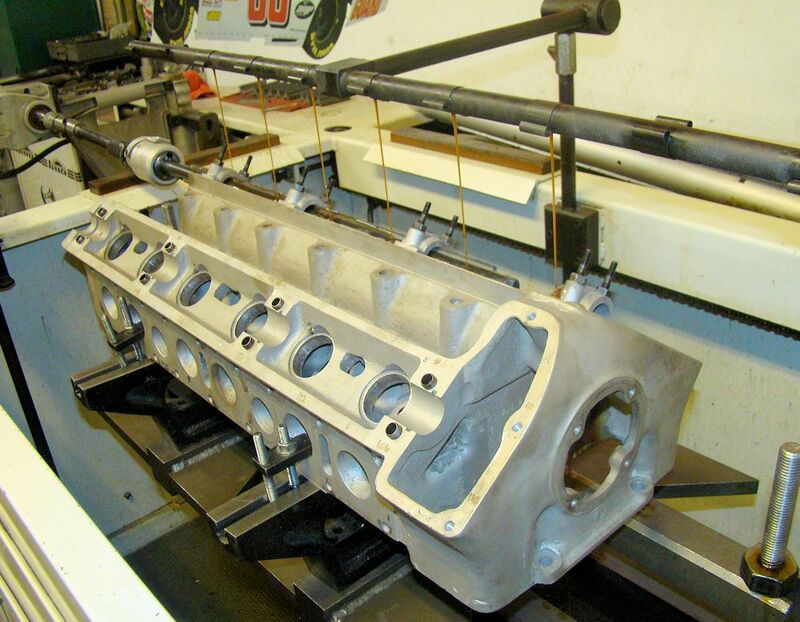 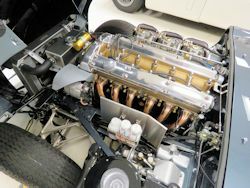 Short block engine machine work underway in the CJ machine shop.. 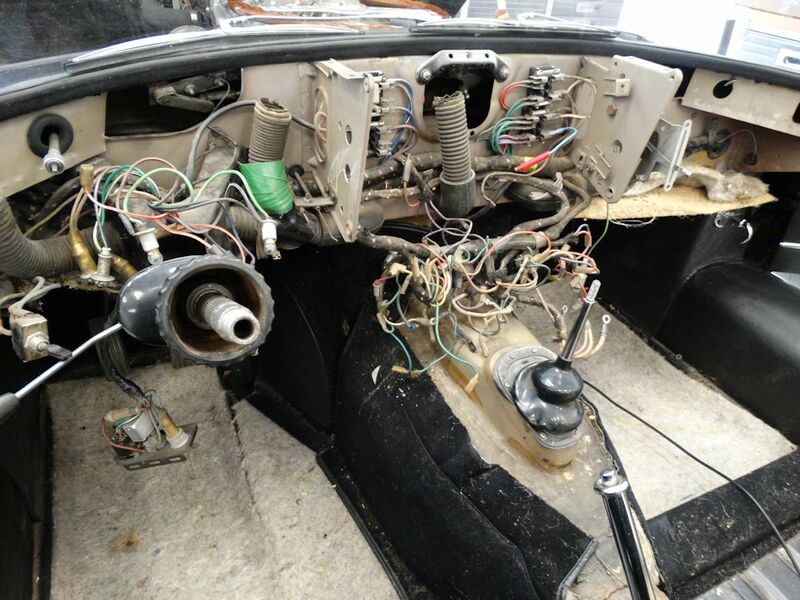 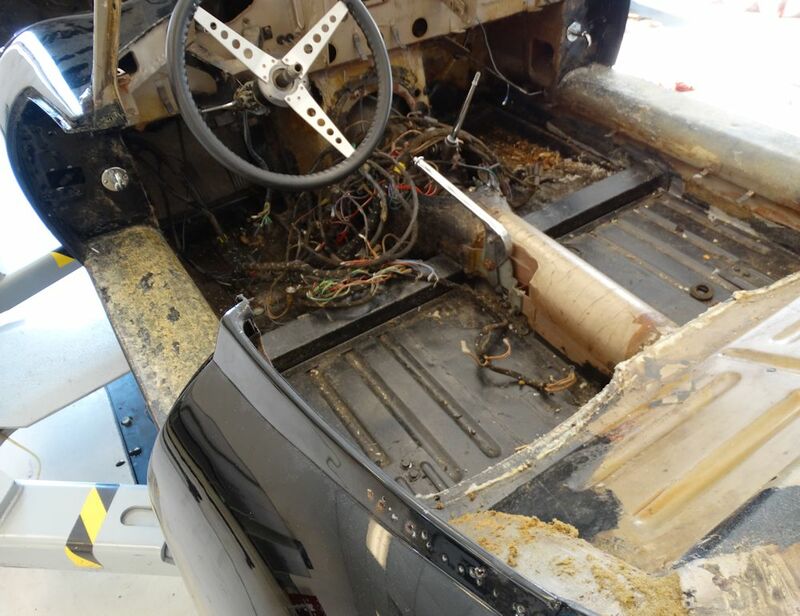 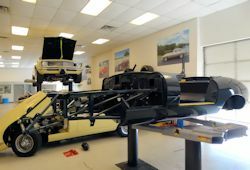 Tear down in progress, interior, engine and transmission removed.. Earlier today we took the opportunity to take a close look at the car on one of the lifts, and also to weigh it on the shop corner scales. 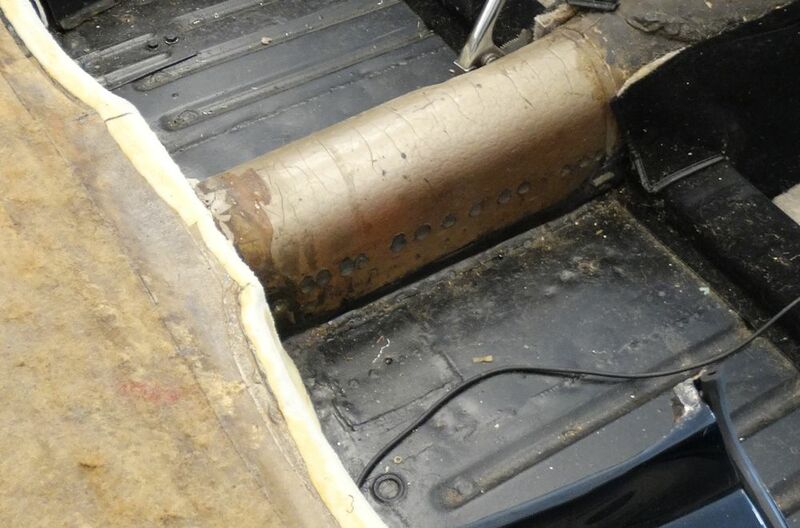 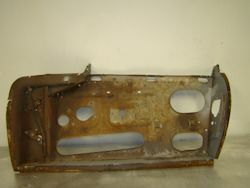 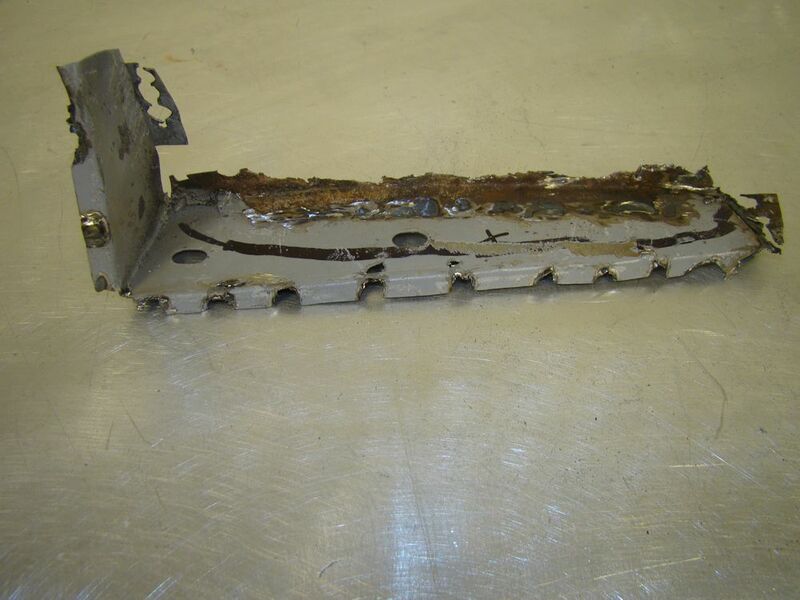 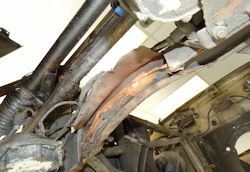 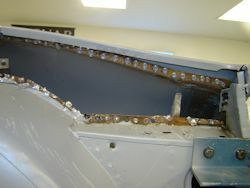 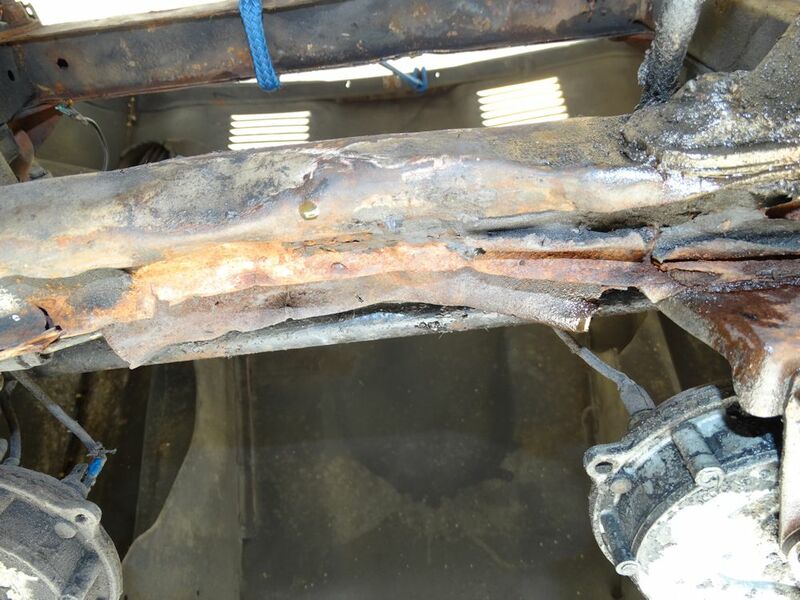 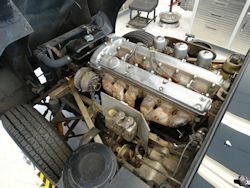 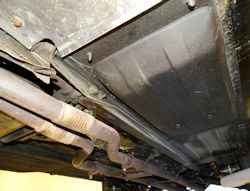 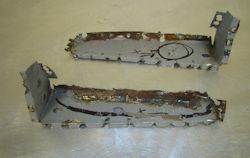 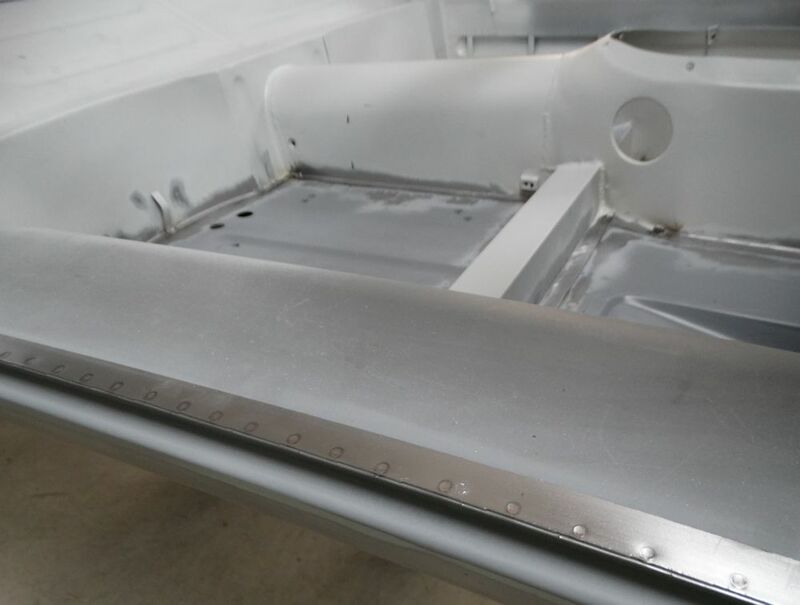 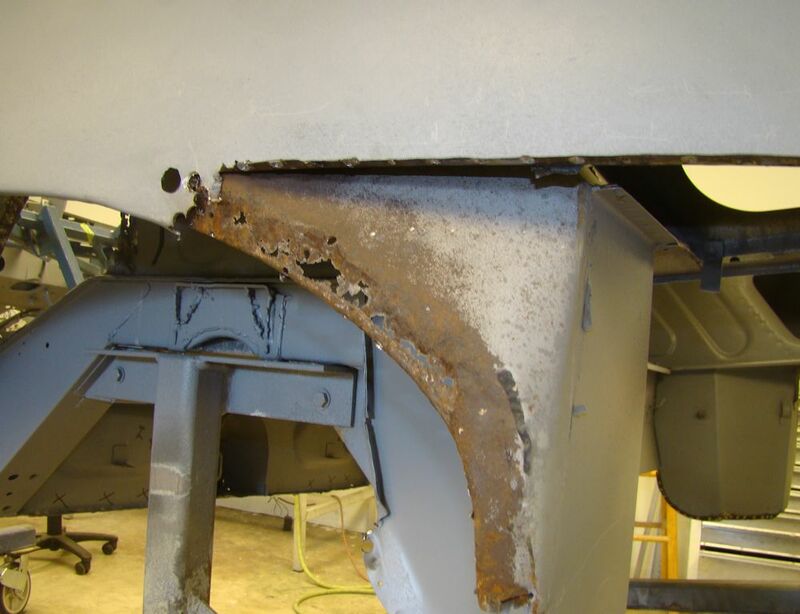 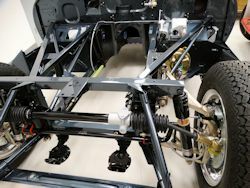 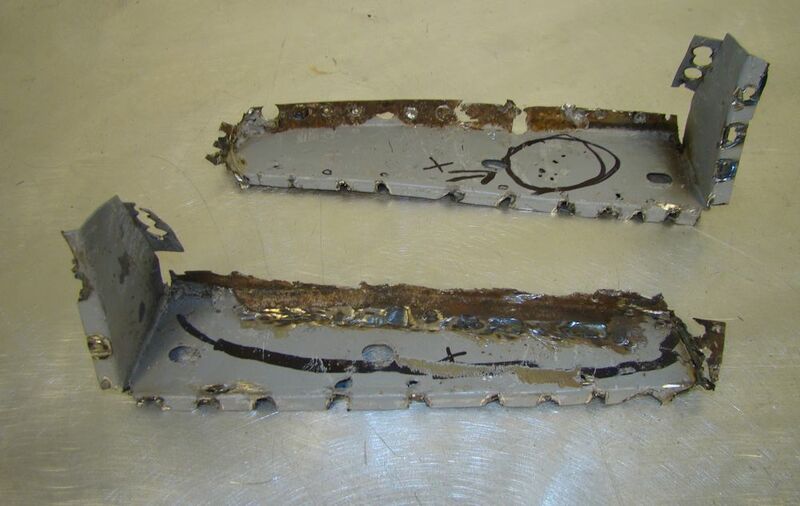 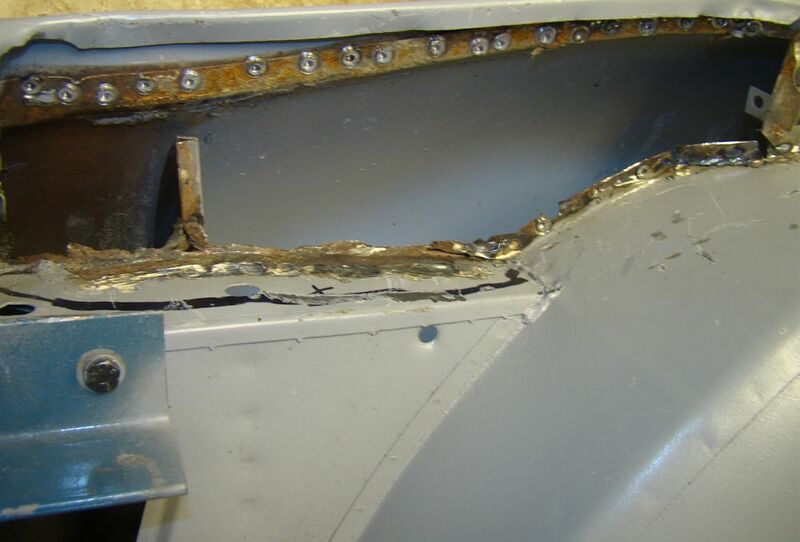 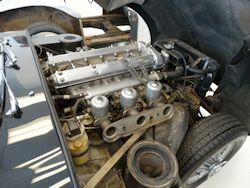 The good news is that the underside is about as rust free as you could ever hope to see in an unrestored E Type. 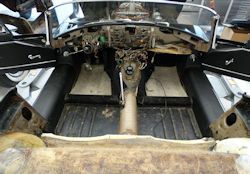 The original floors appear to be in wonderful condition. 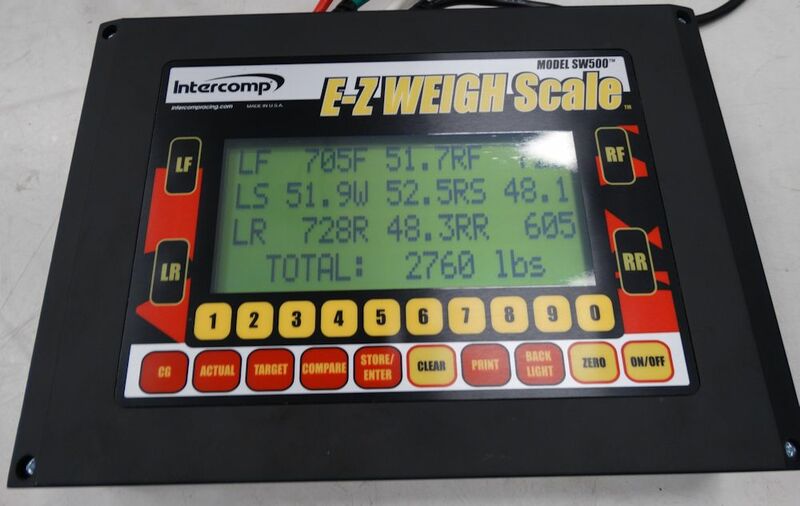 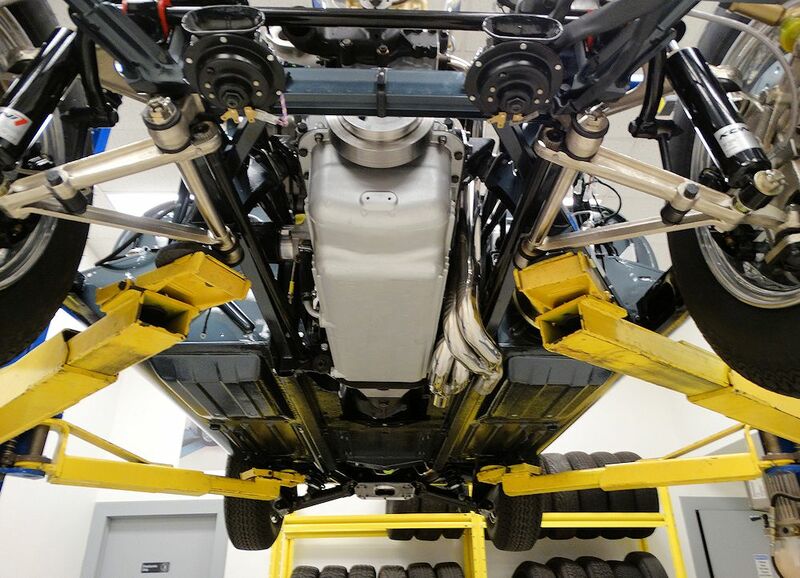 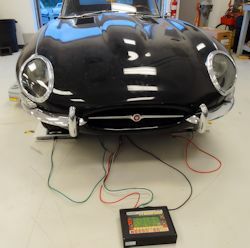 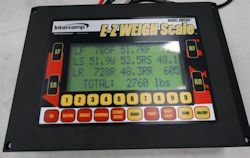 The bad news is that we may have to put this car on a bit of a diet, as it came in about 200lb over weight, tipping the scales at 2,760 lbs.